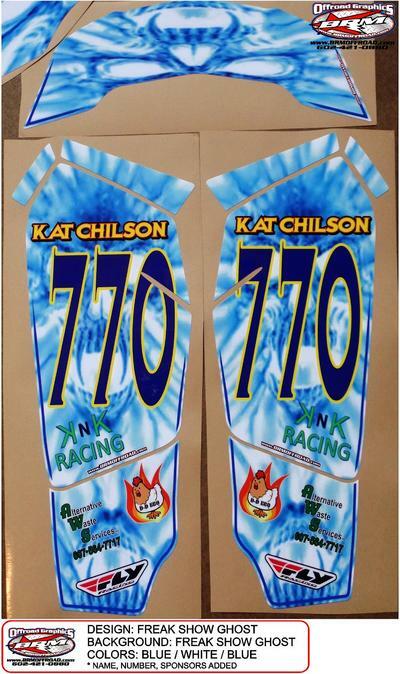 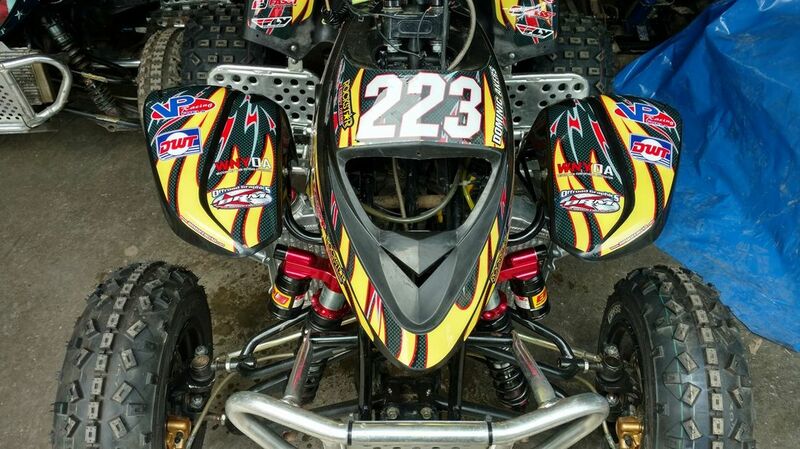 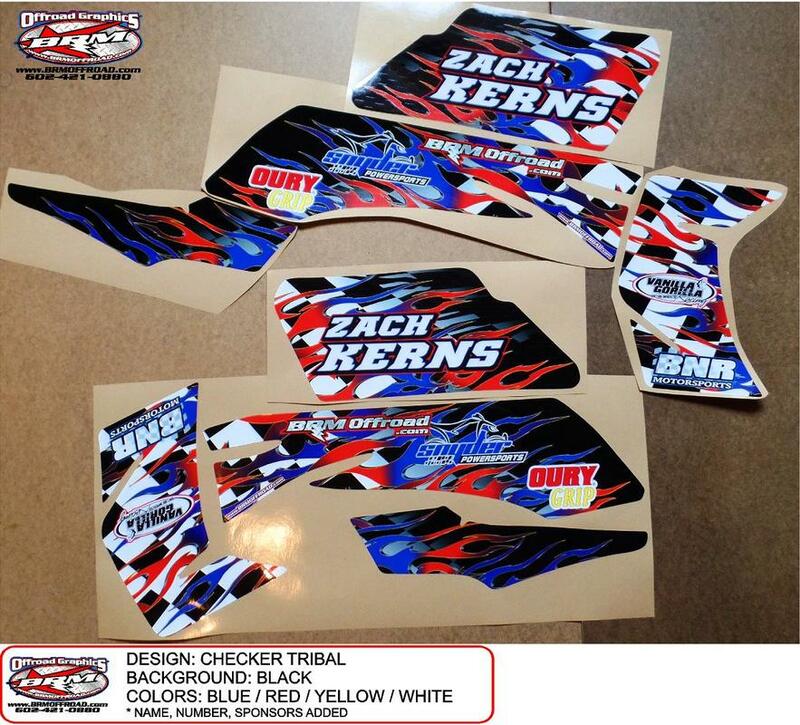 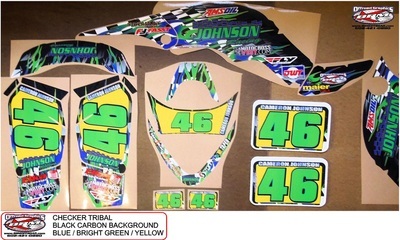 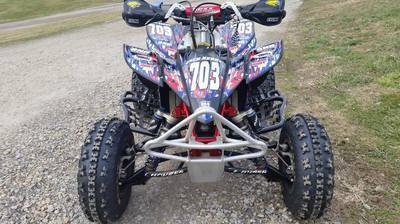 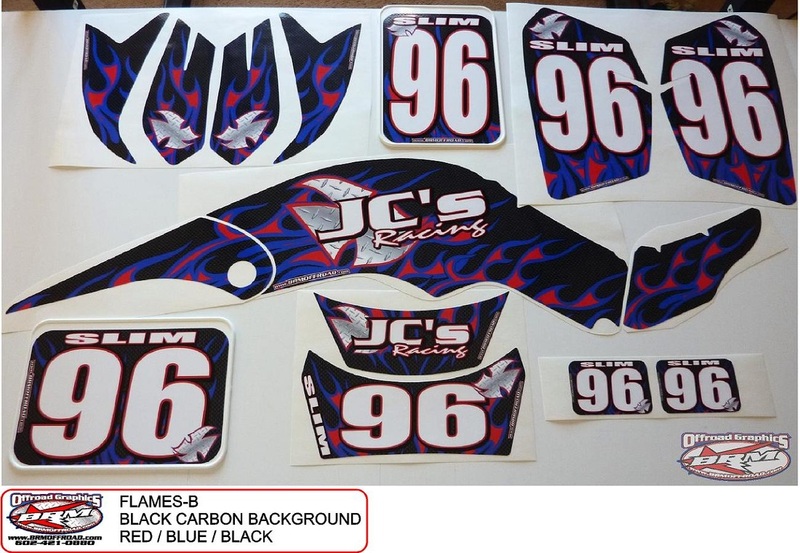 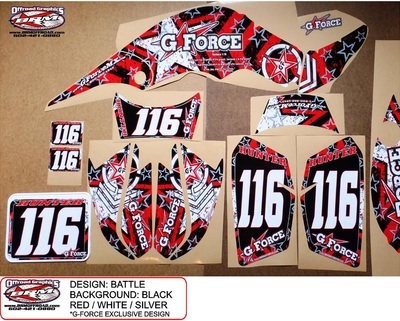 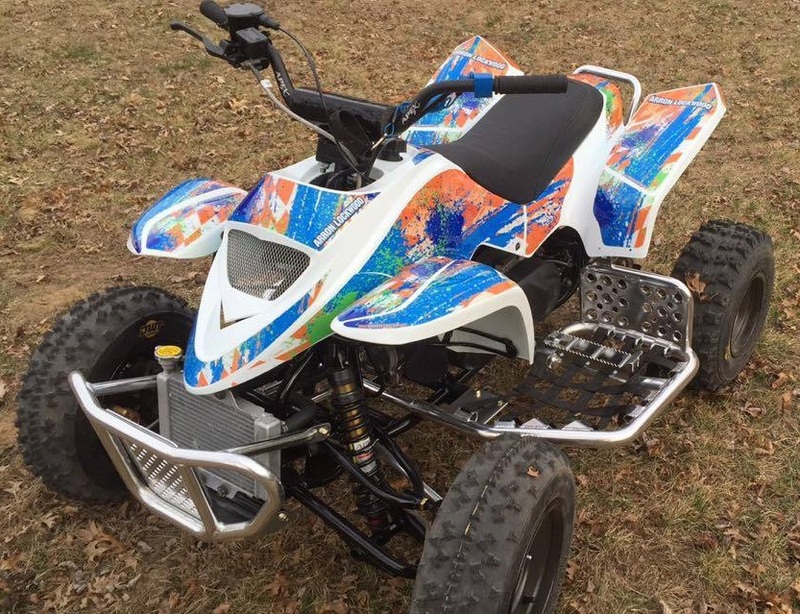 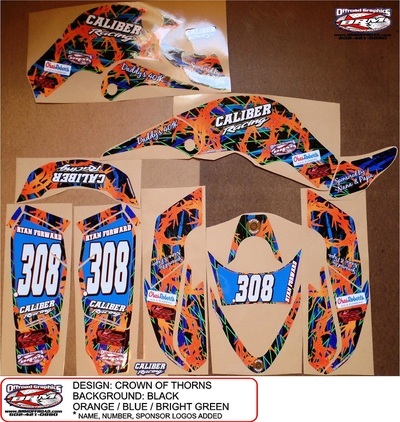 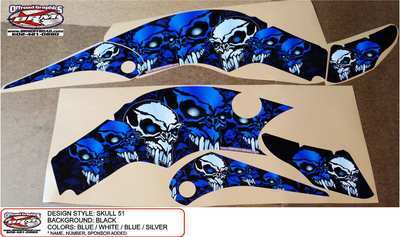 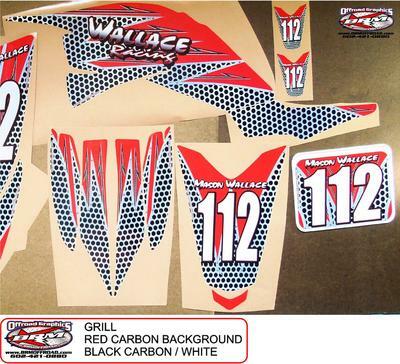 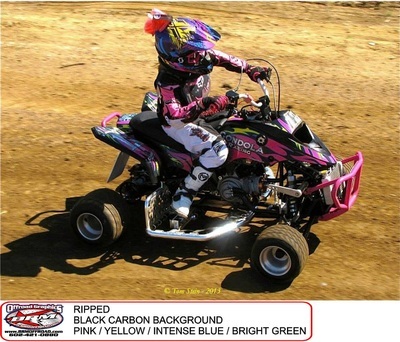 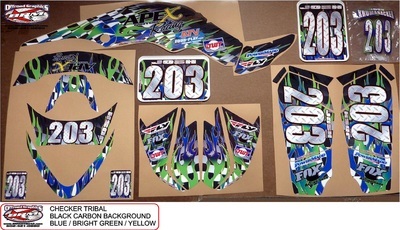 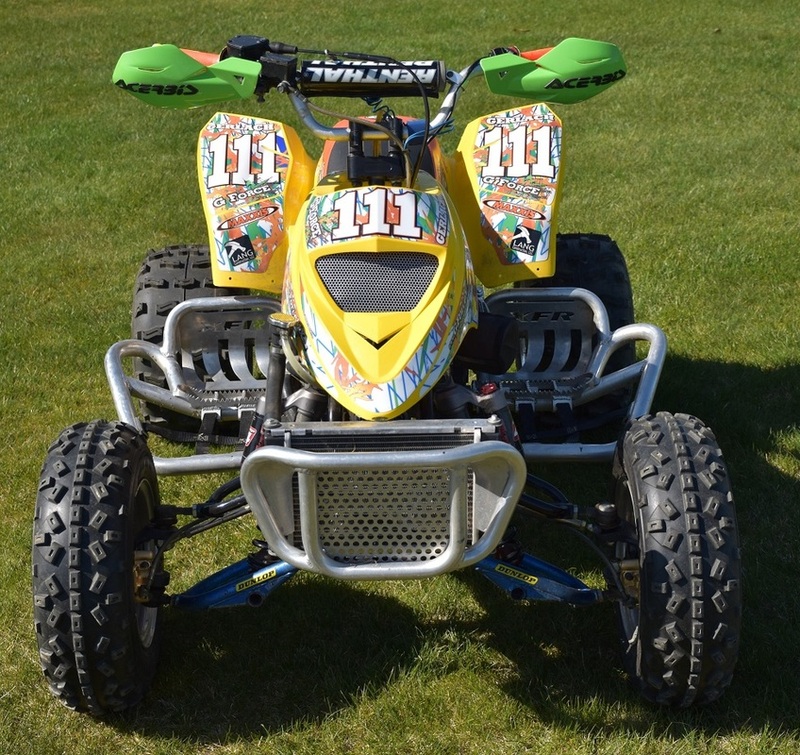 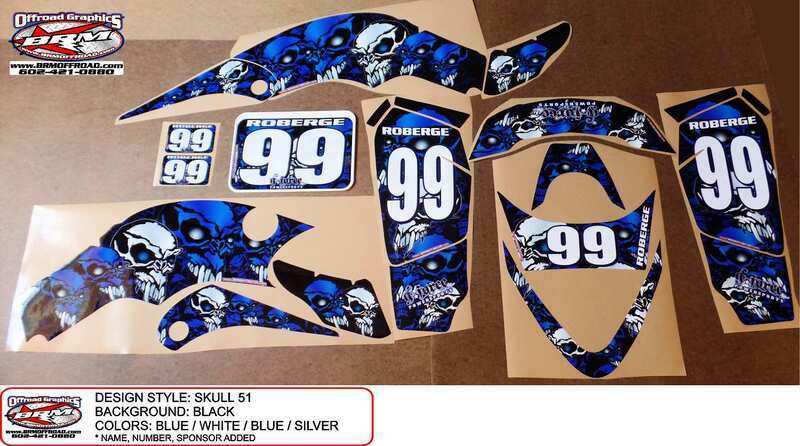 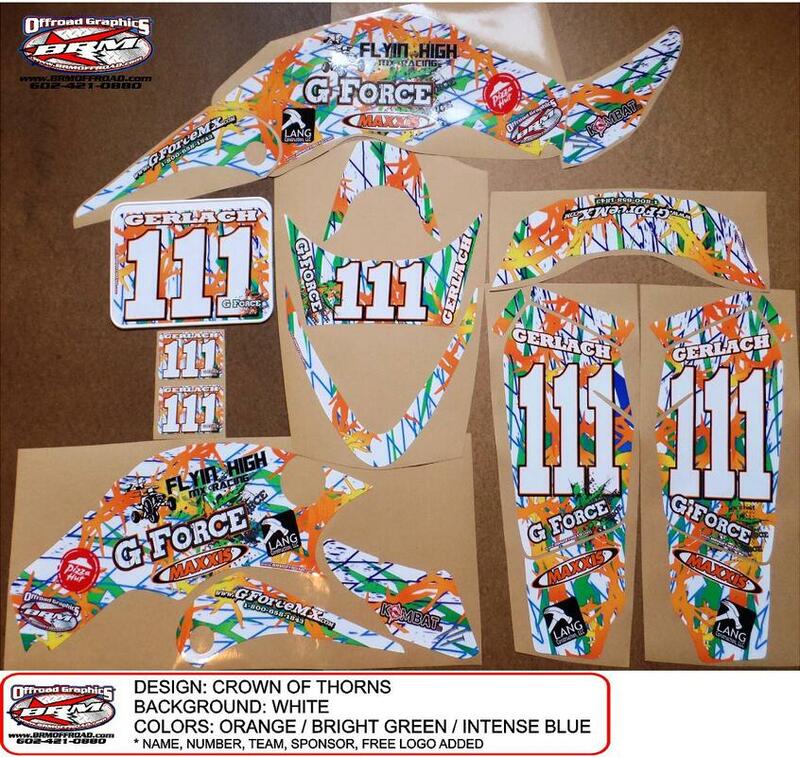 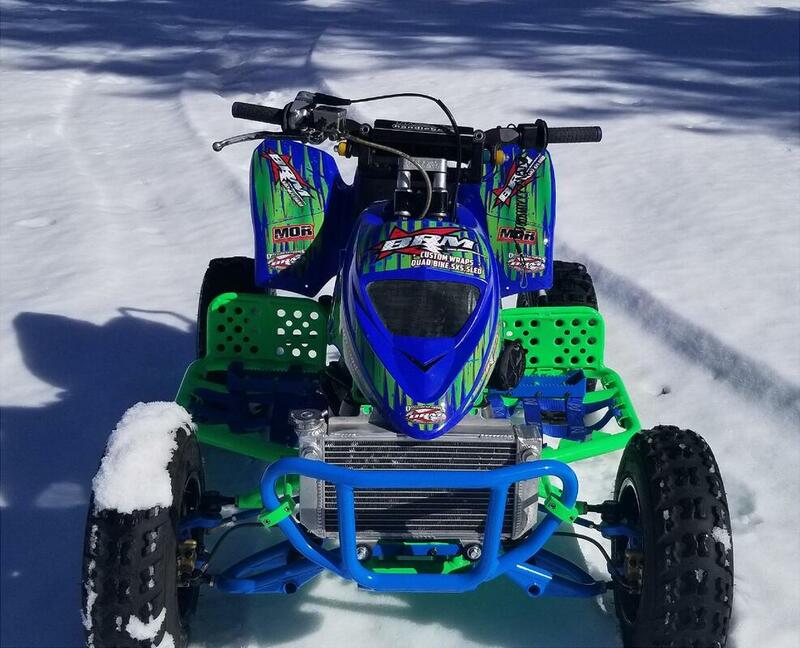 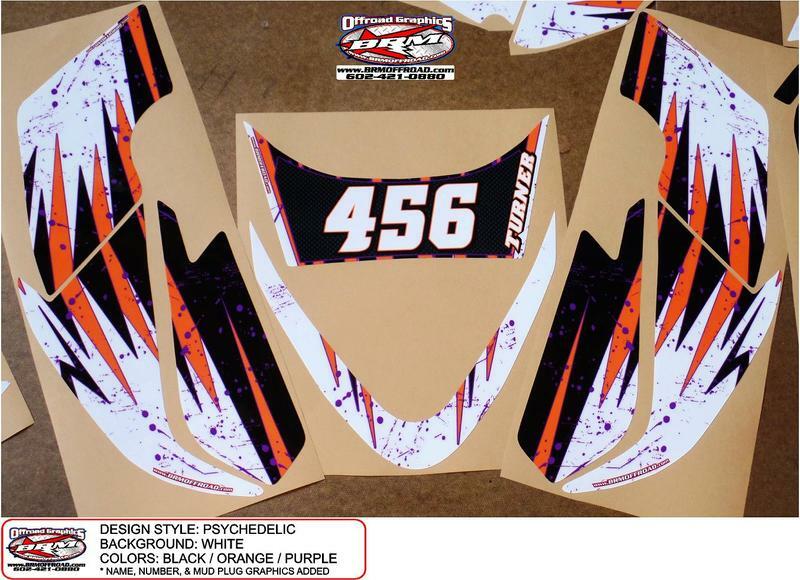 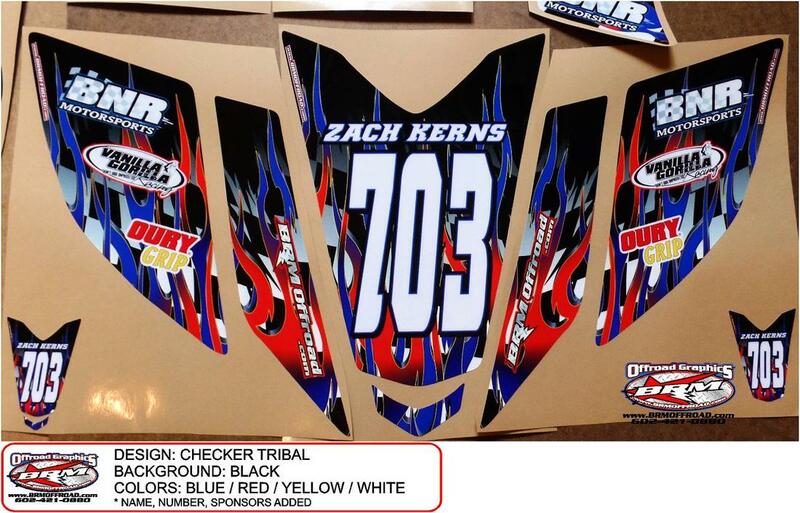 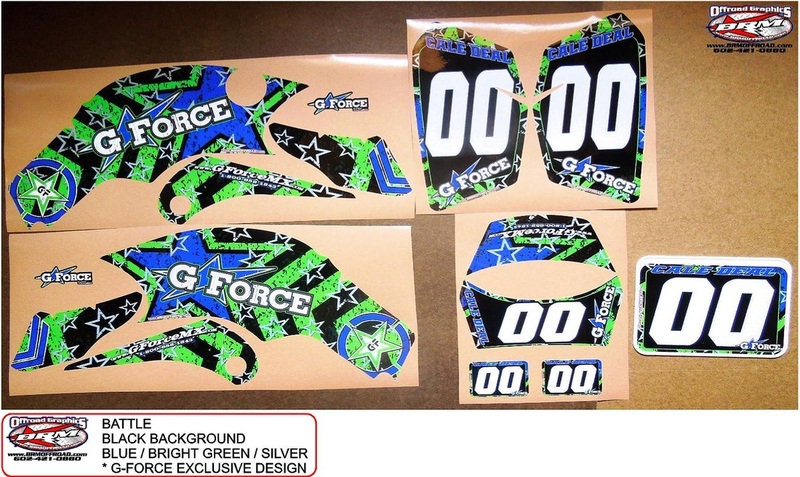 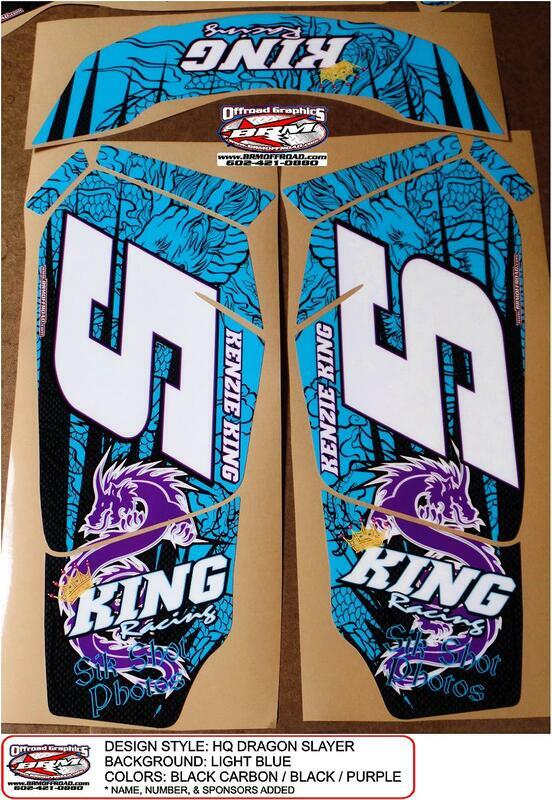 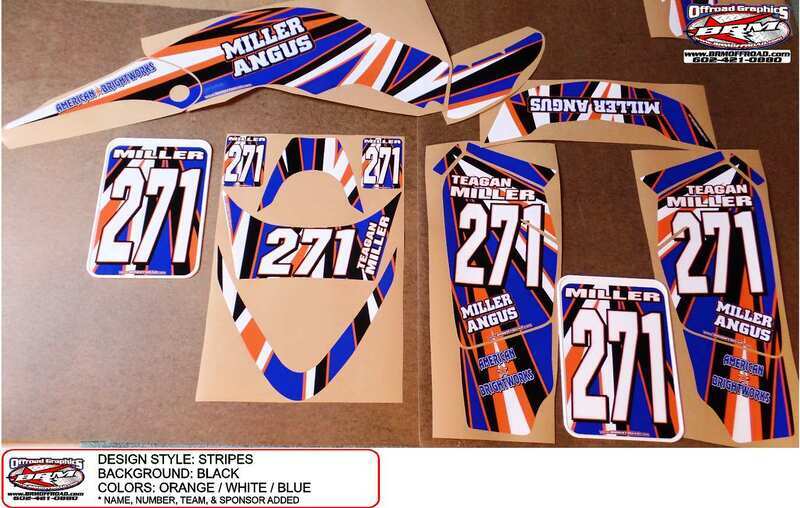 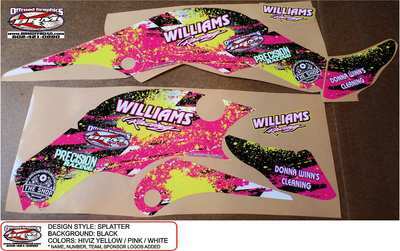 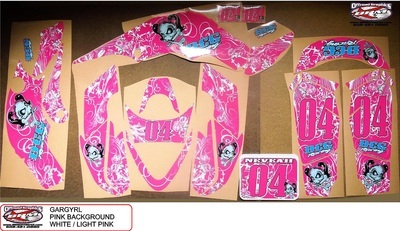 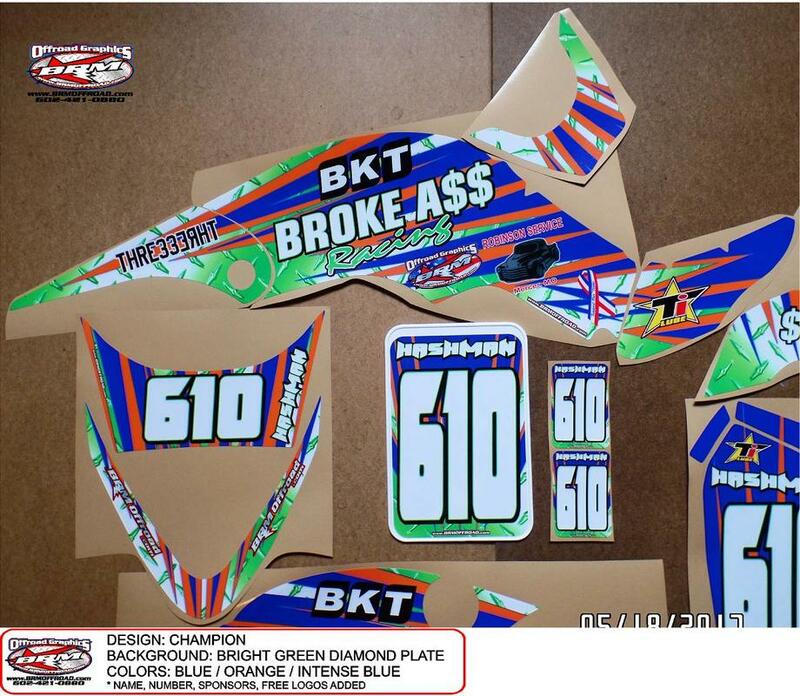 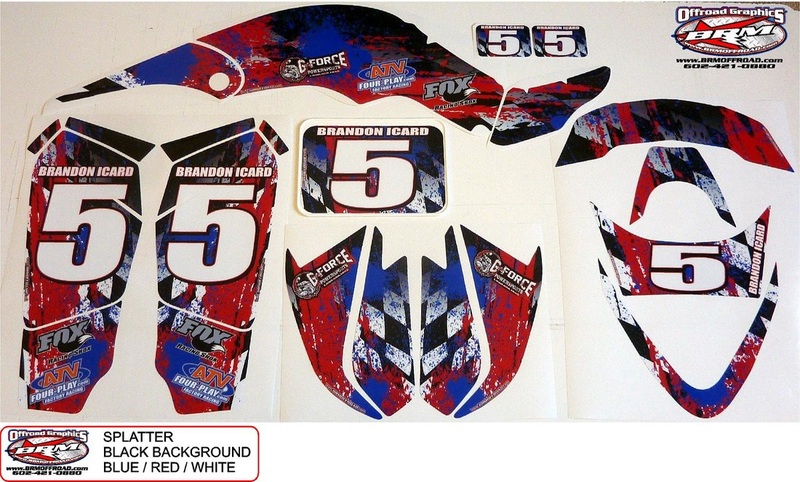 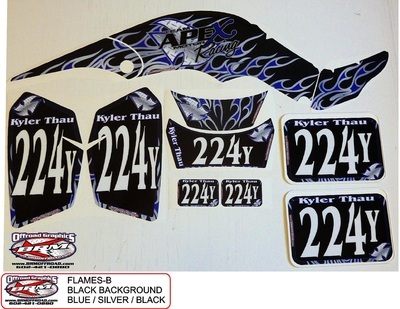 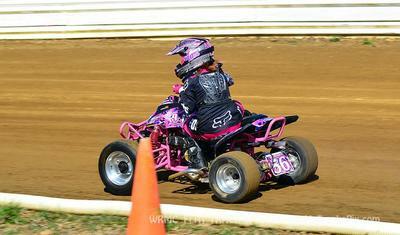 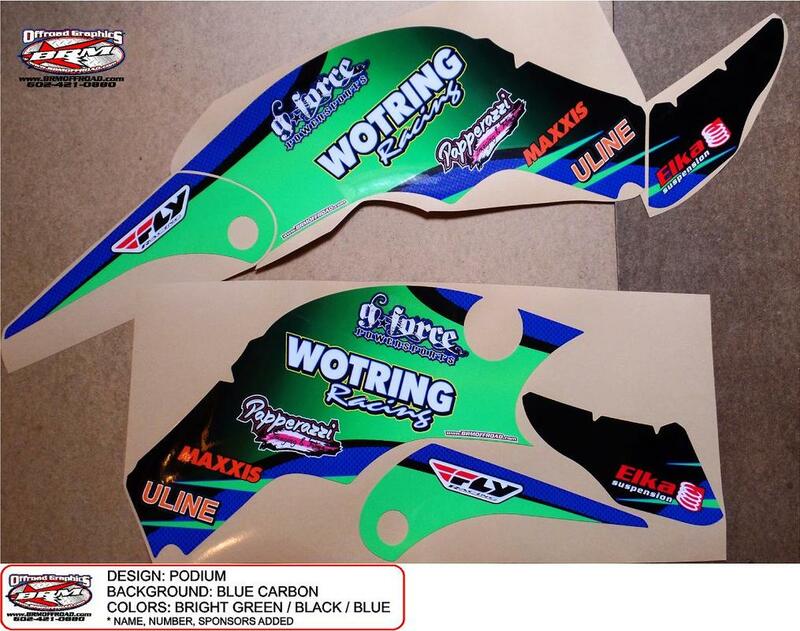 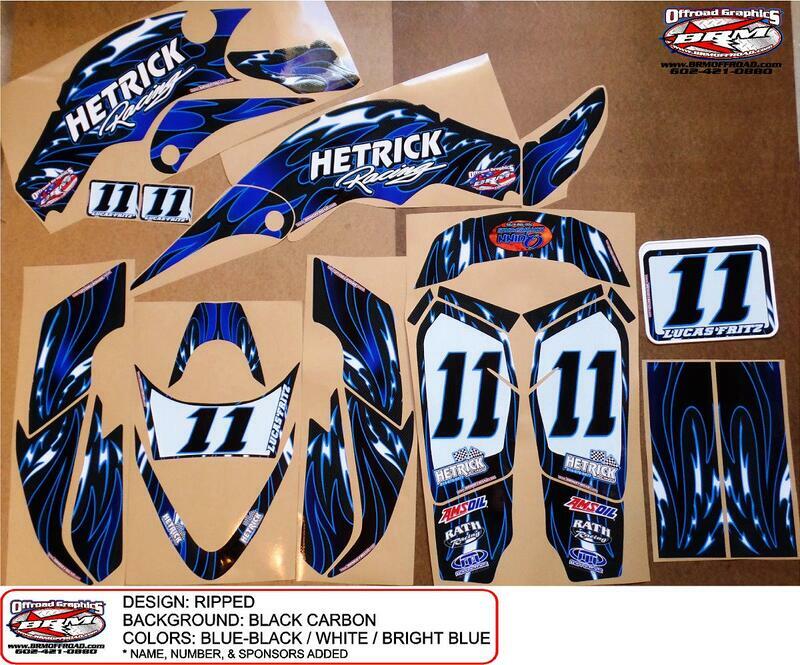 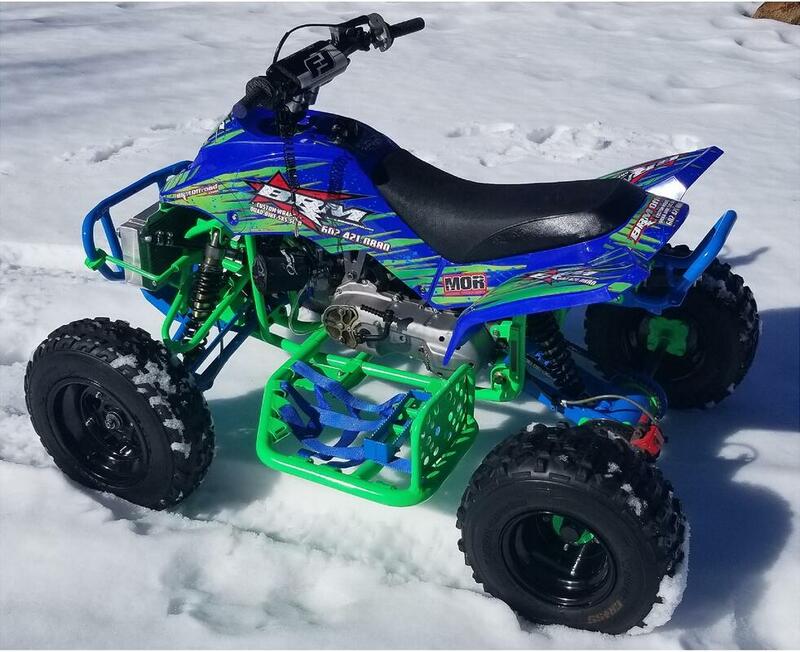 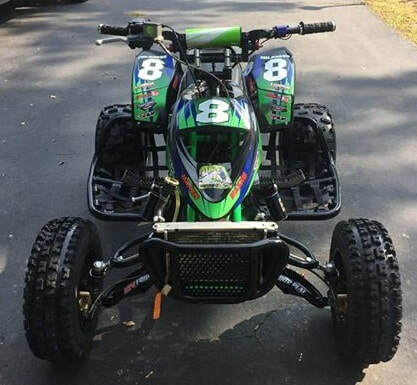 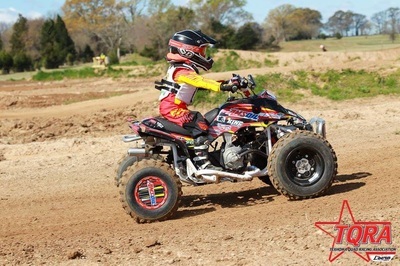 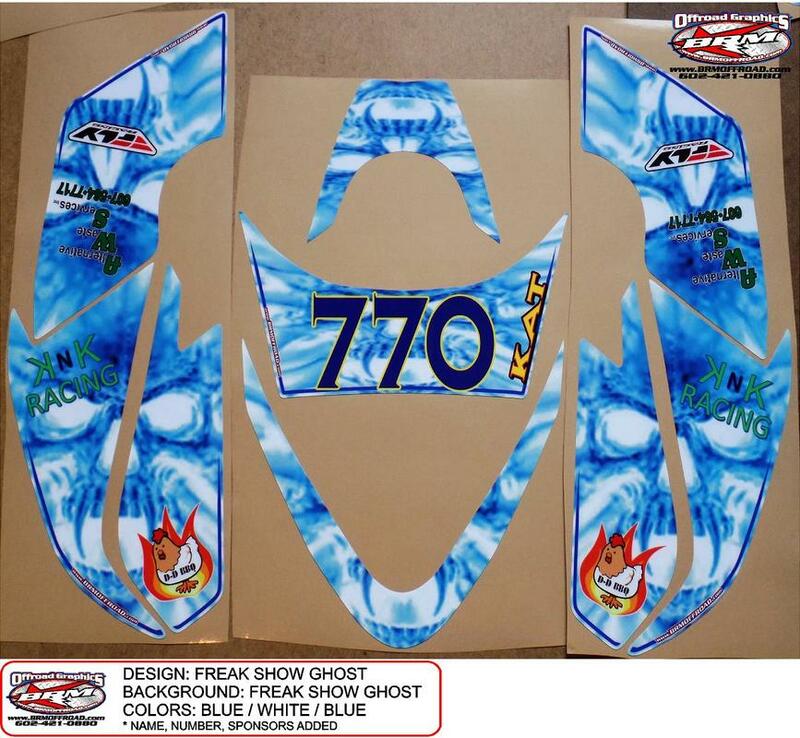 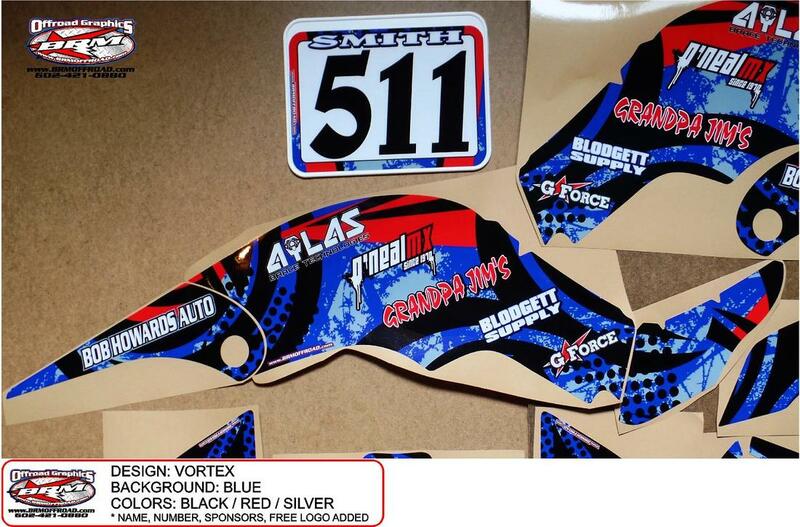 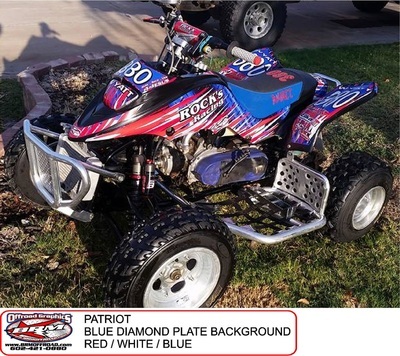 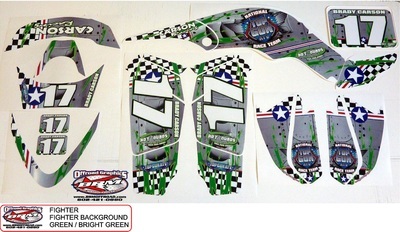 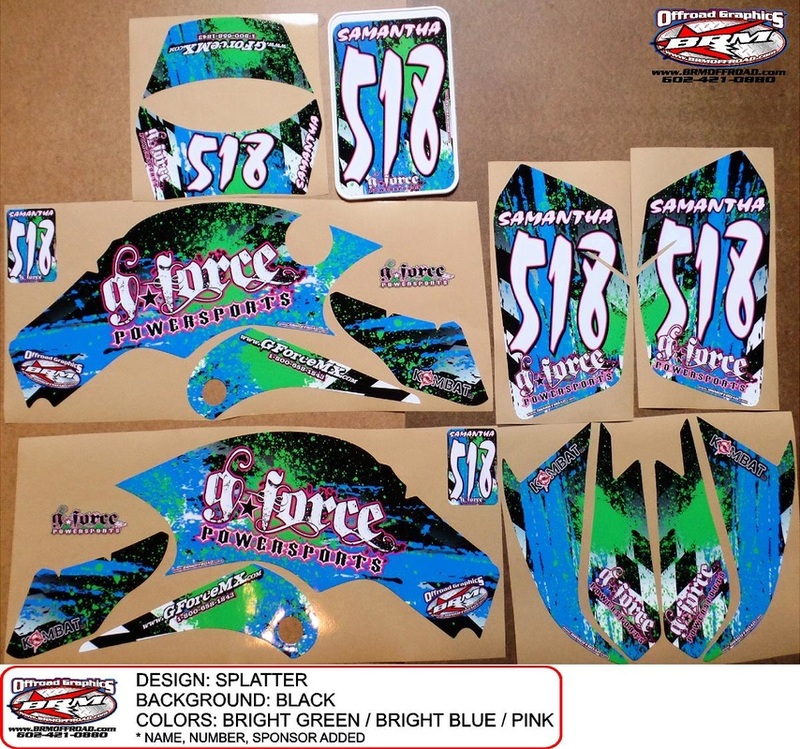 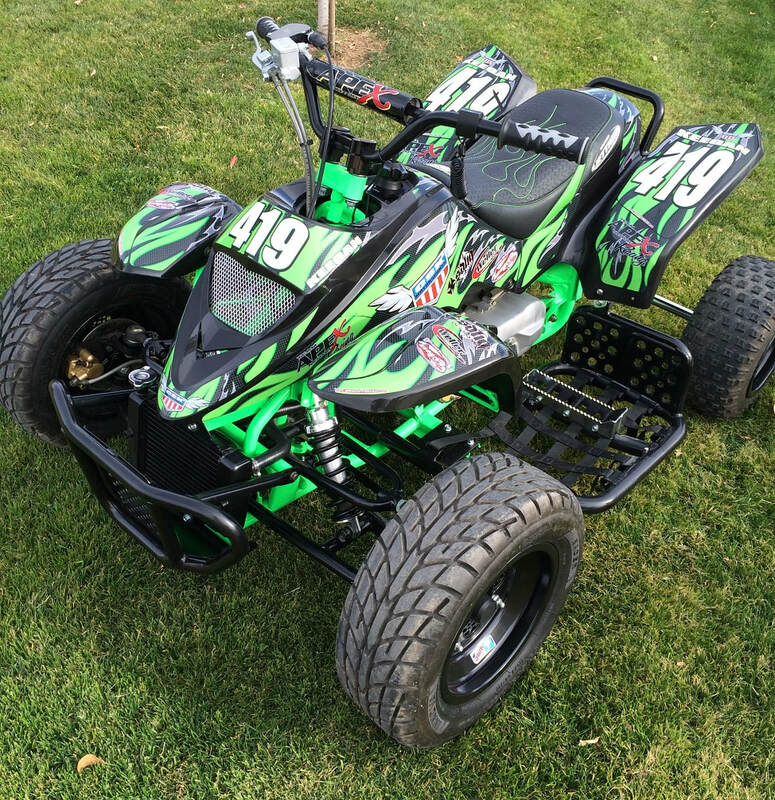 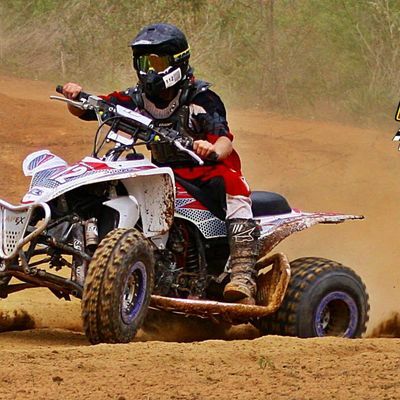 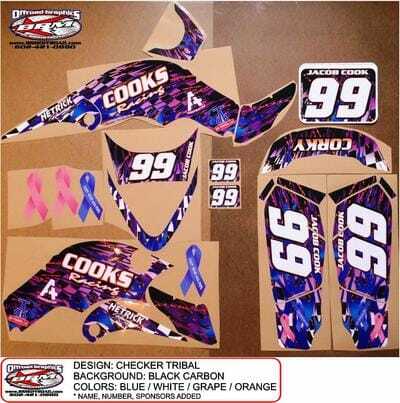 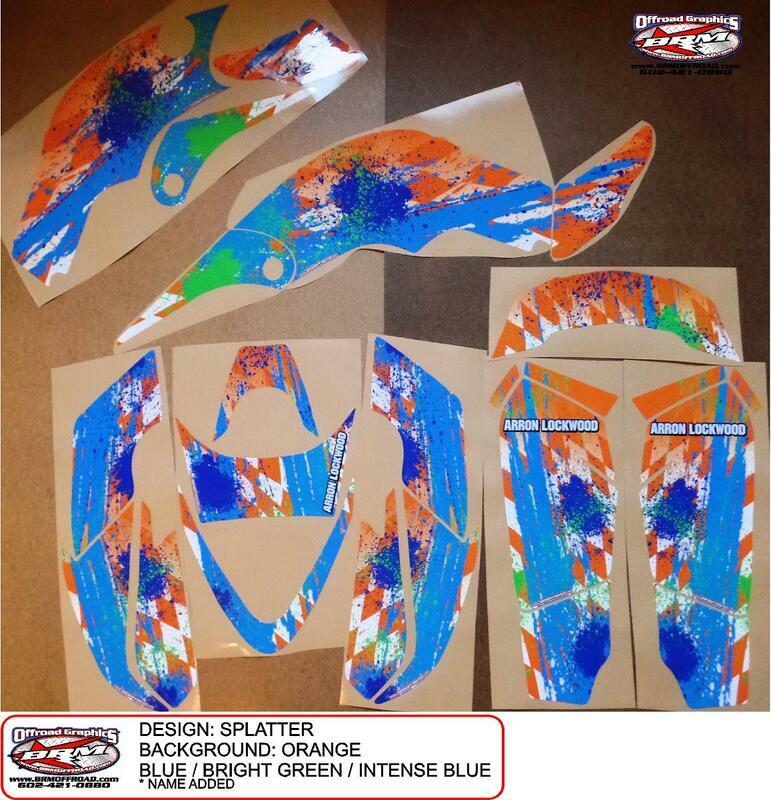 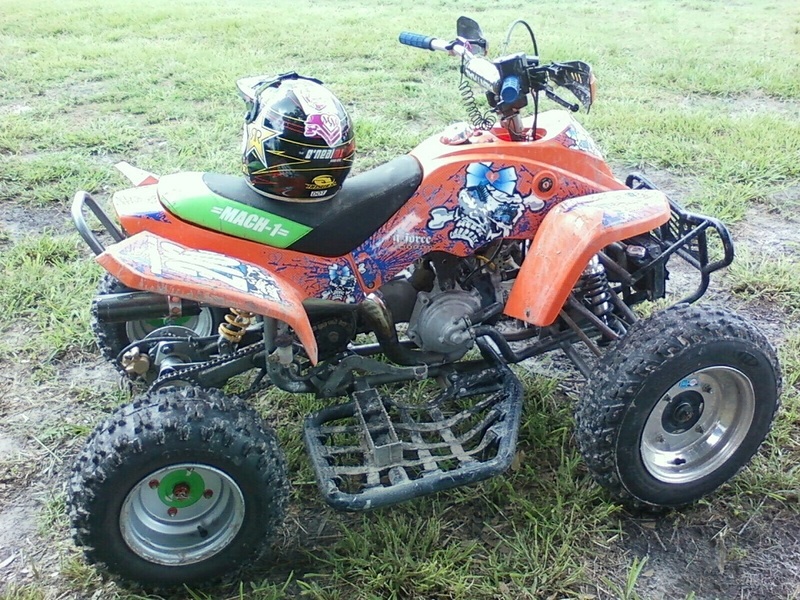 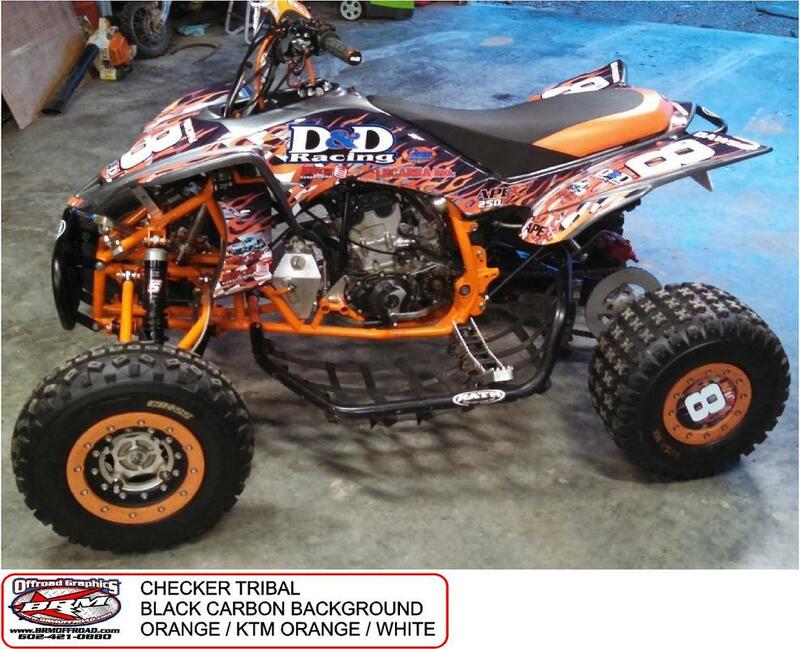 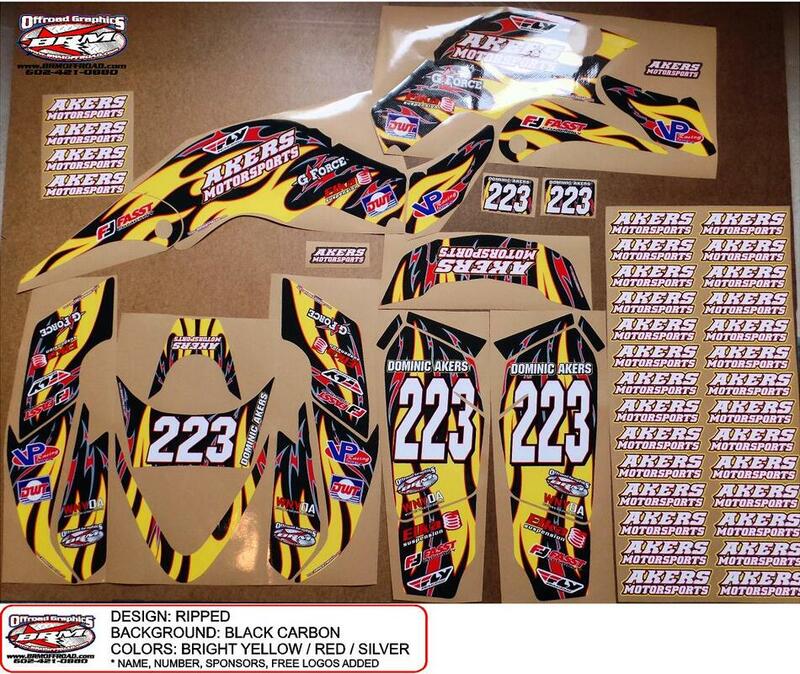 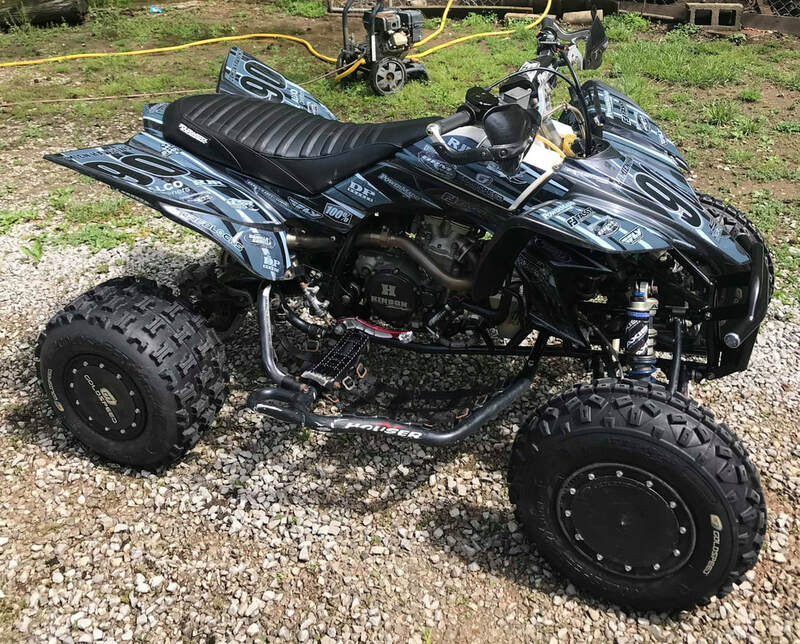 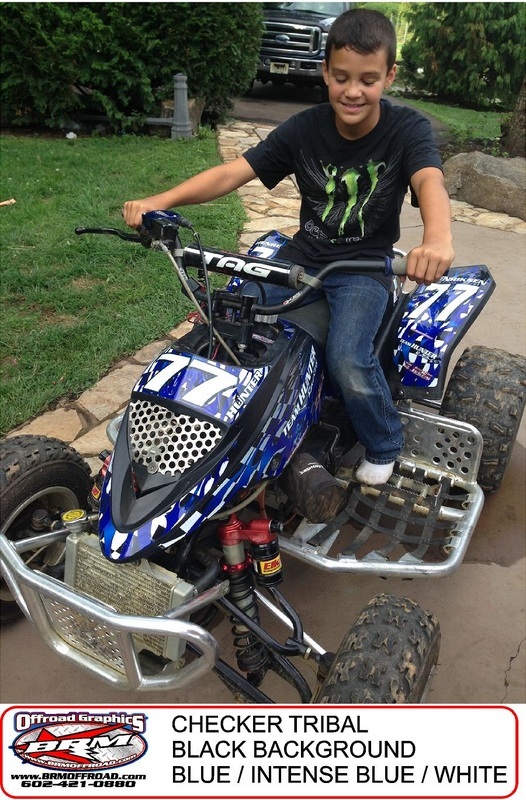 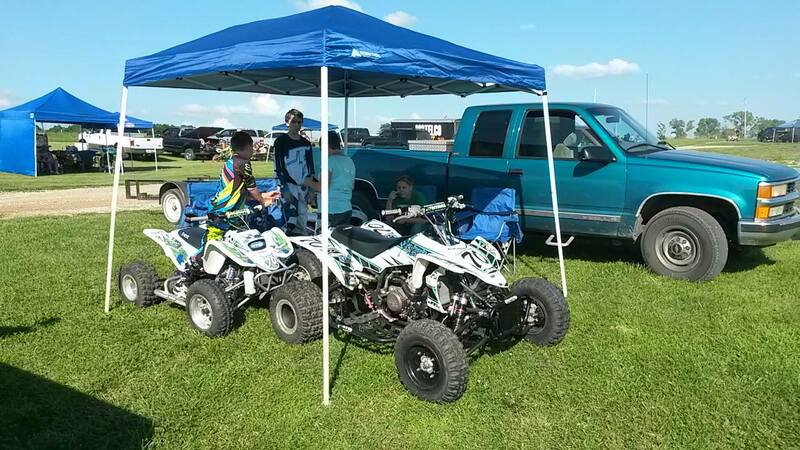 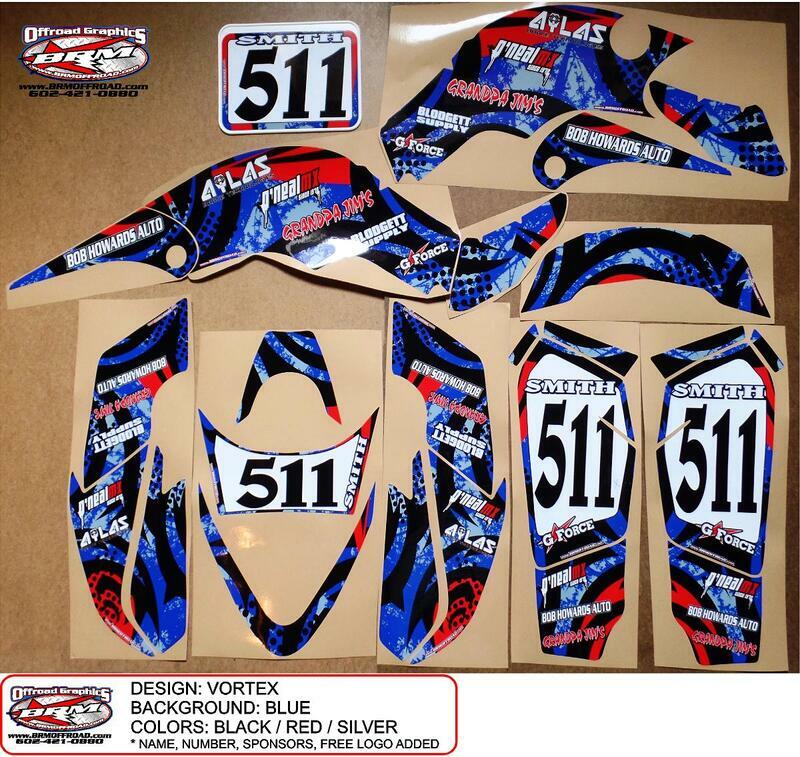 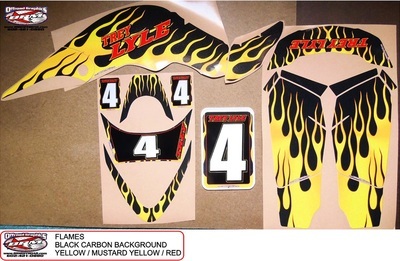 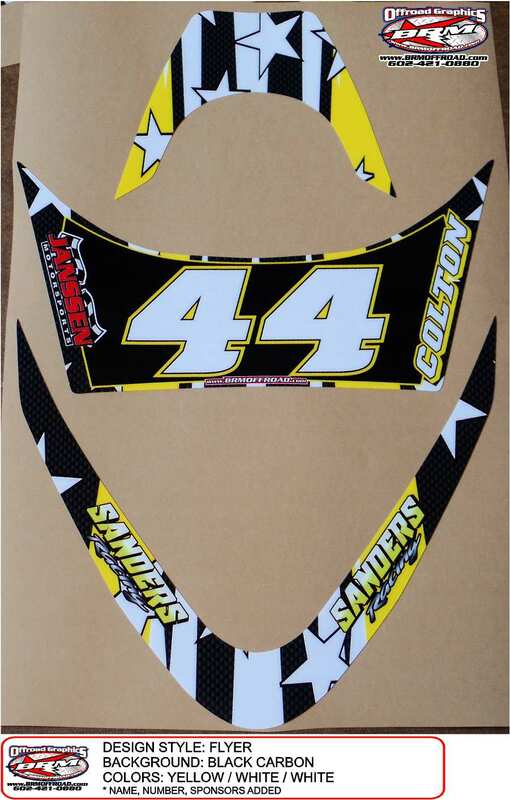 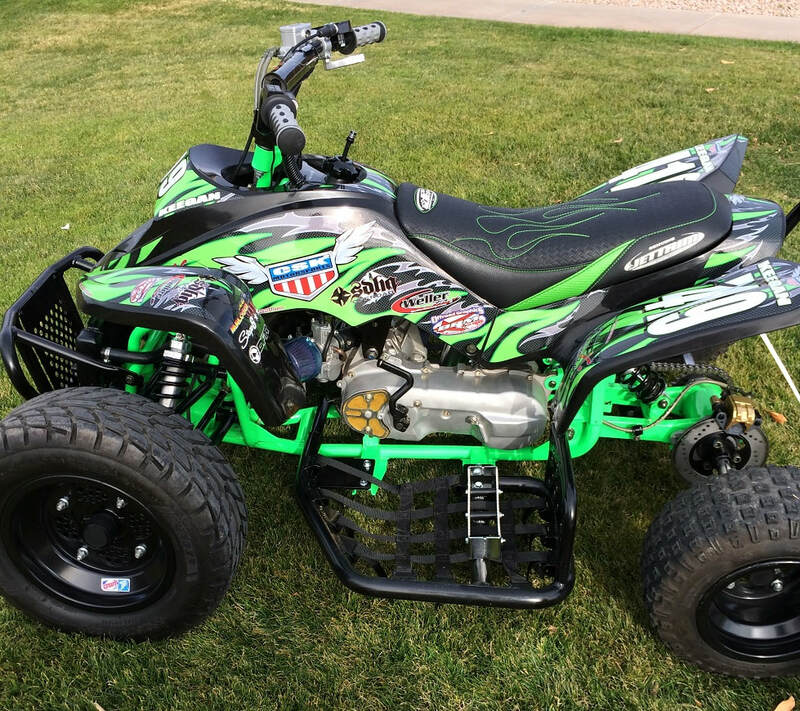 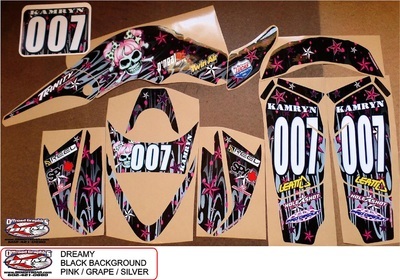 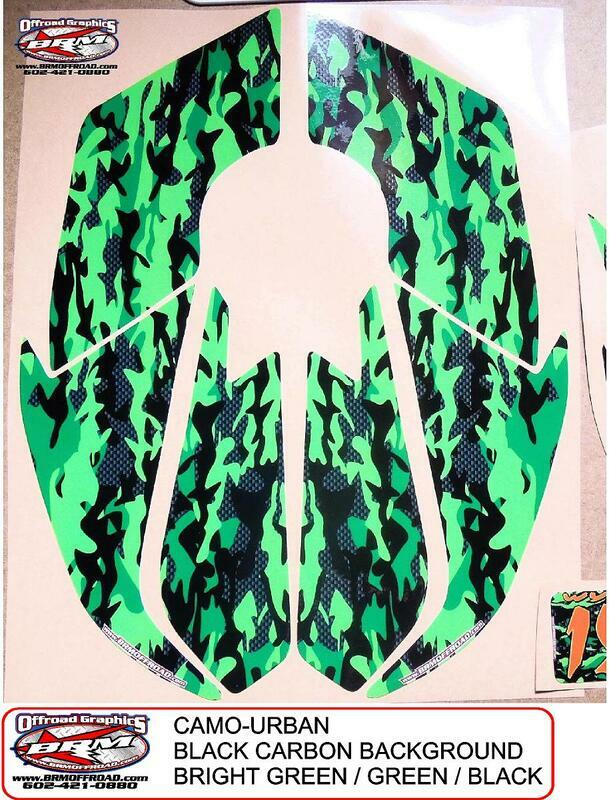 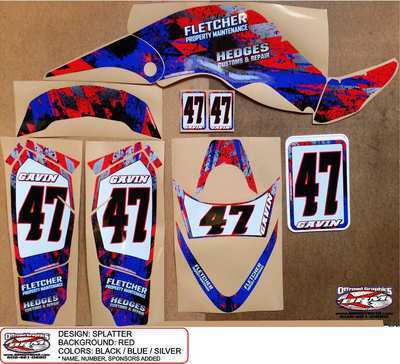 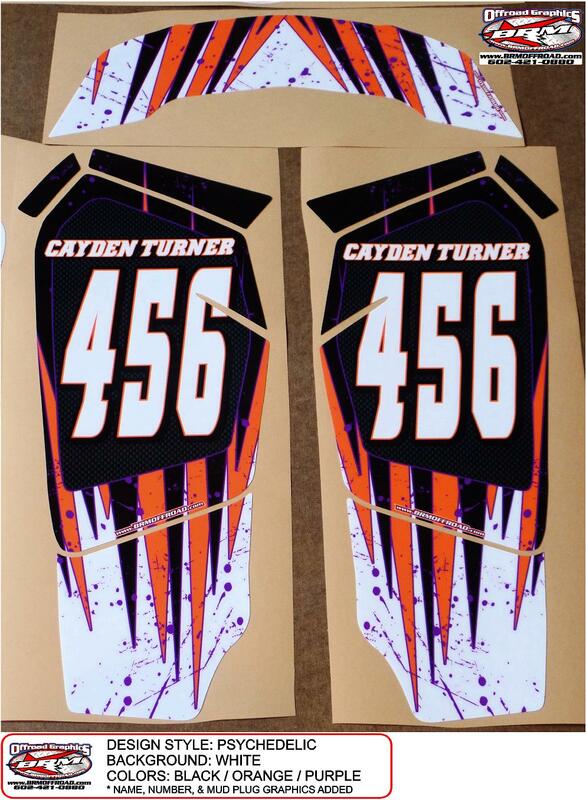 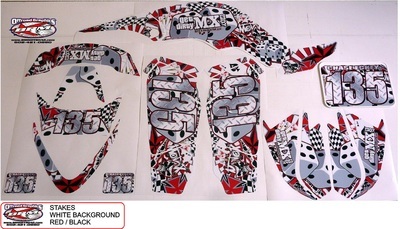 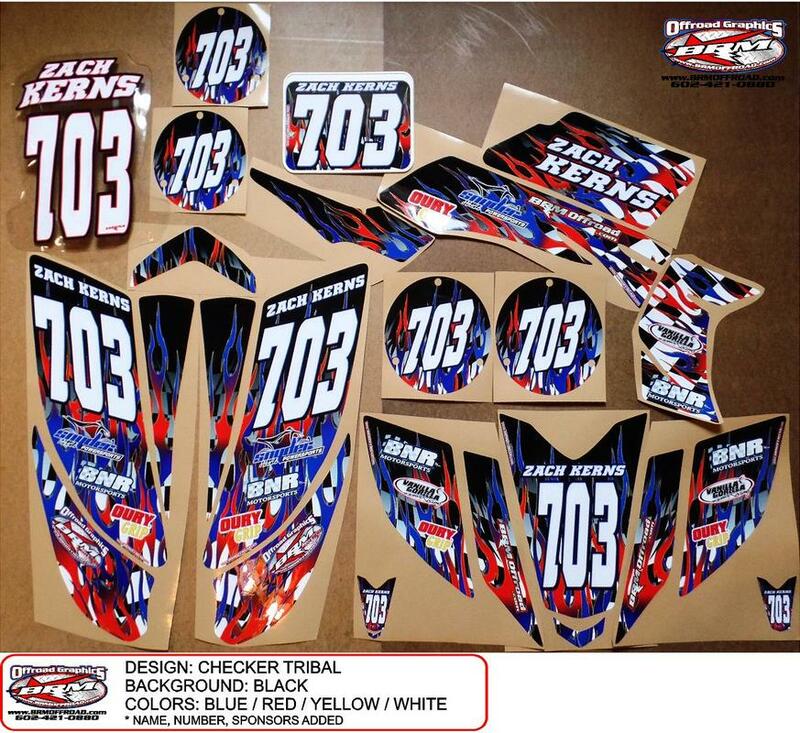 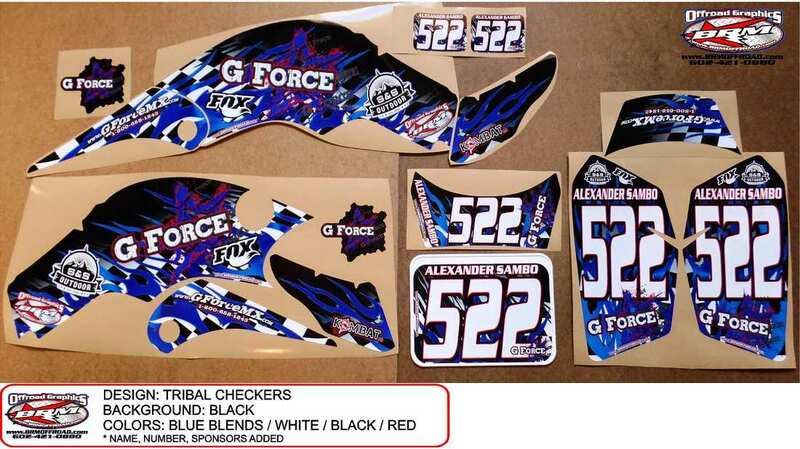 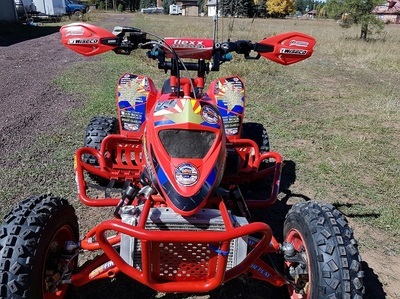 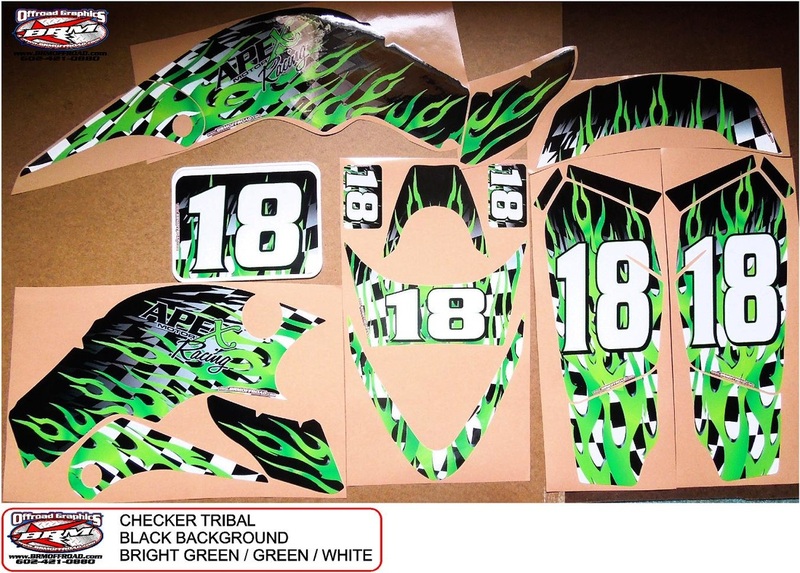 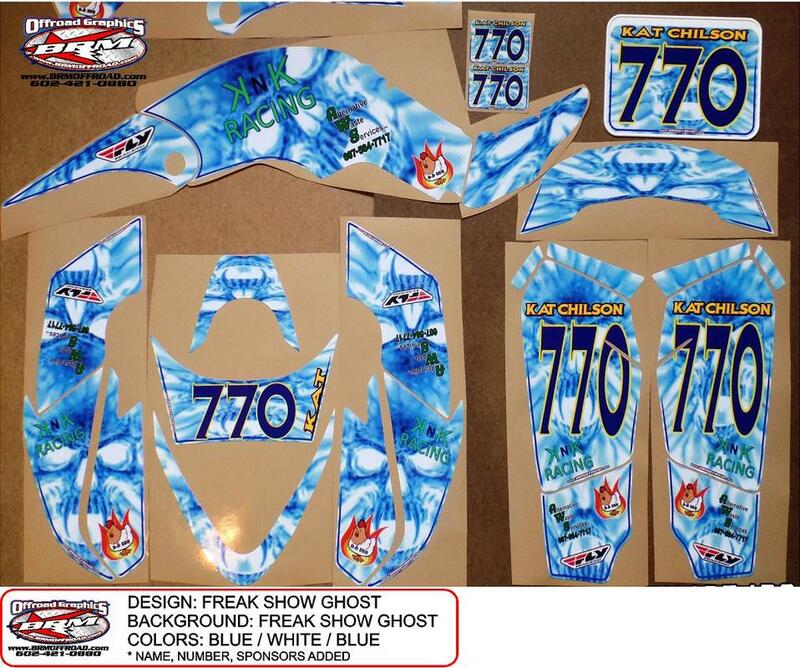 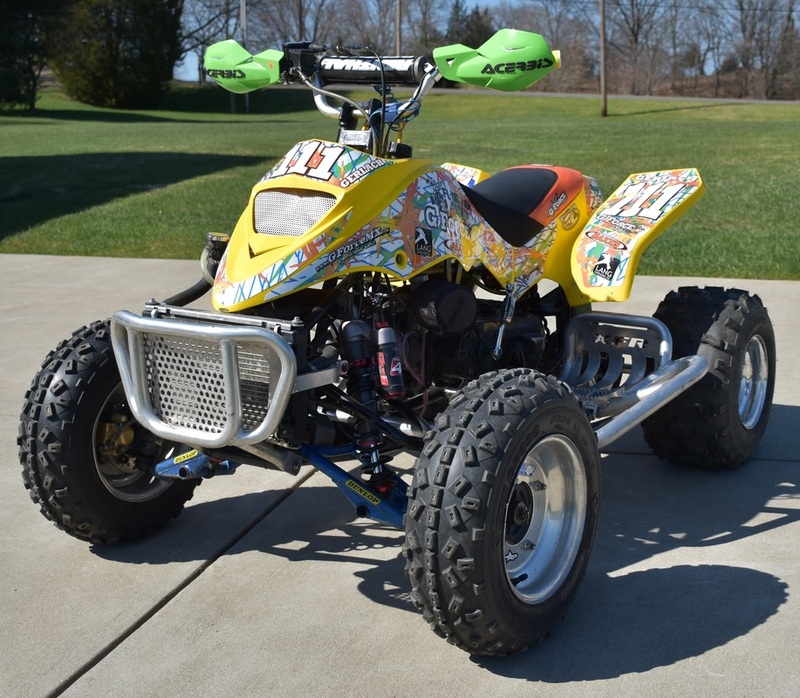 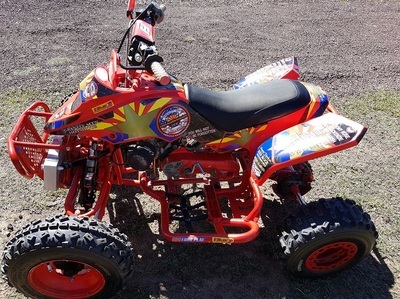 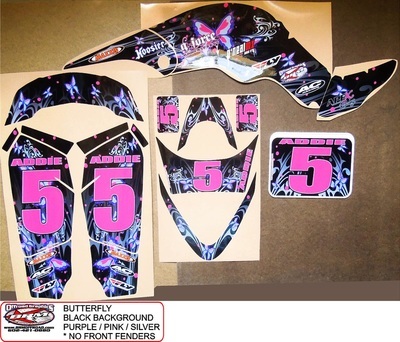 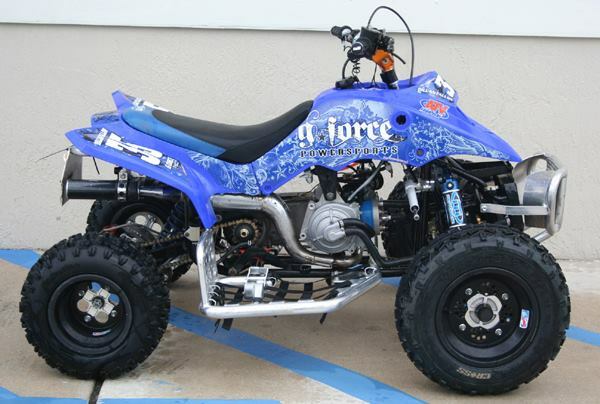 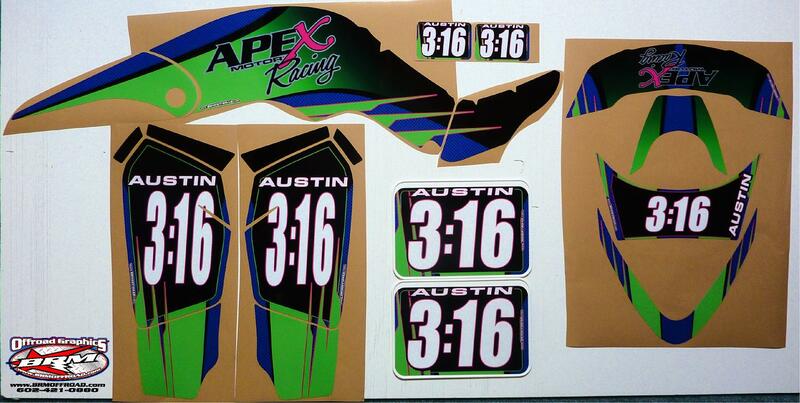 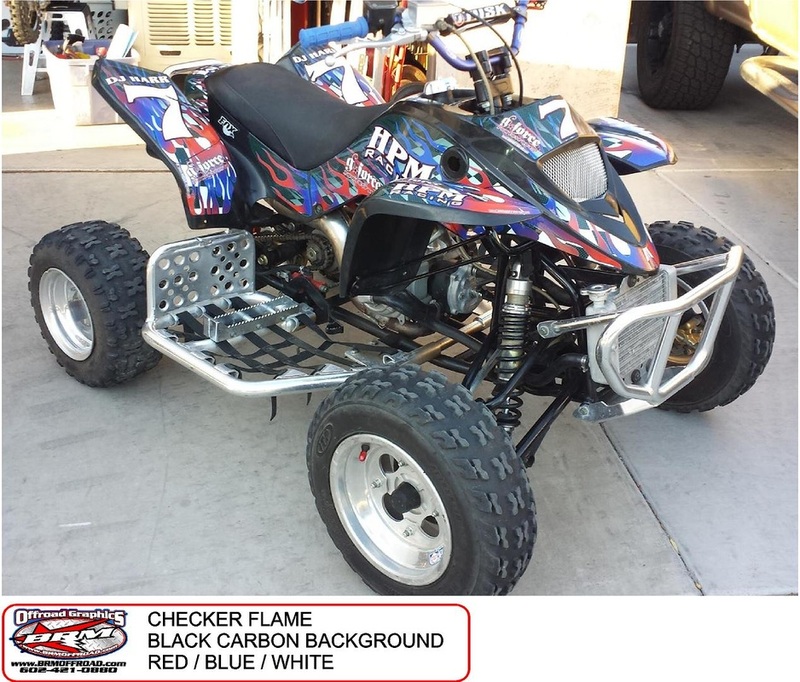 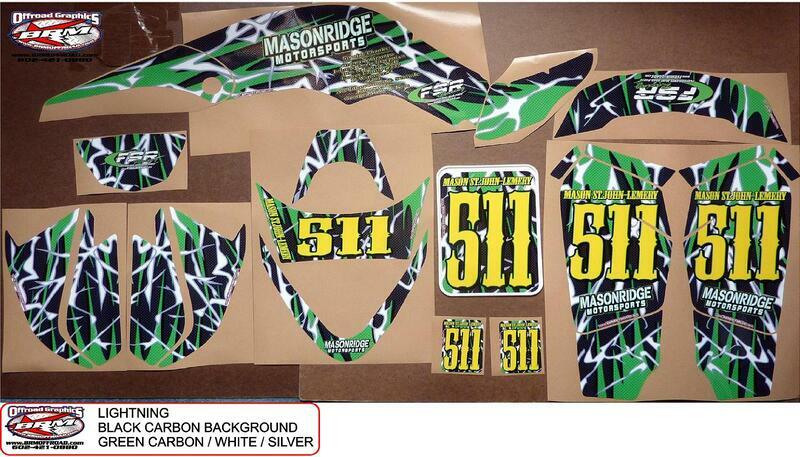 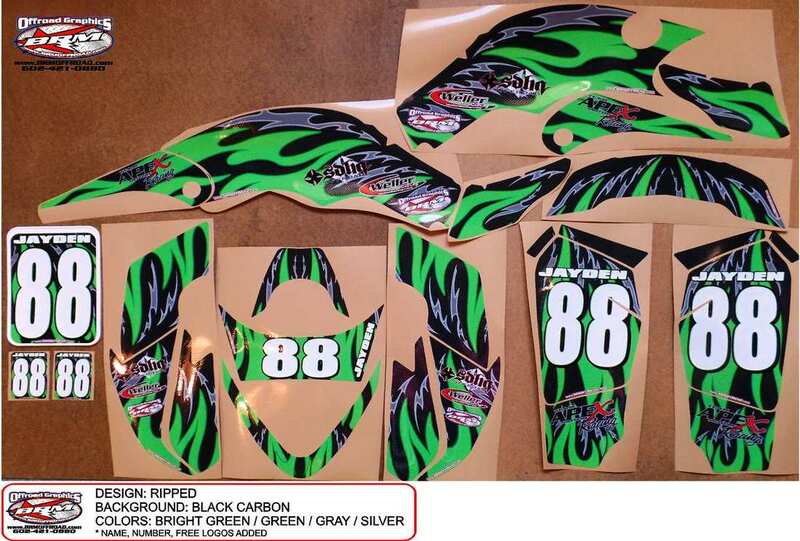 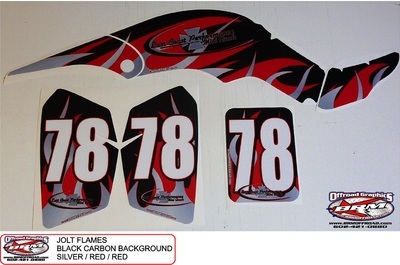 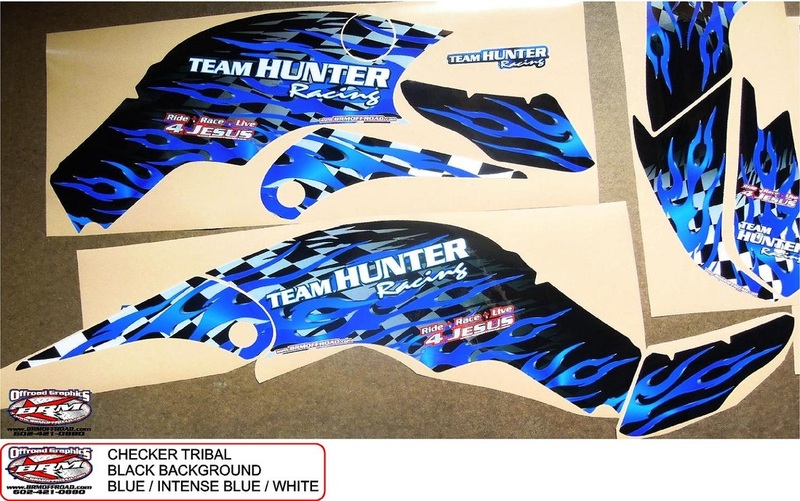 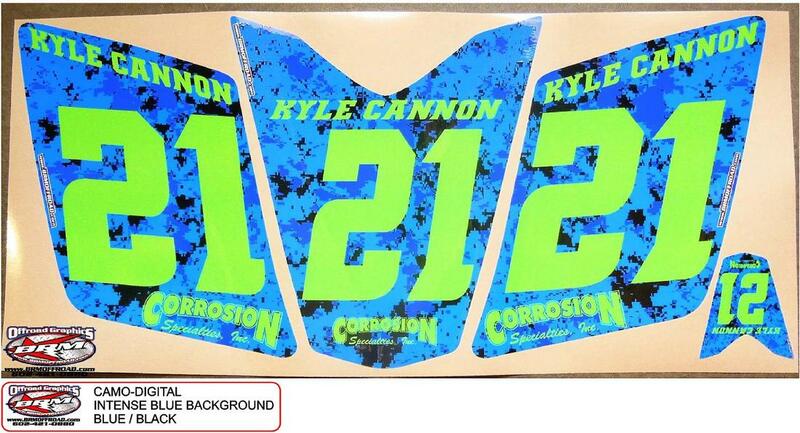 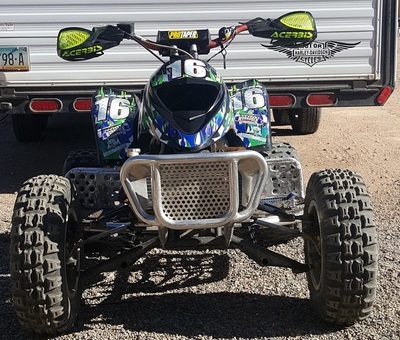 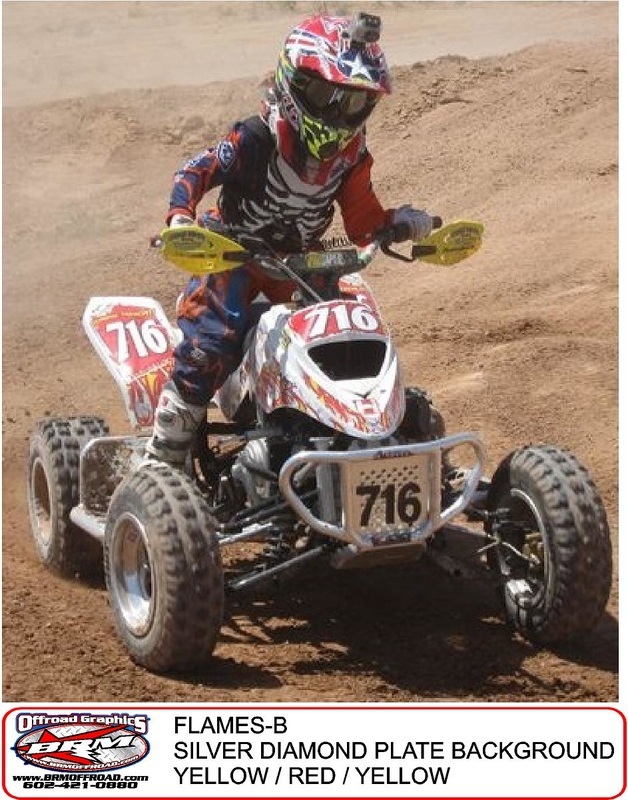 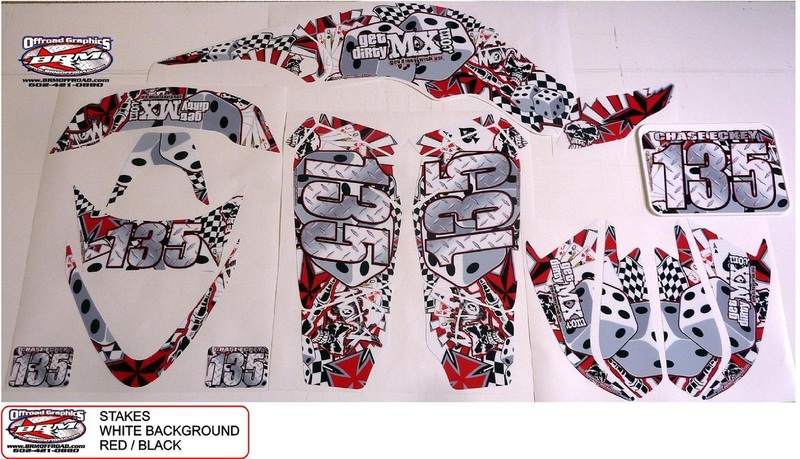 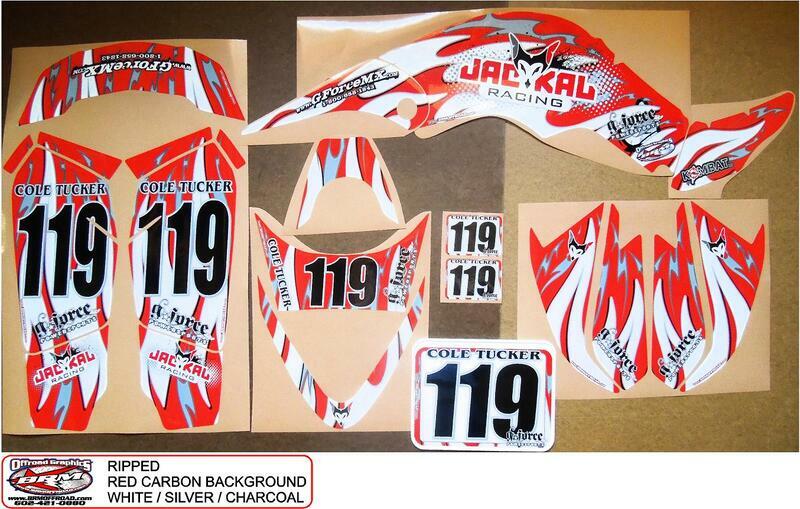 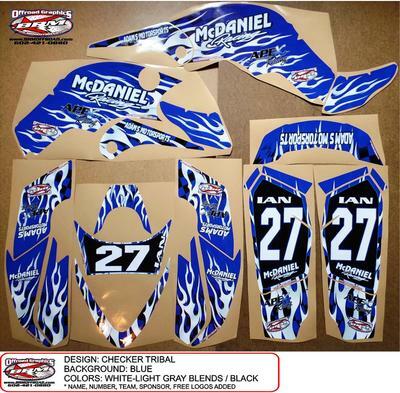 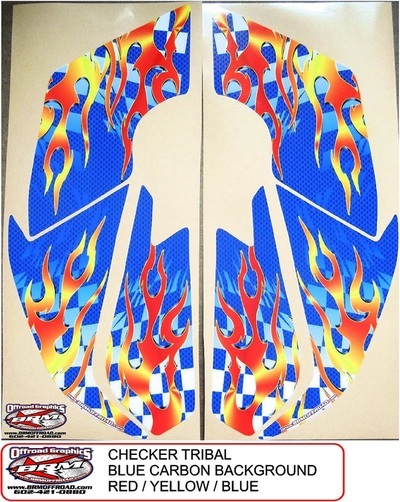 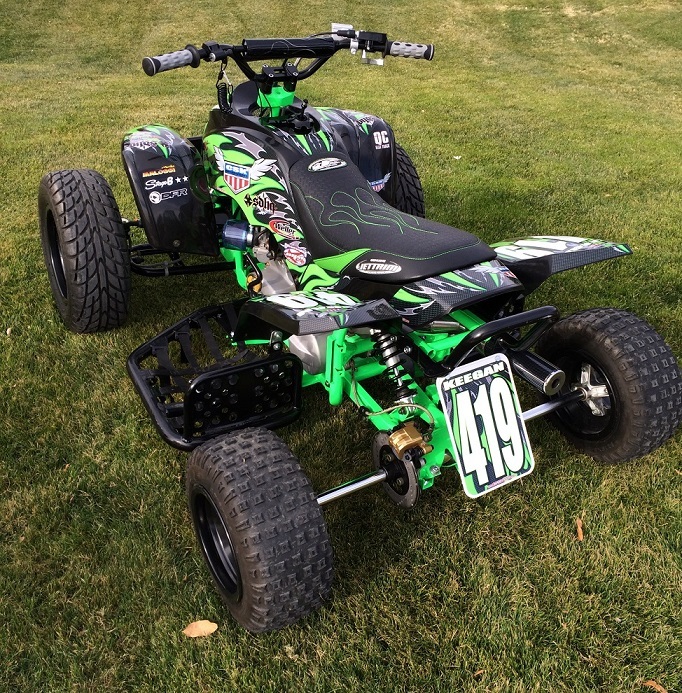 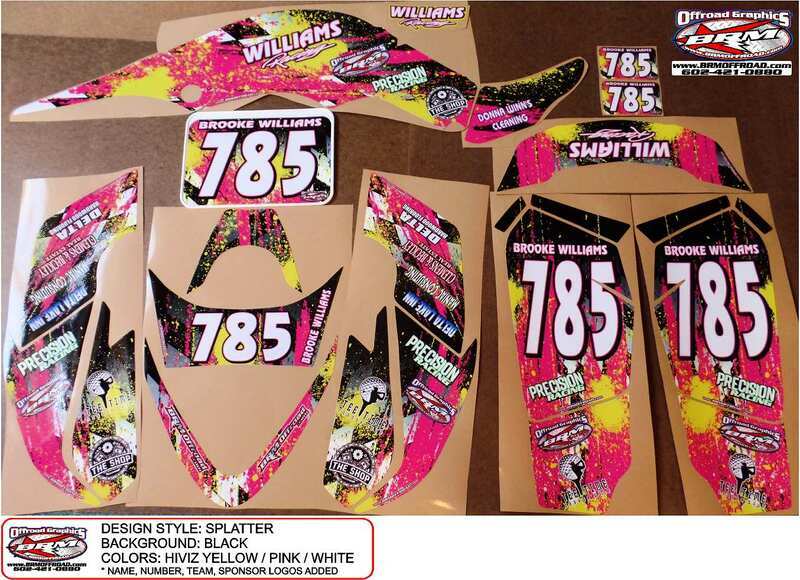 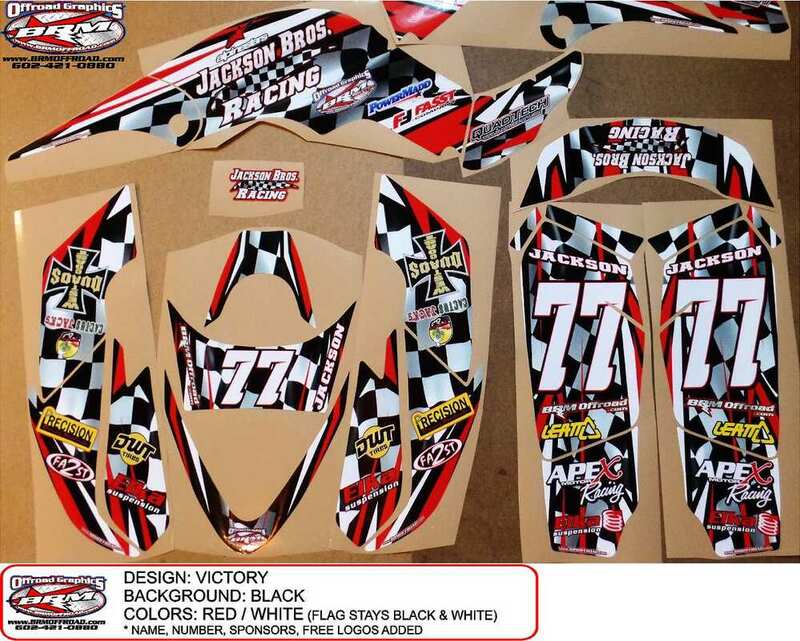 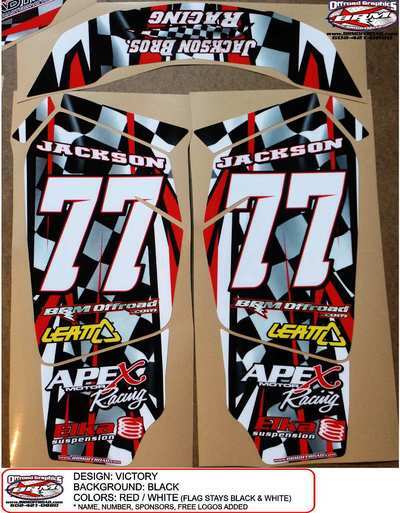 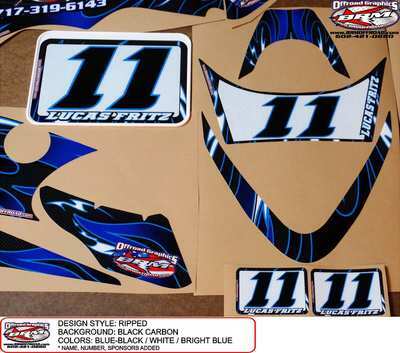 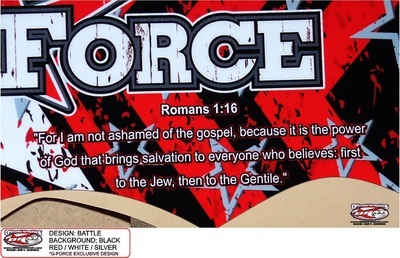 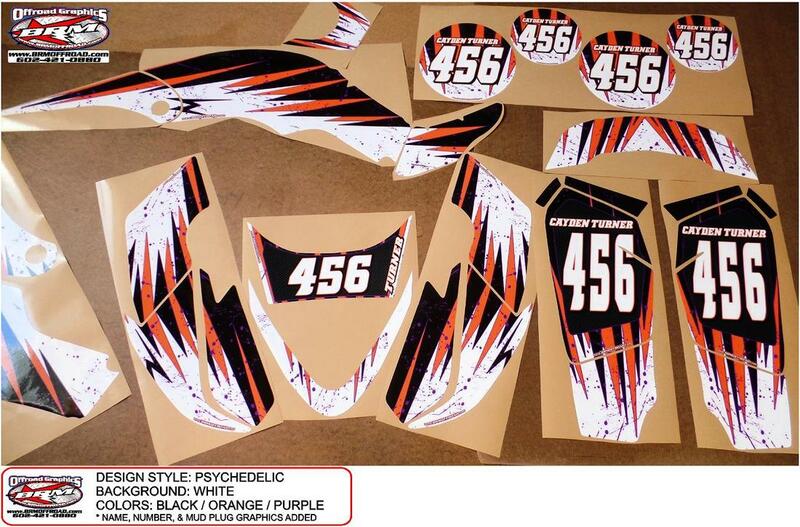 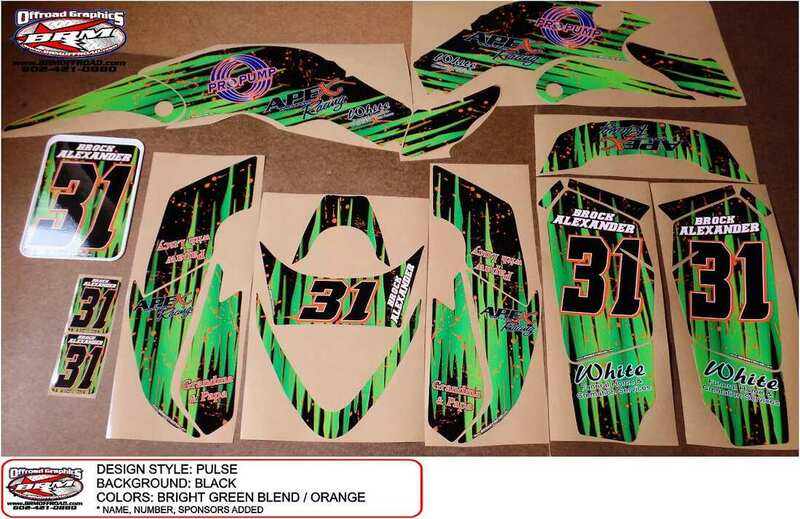 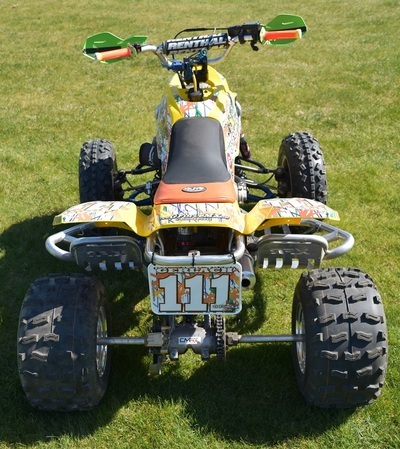 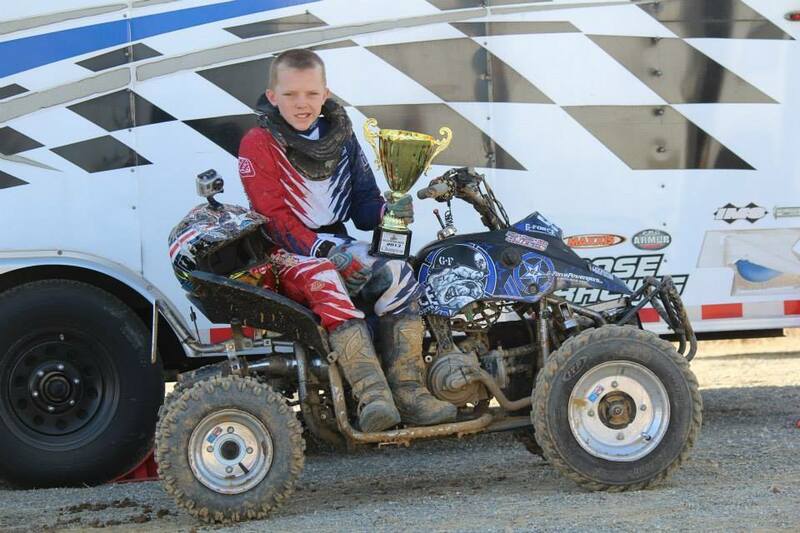 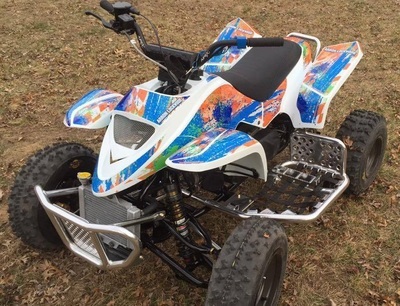 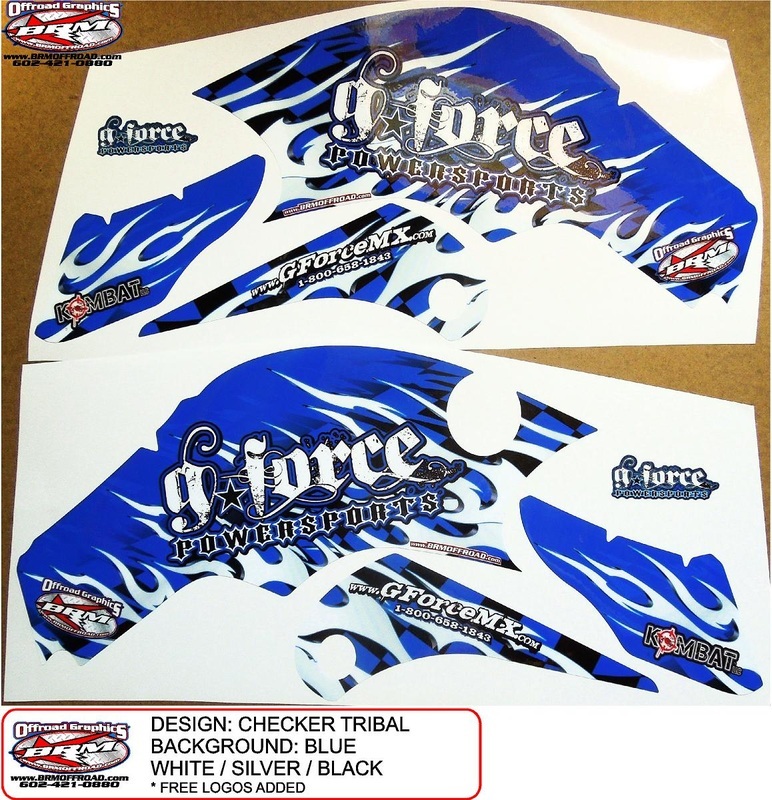 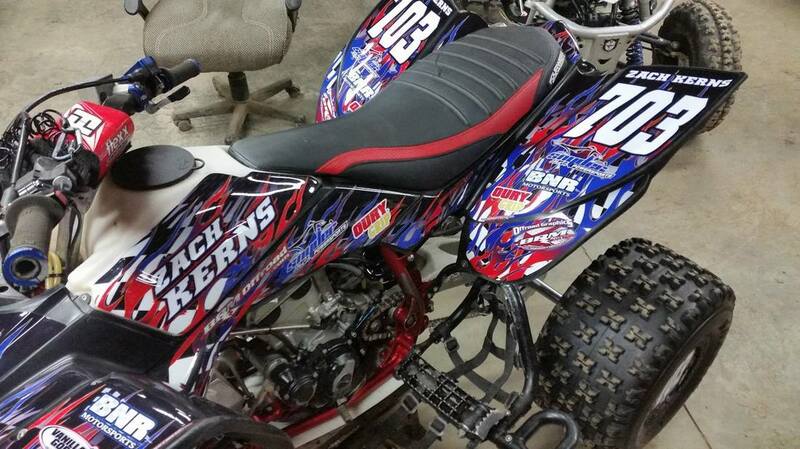 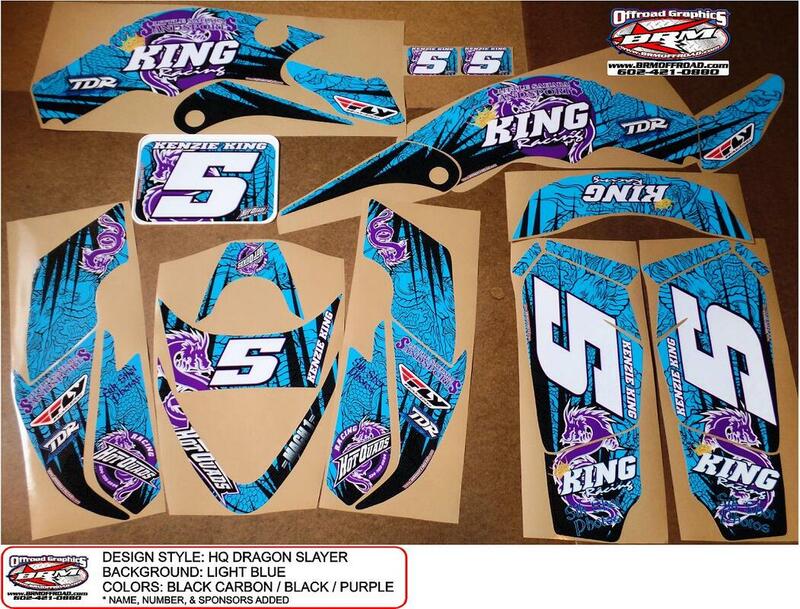 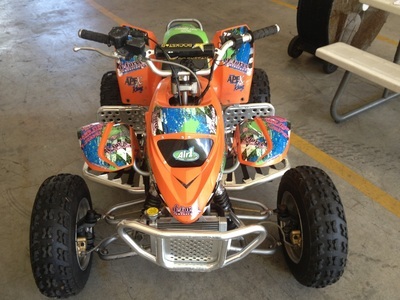 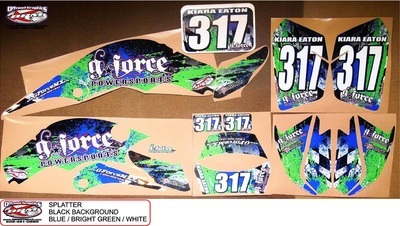 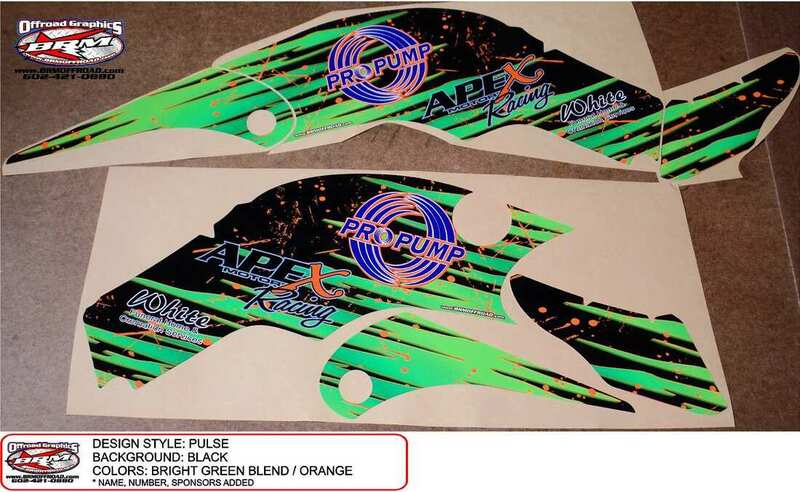 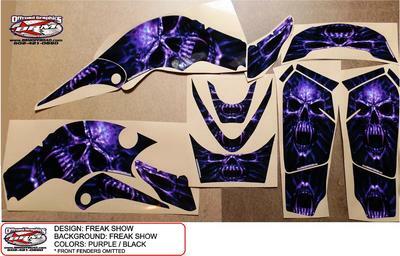 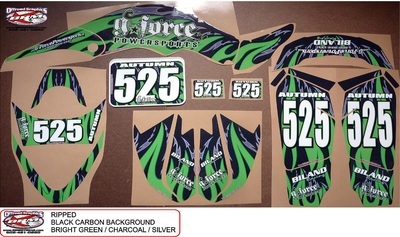 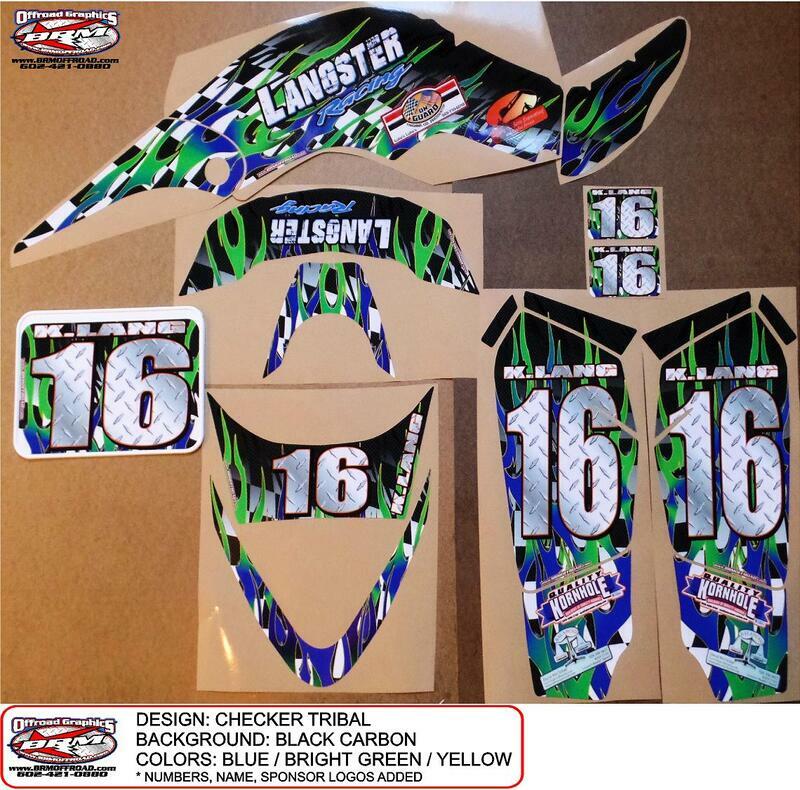 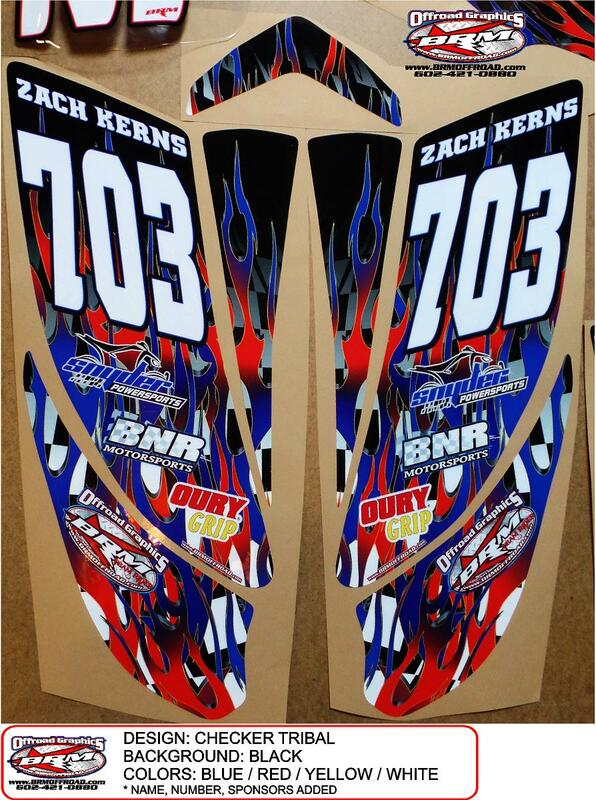 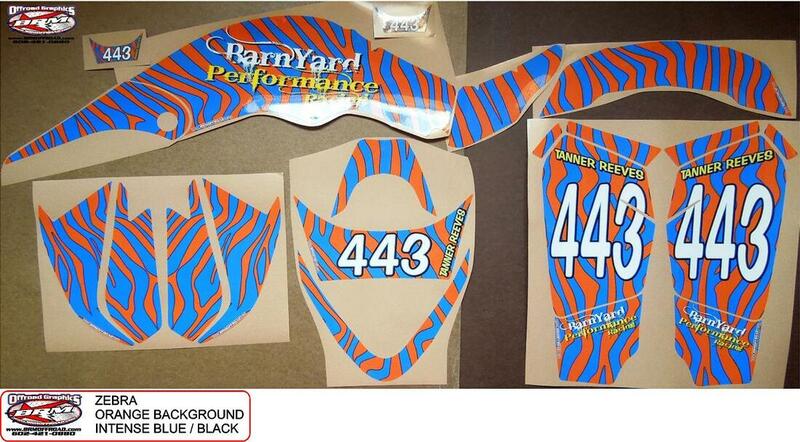 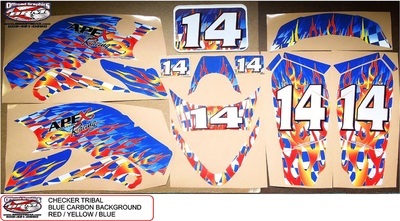 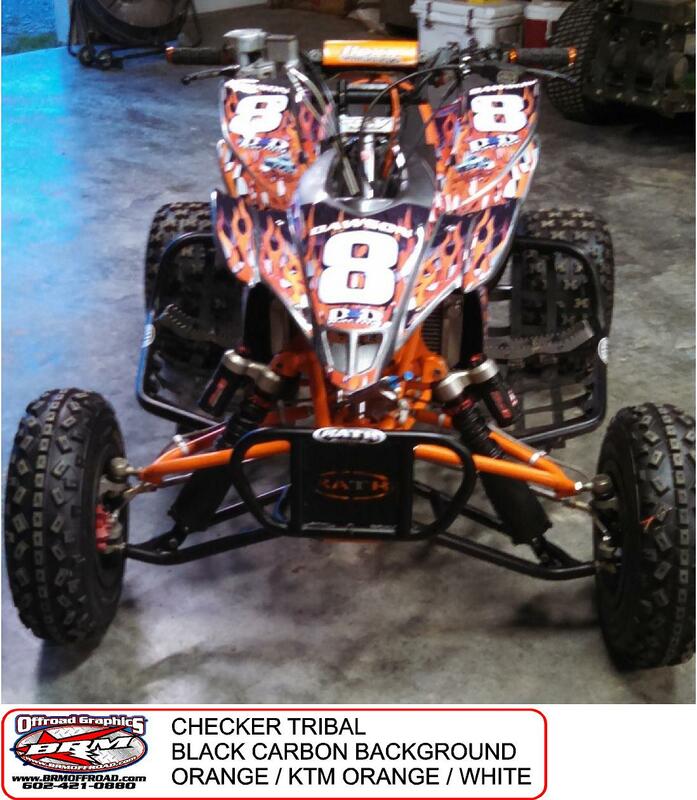 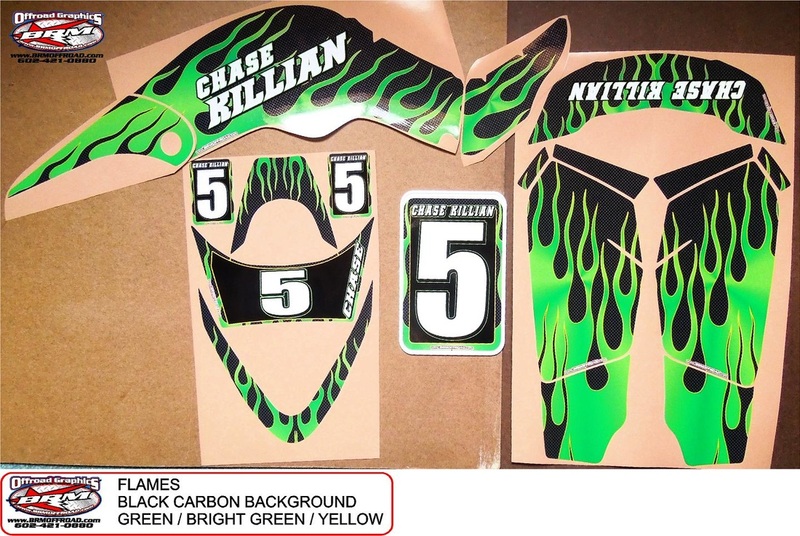 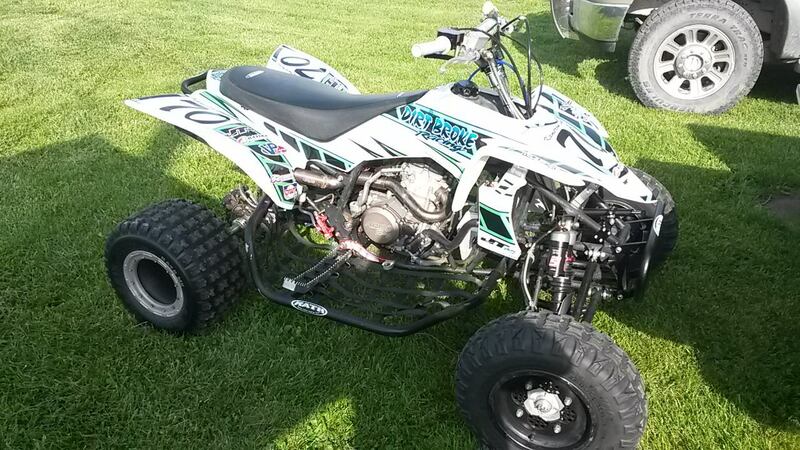 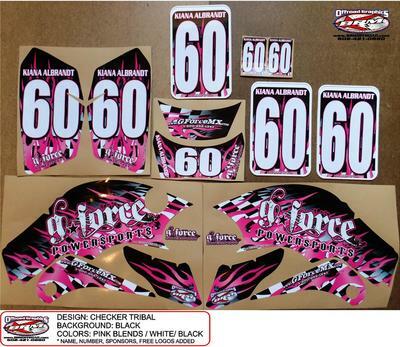 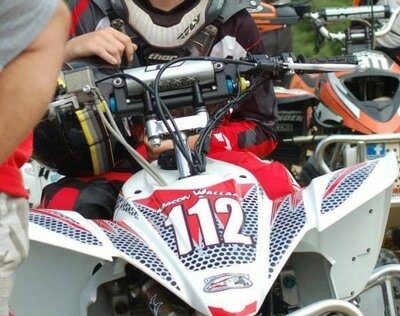 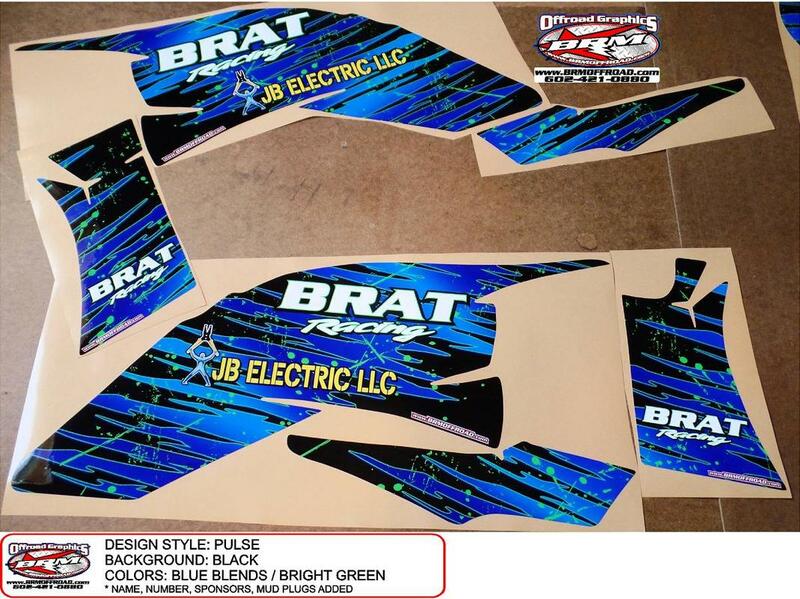 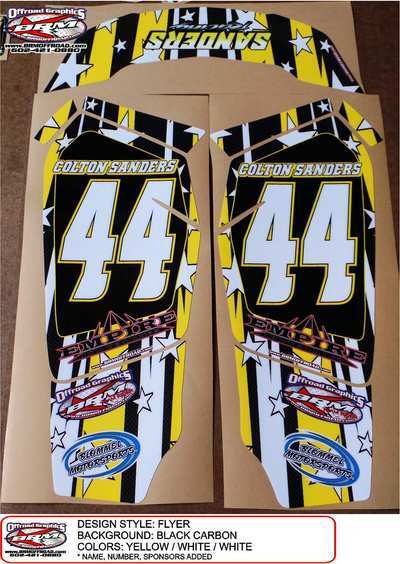 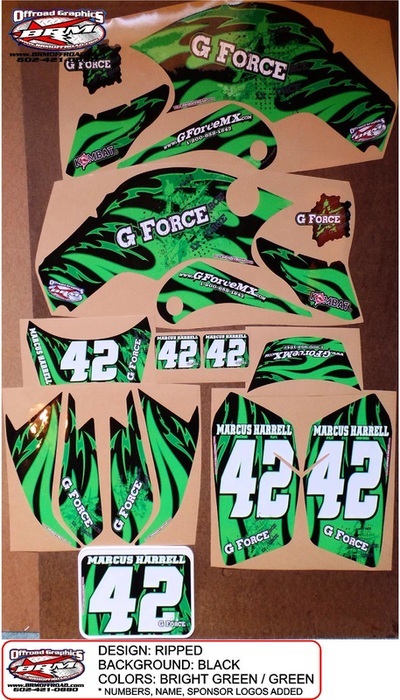 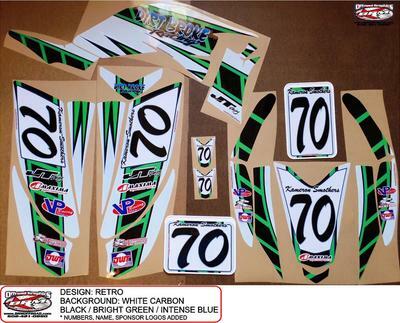 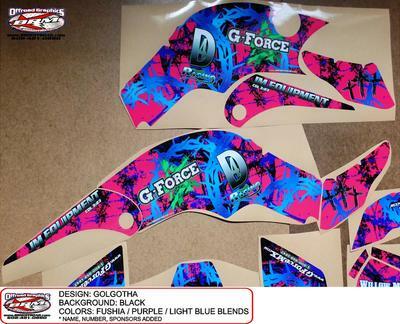 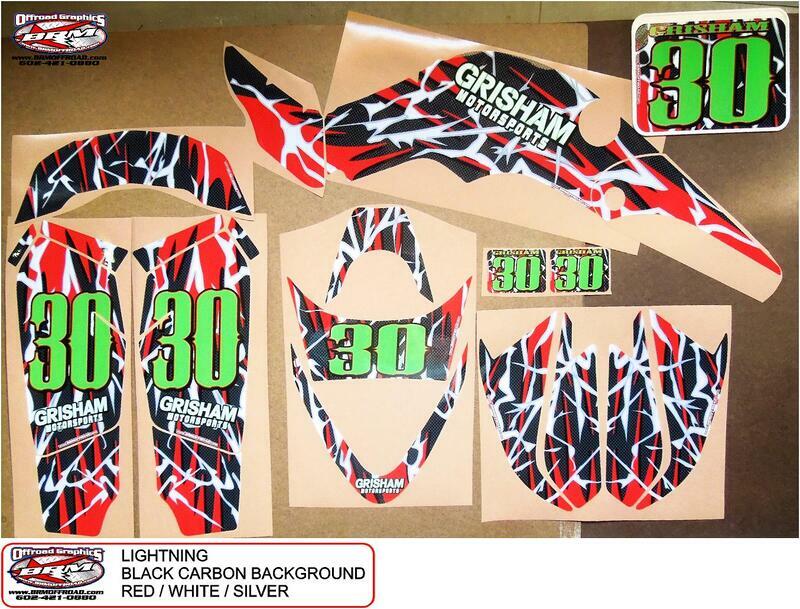 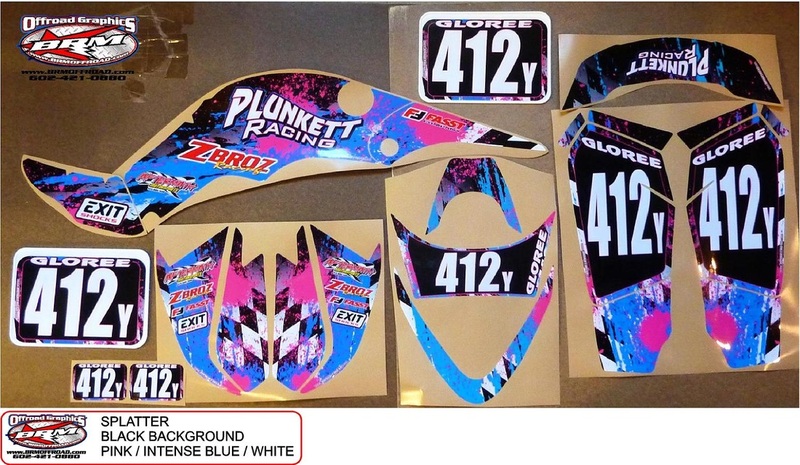 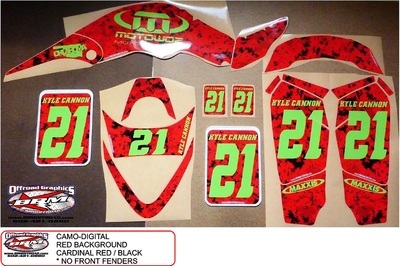 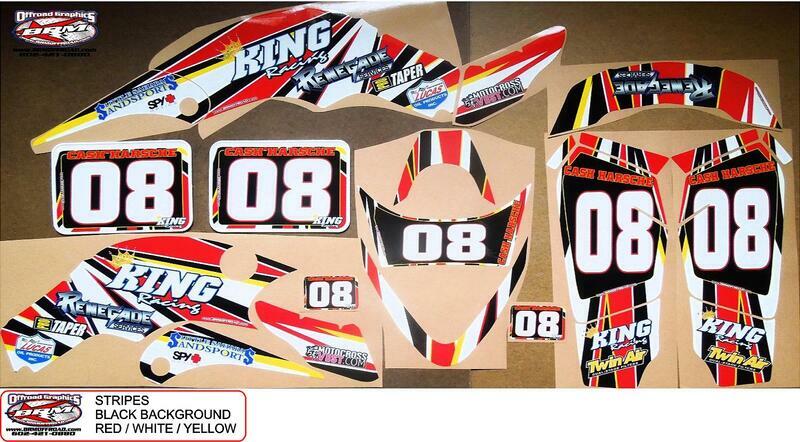 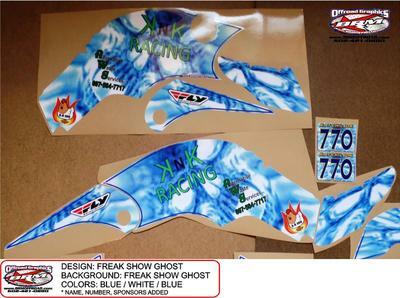 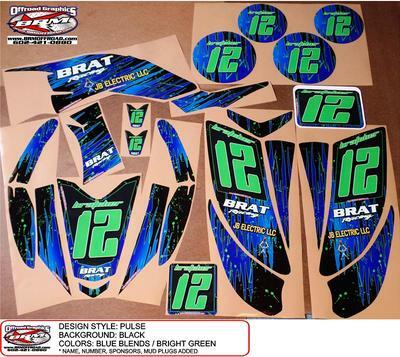 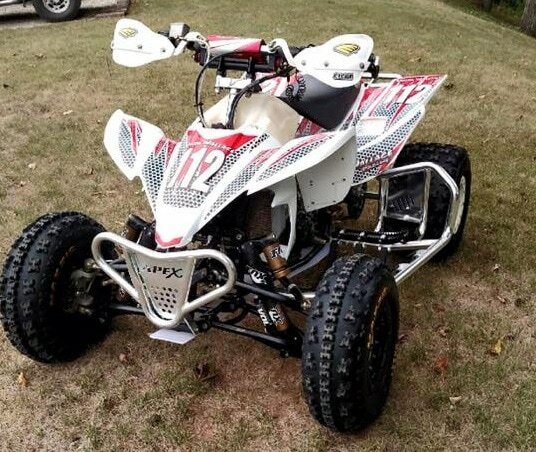 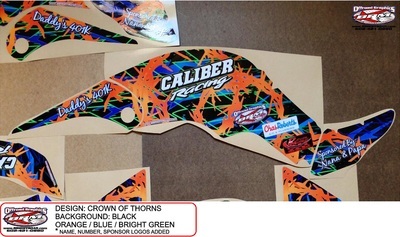 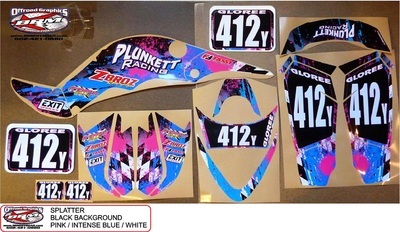 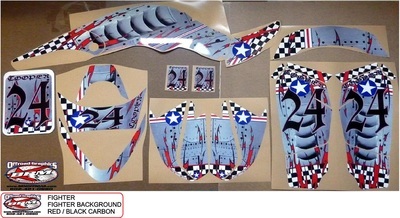 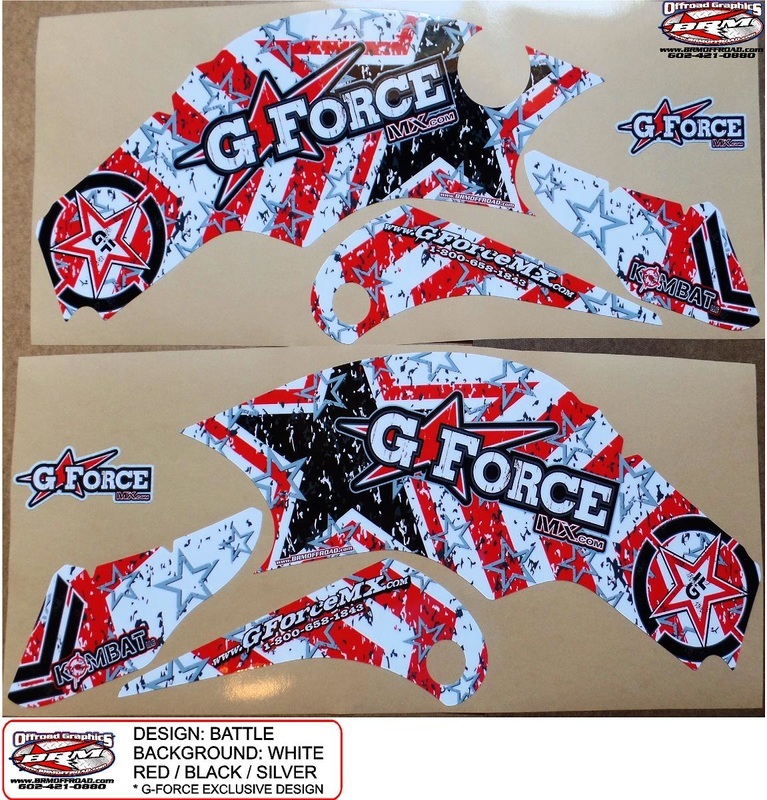 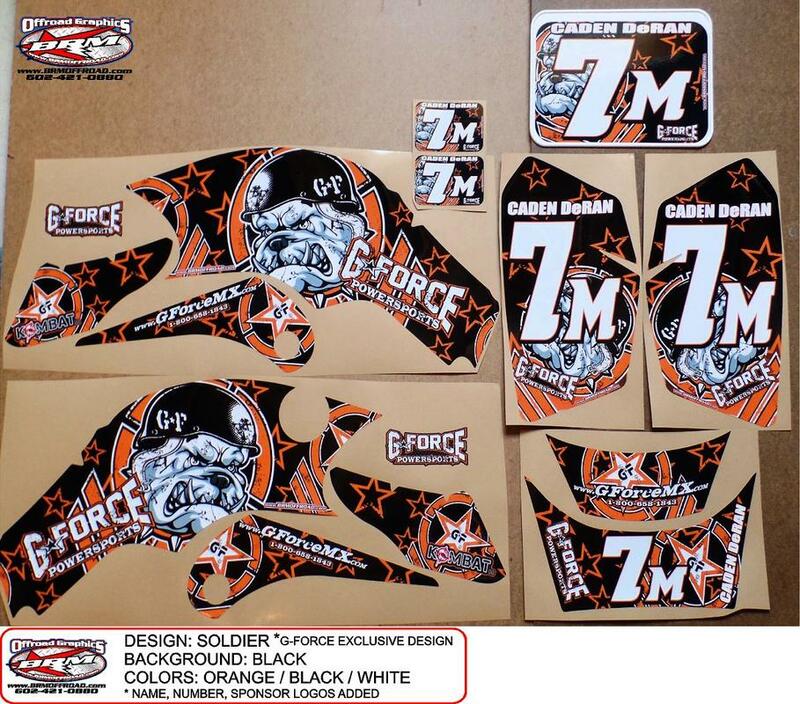 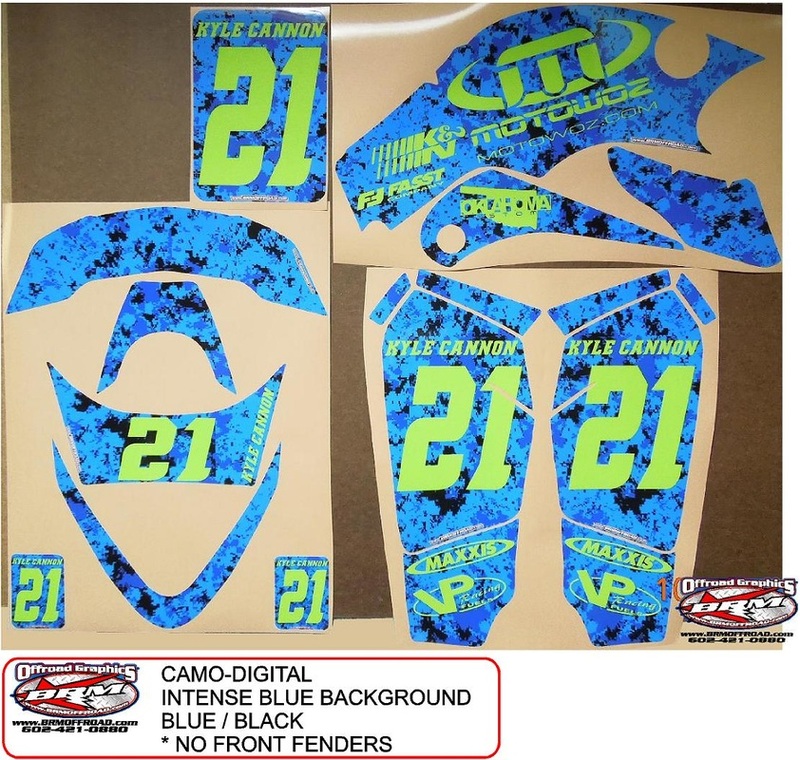 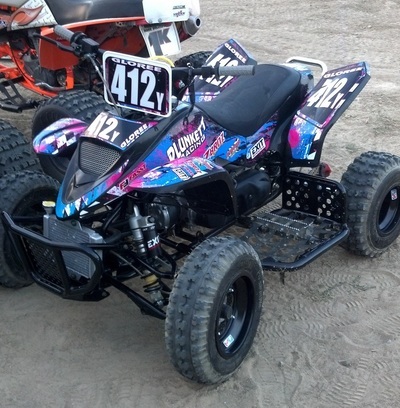 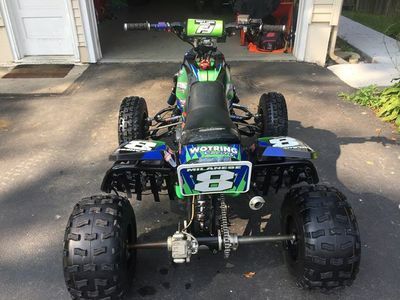 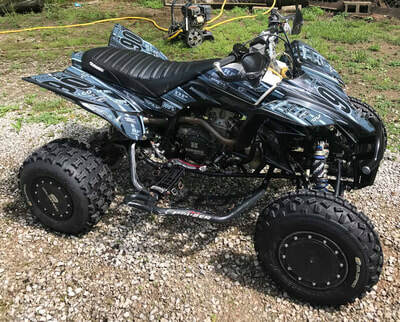 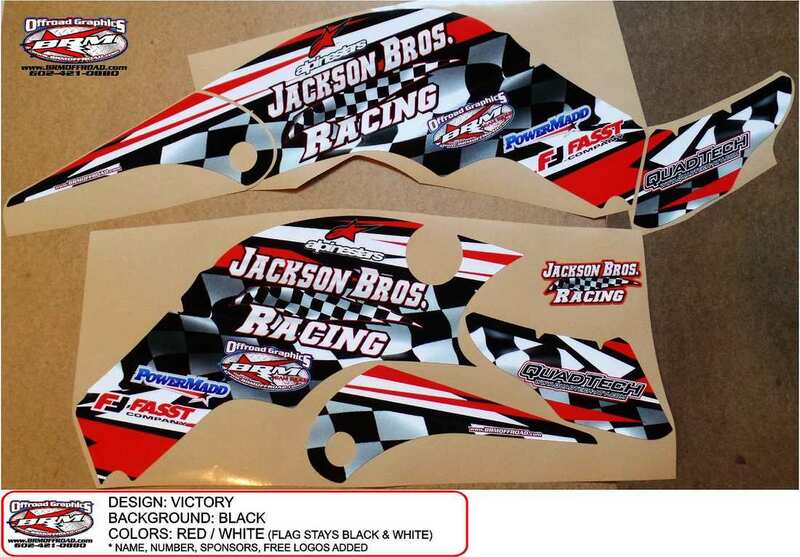 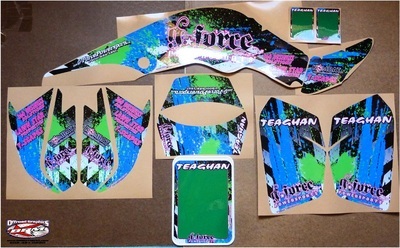 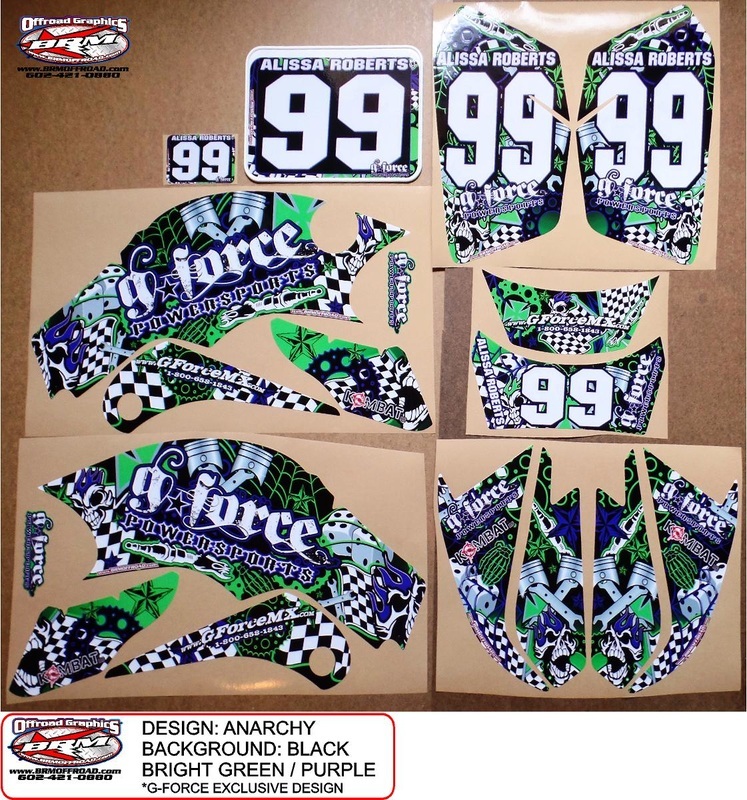 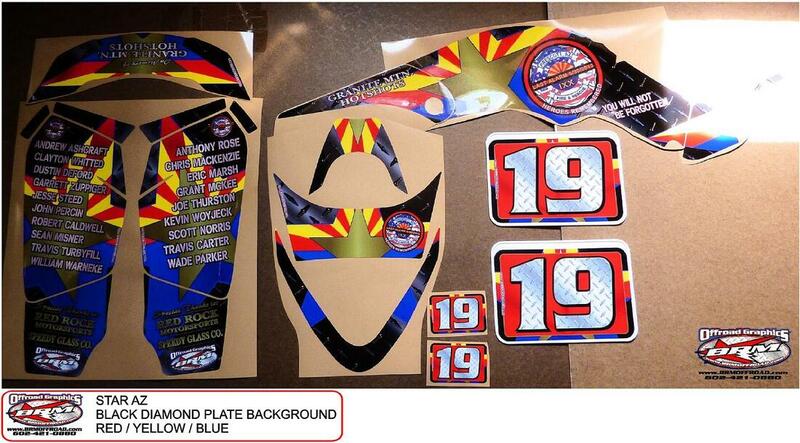 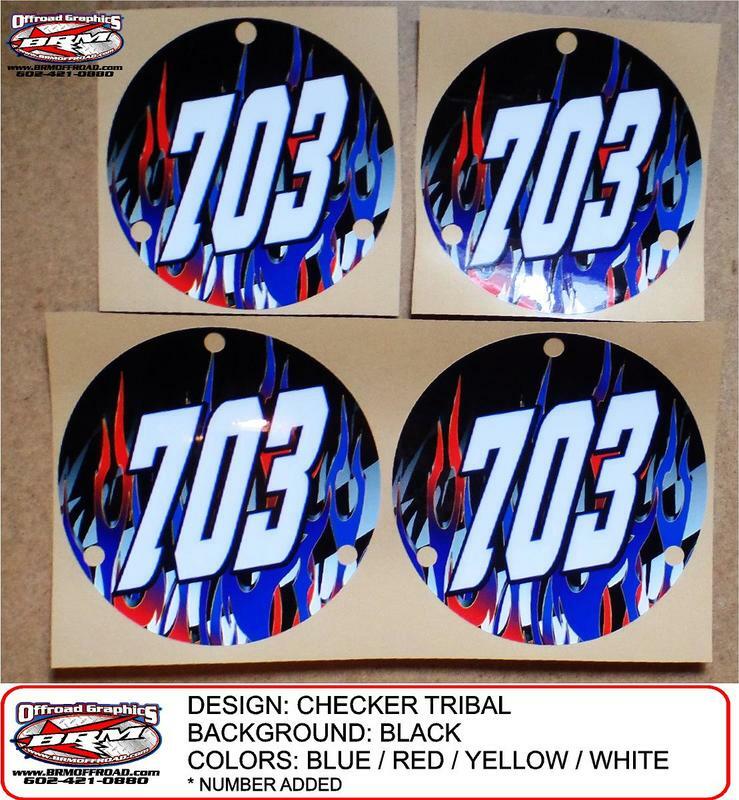 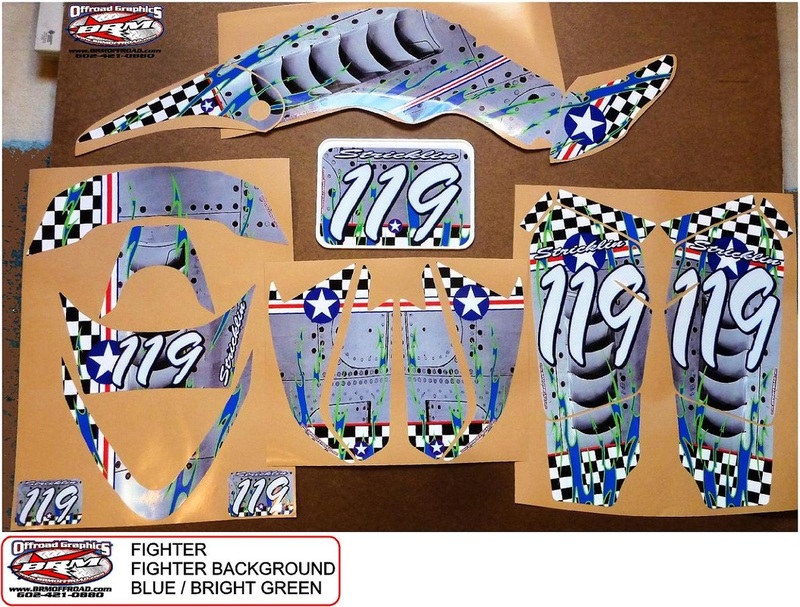 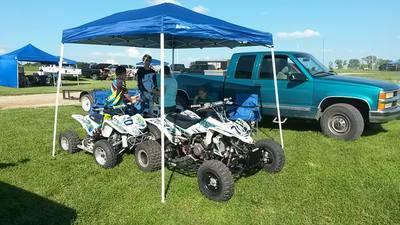 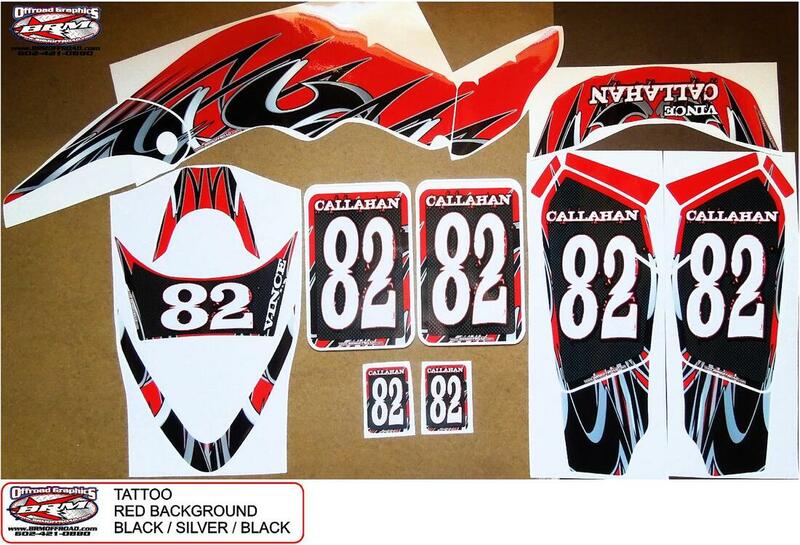 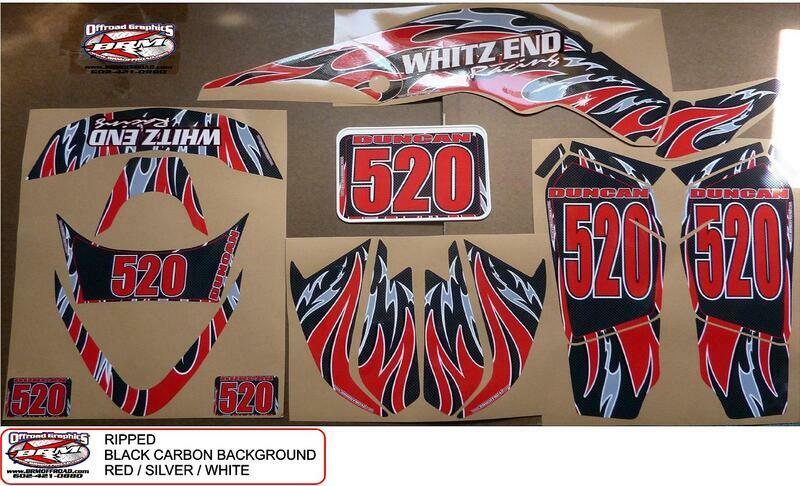 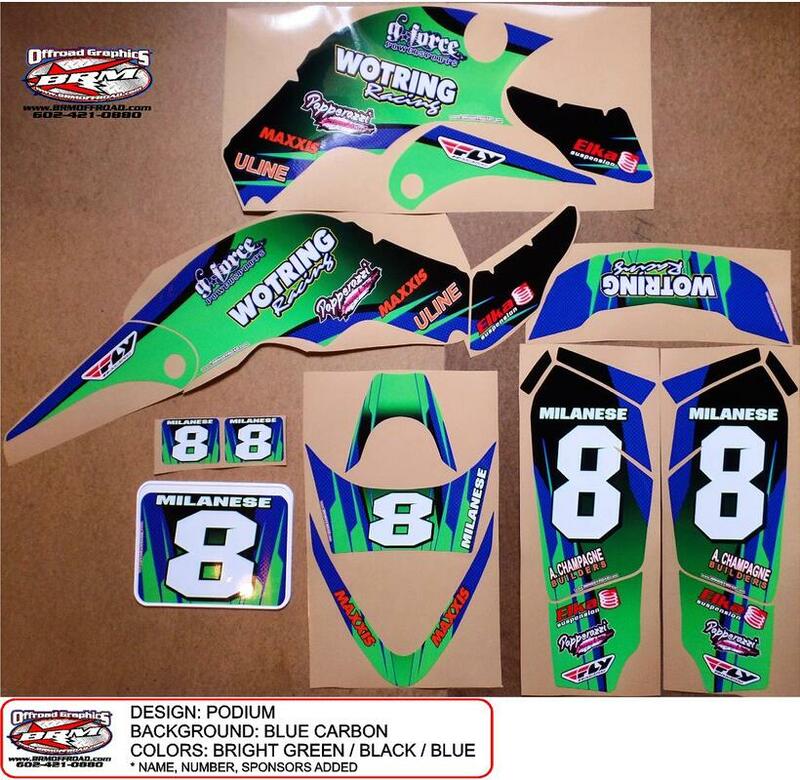 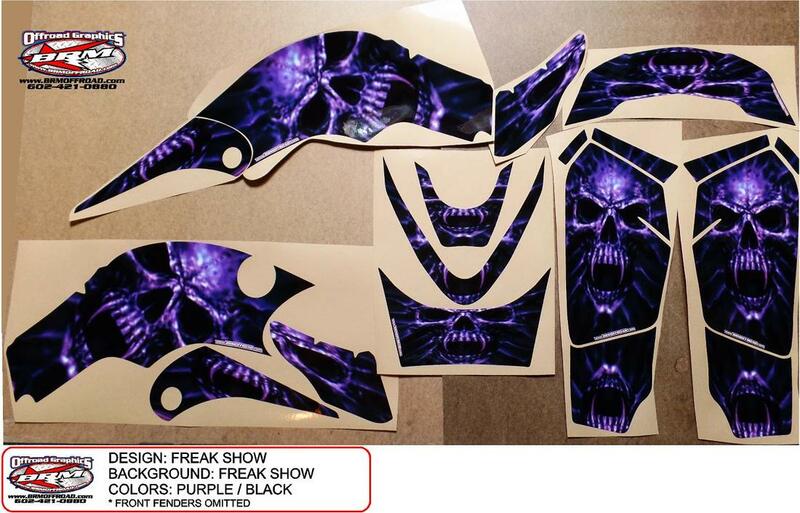 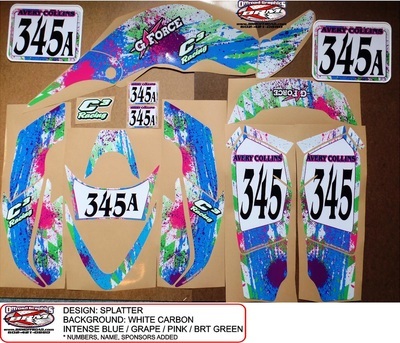 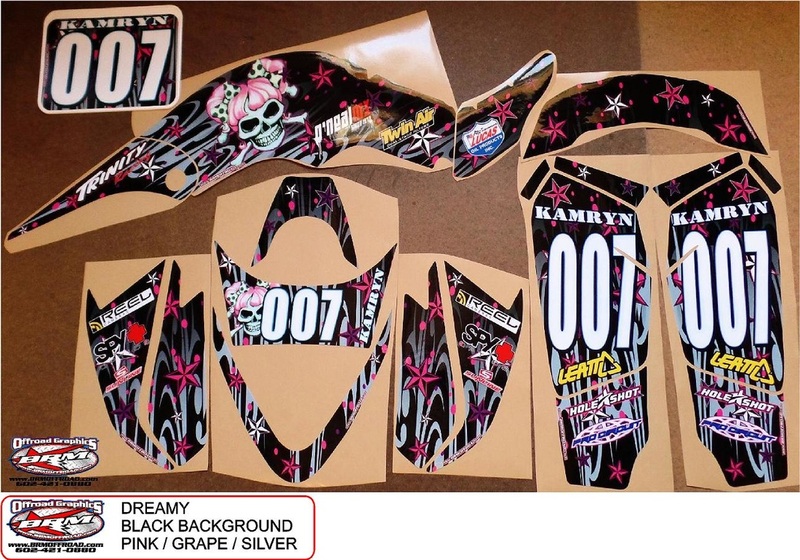 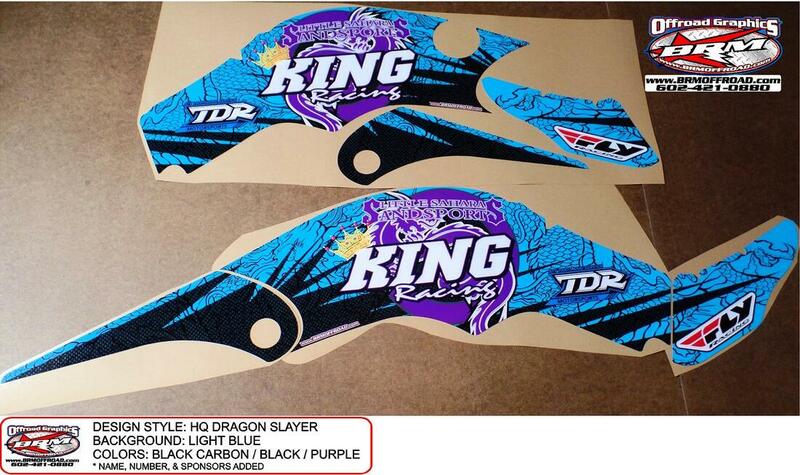 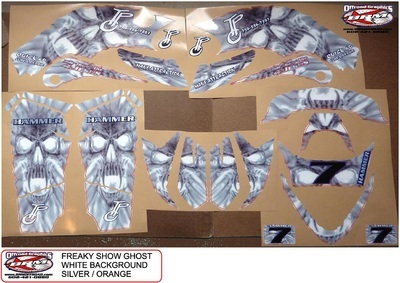 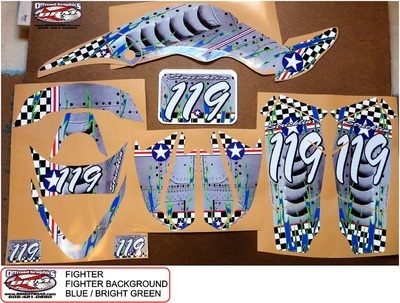 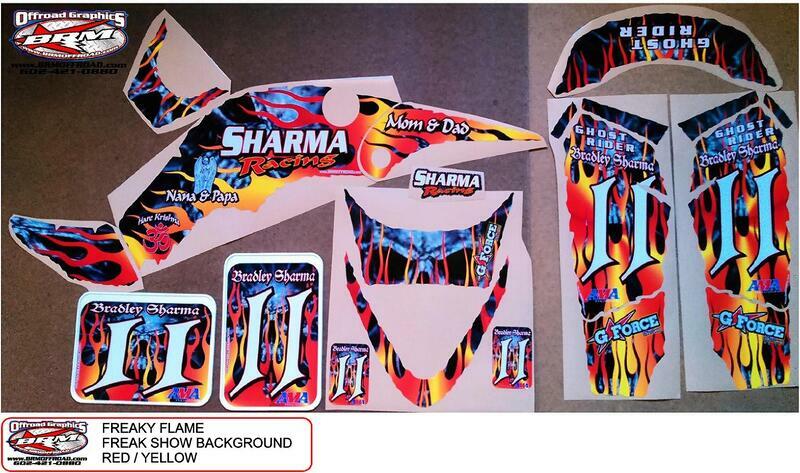 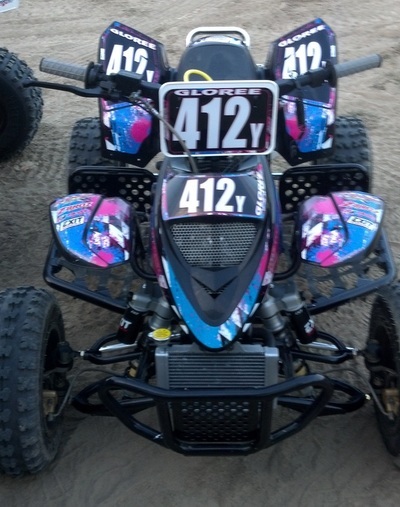 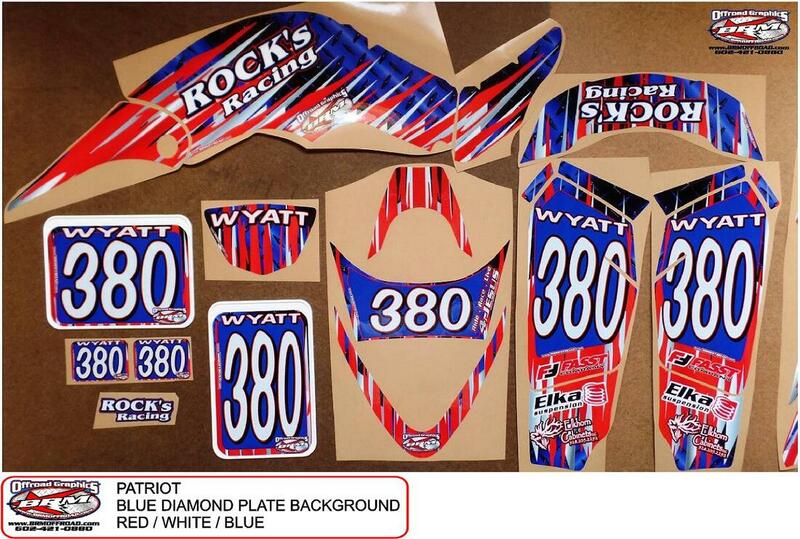 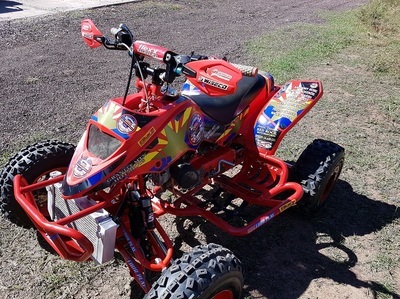 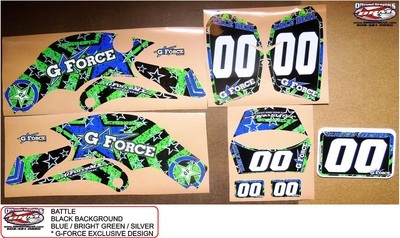 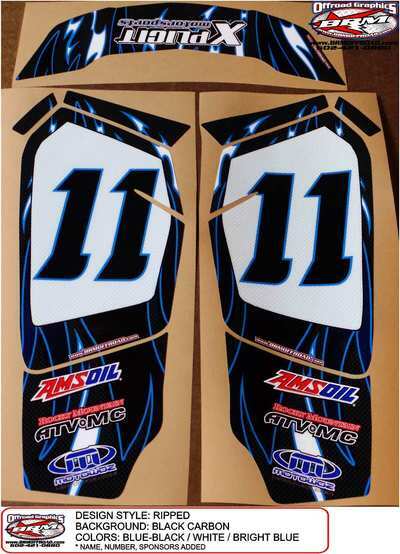 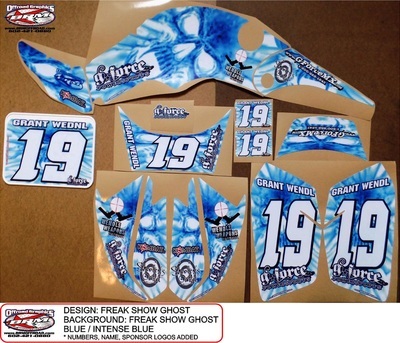 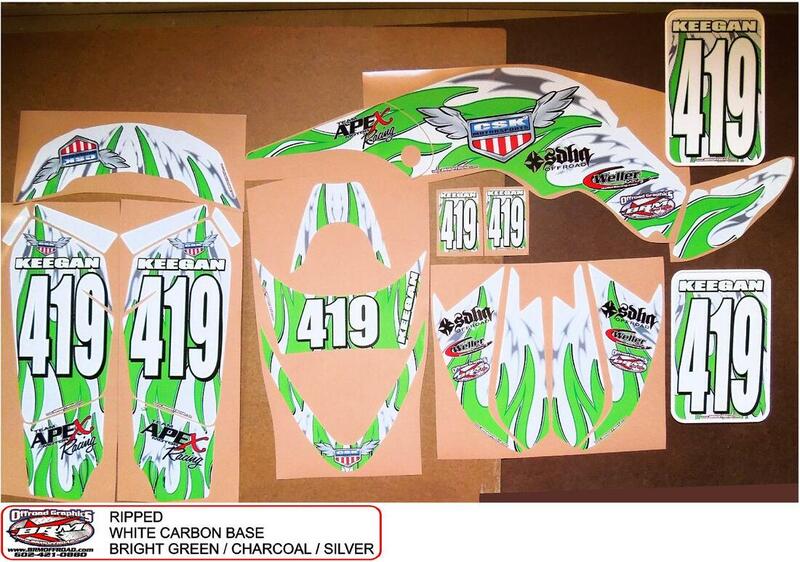 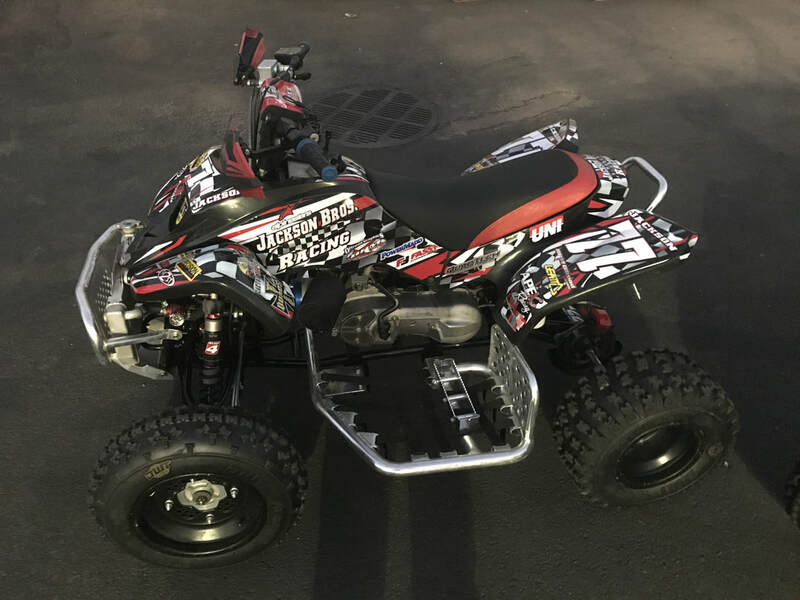 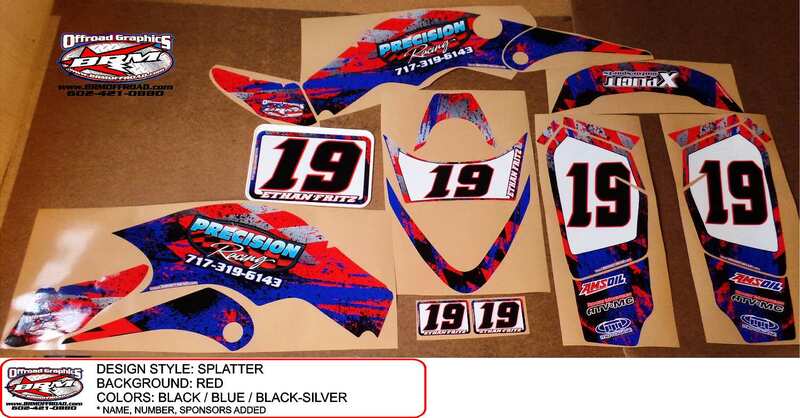 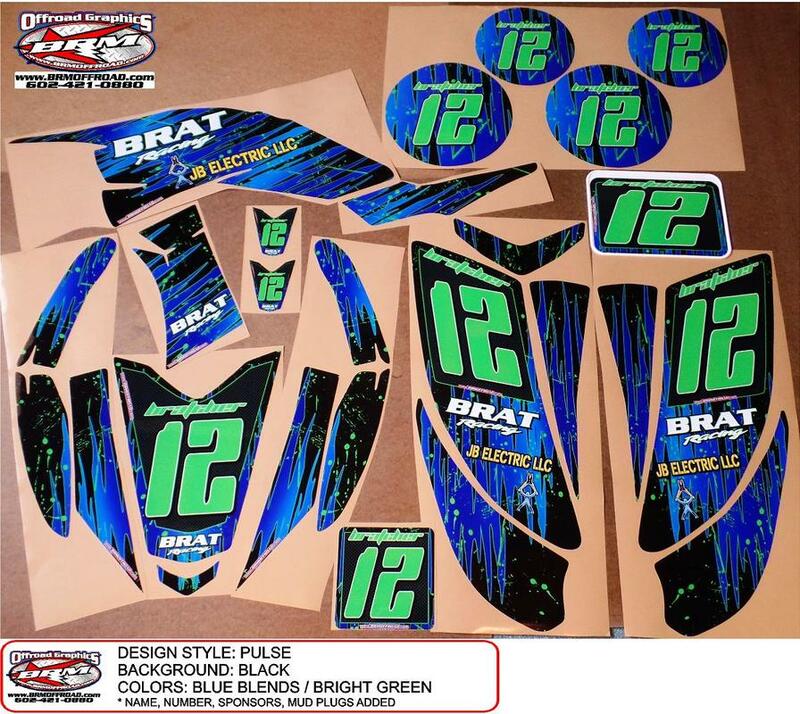 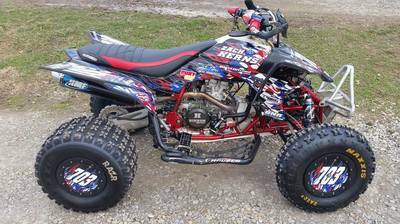 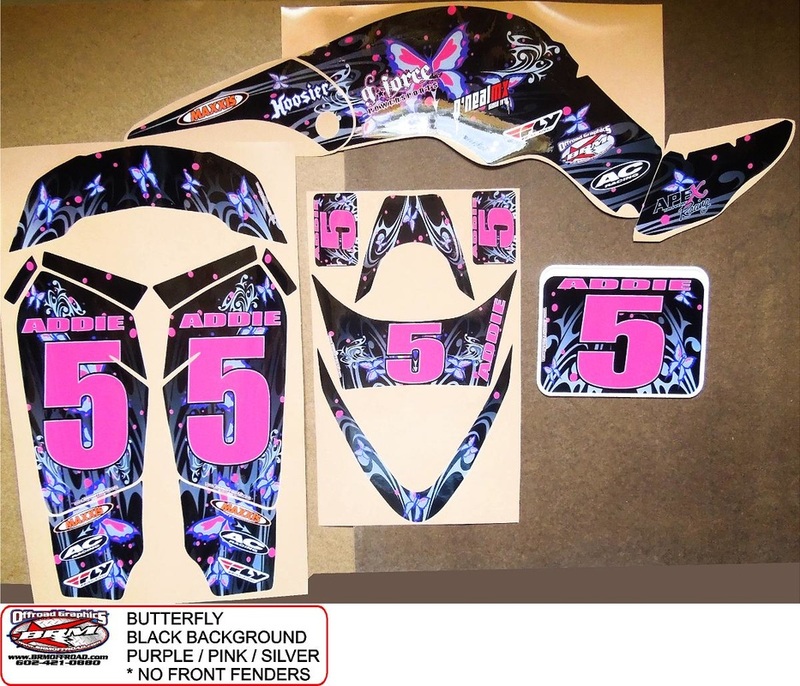 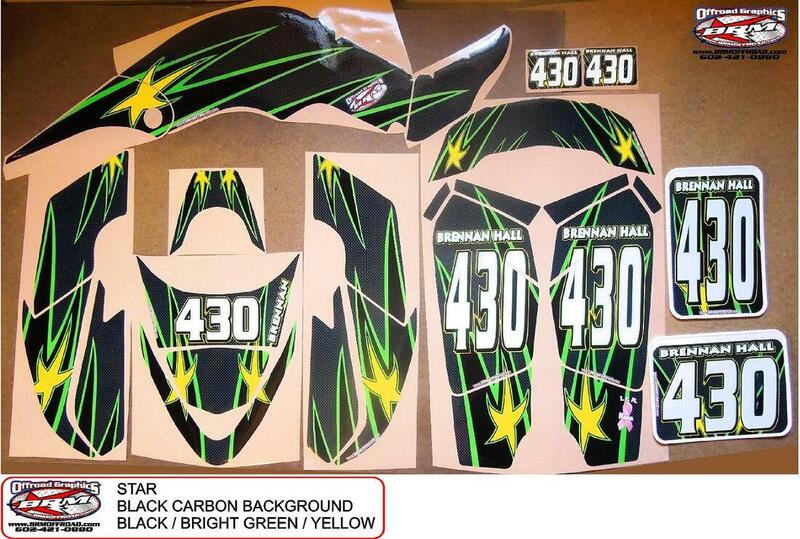 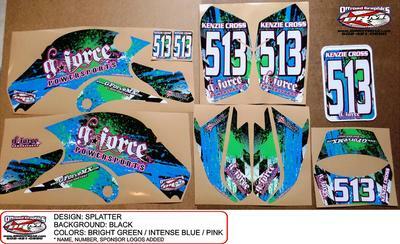 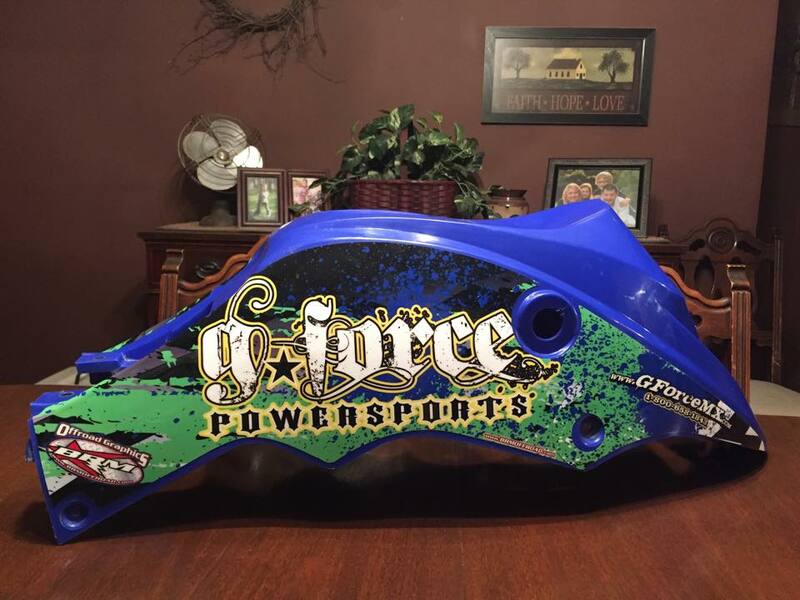 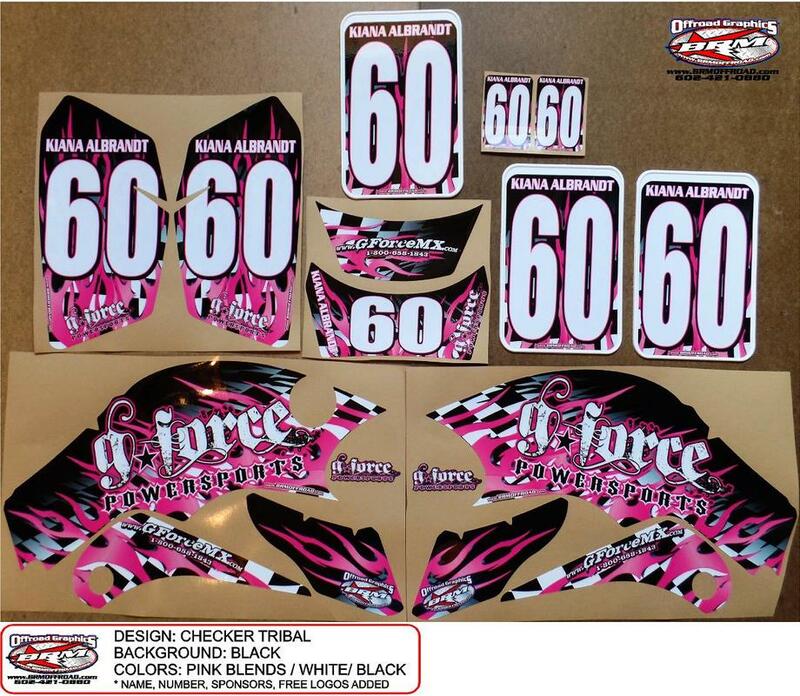 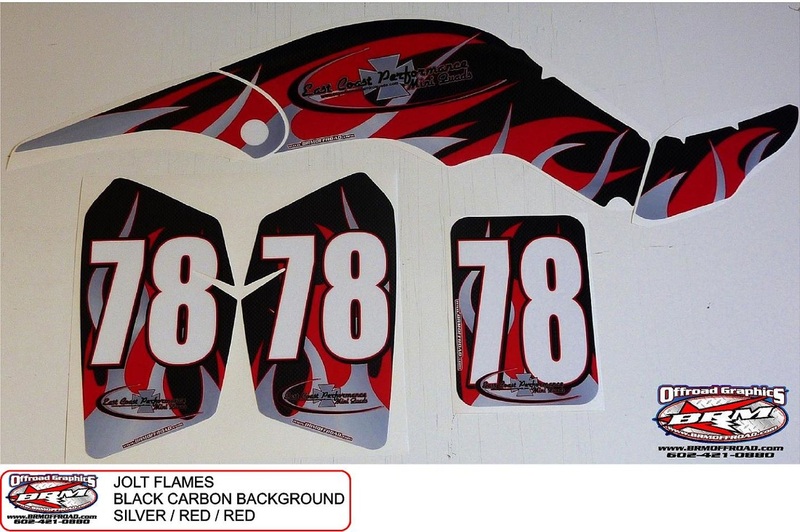 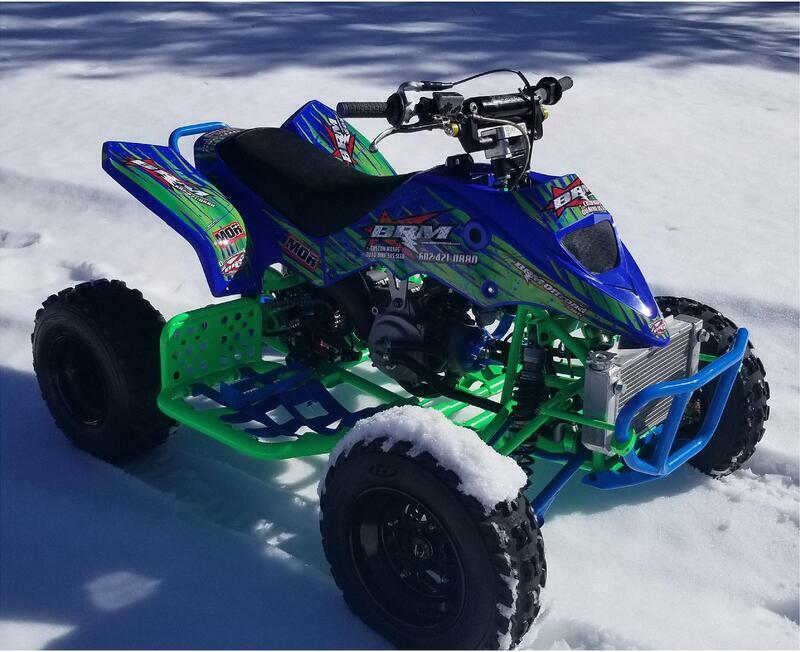 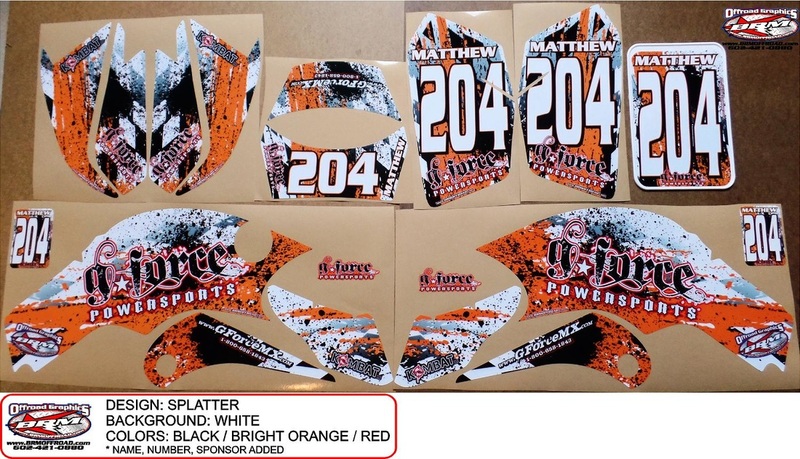 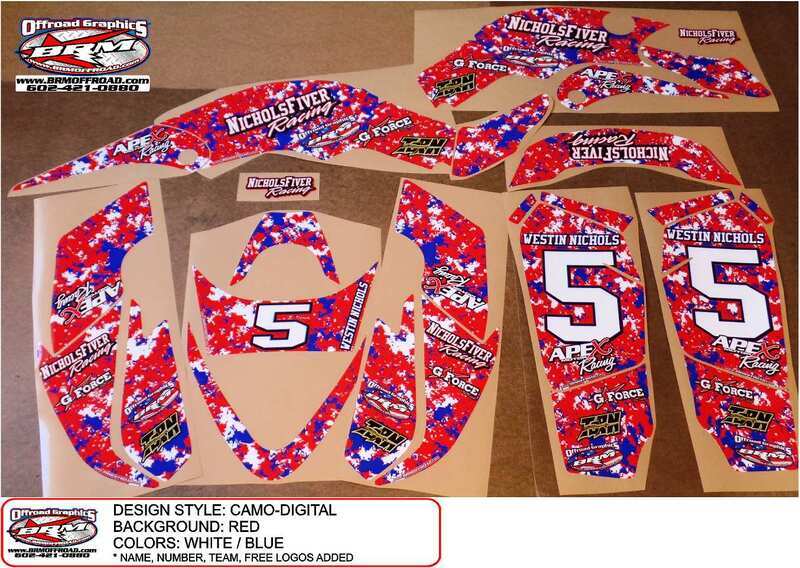 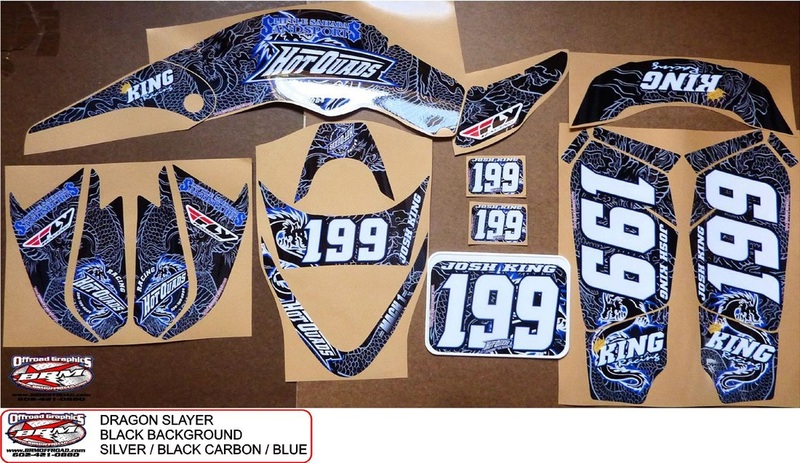 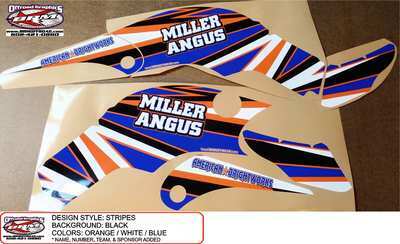 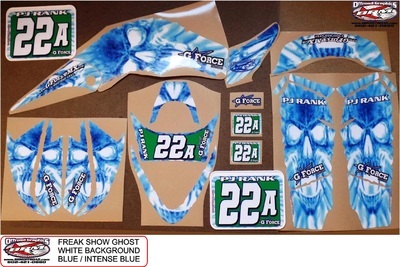 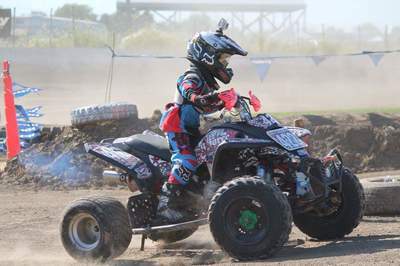 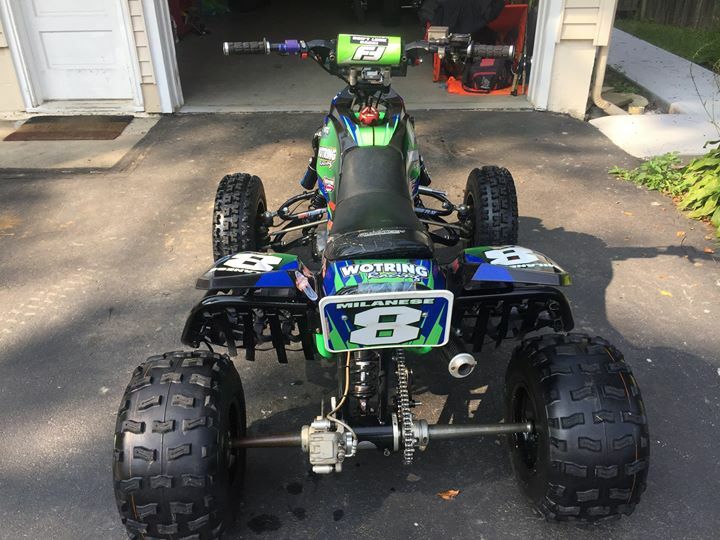 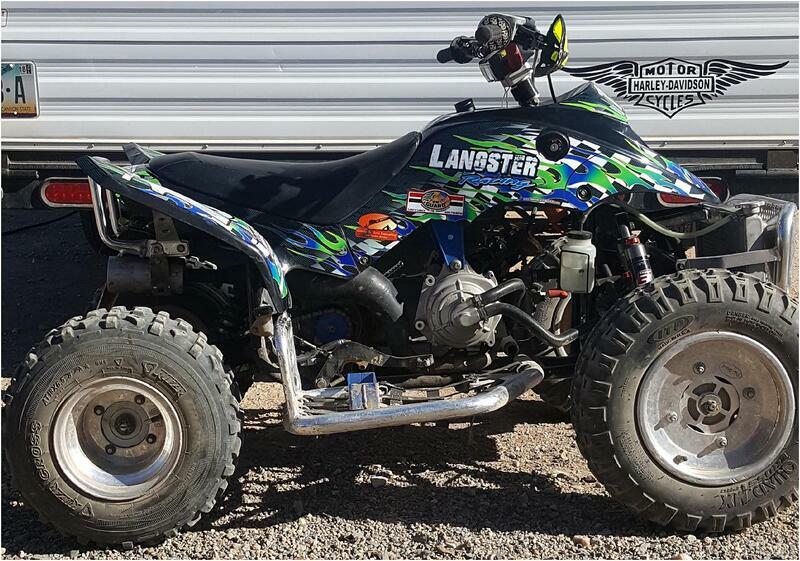 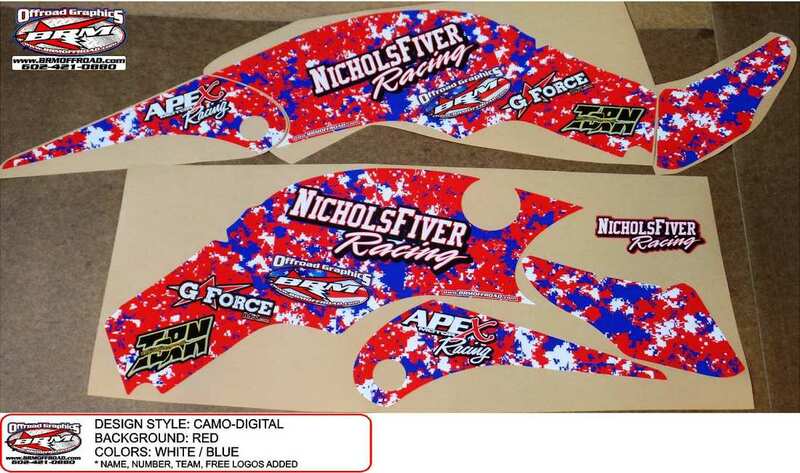 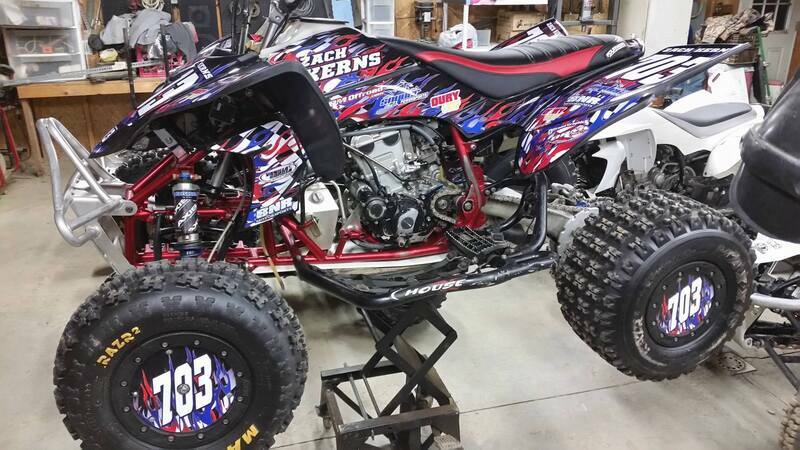 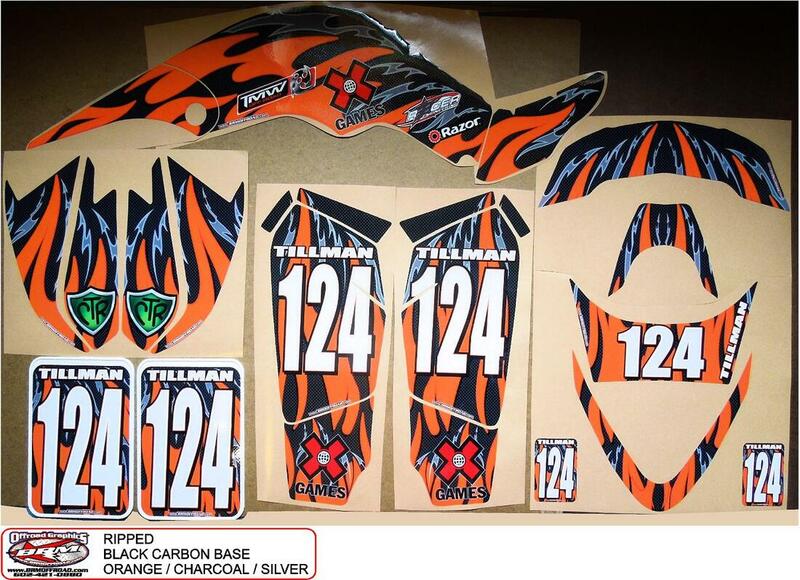 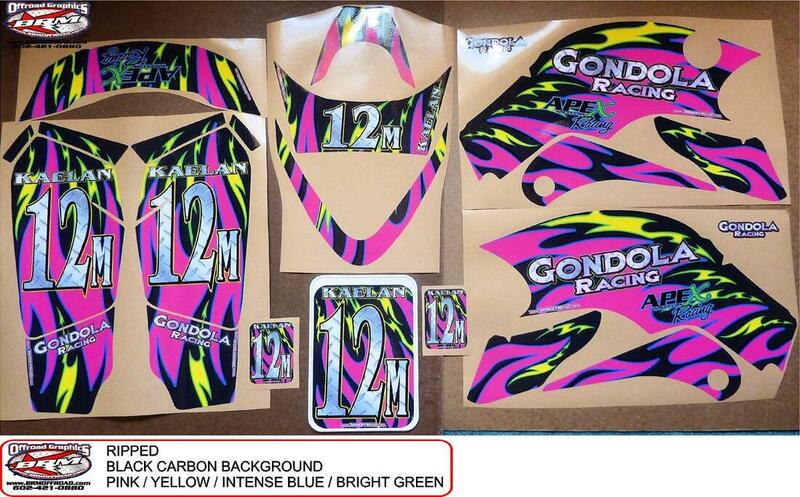 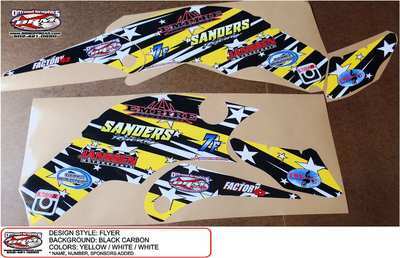 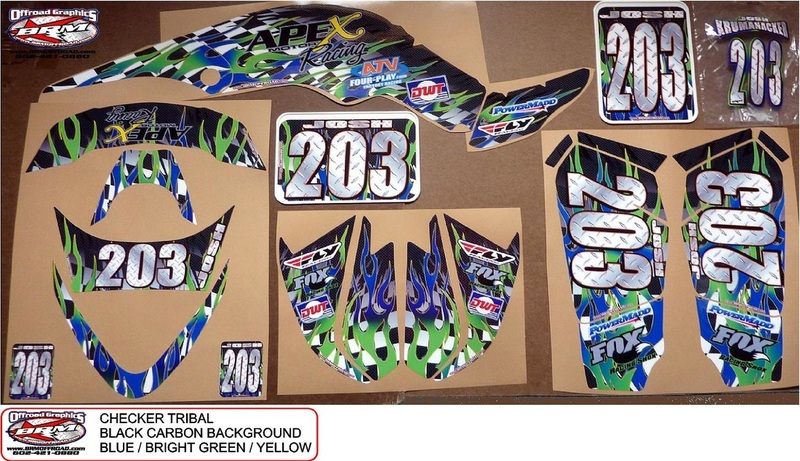 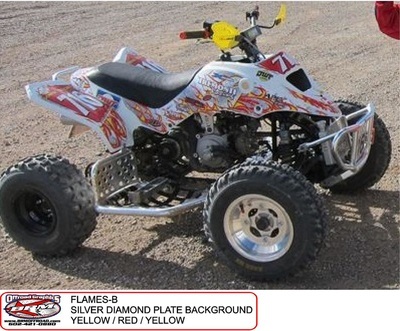 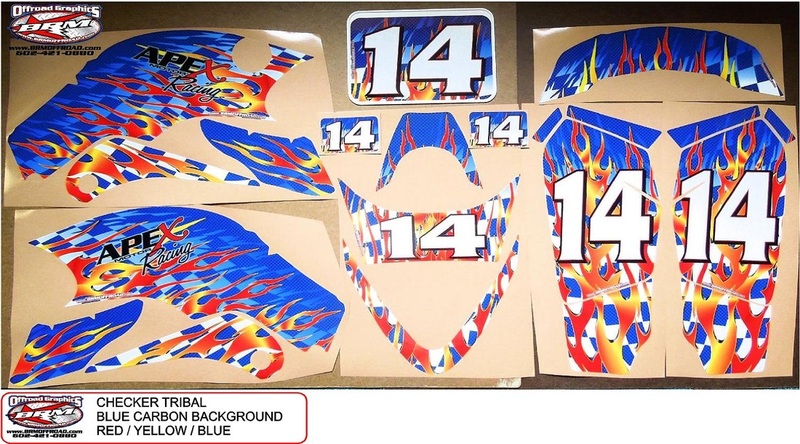 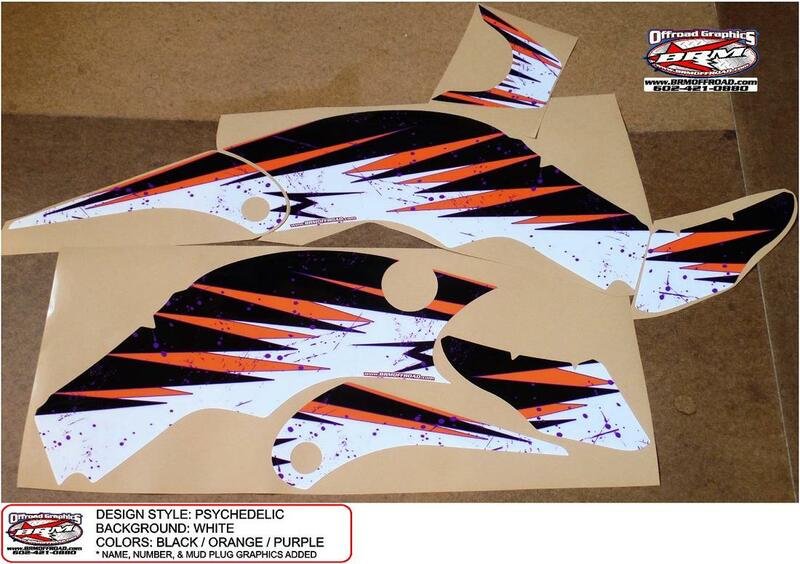 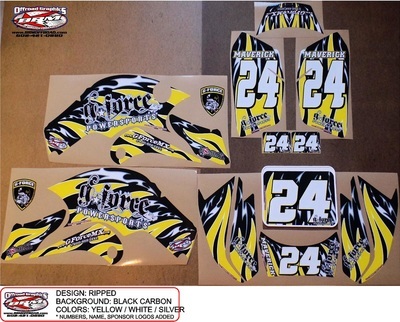 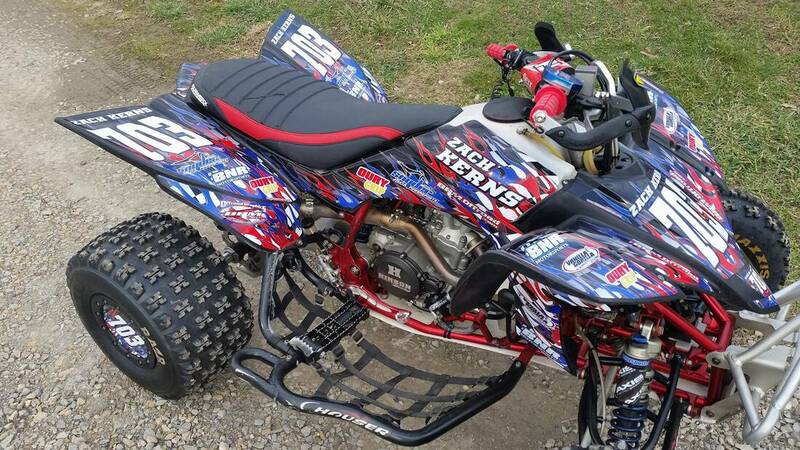 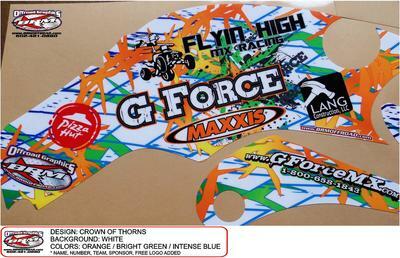 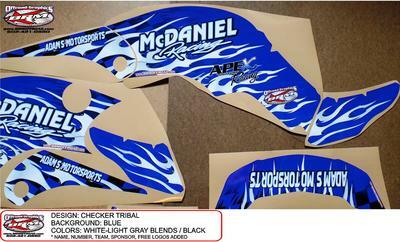 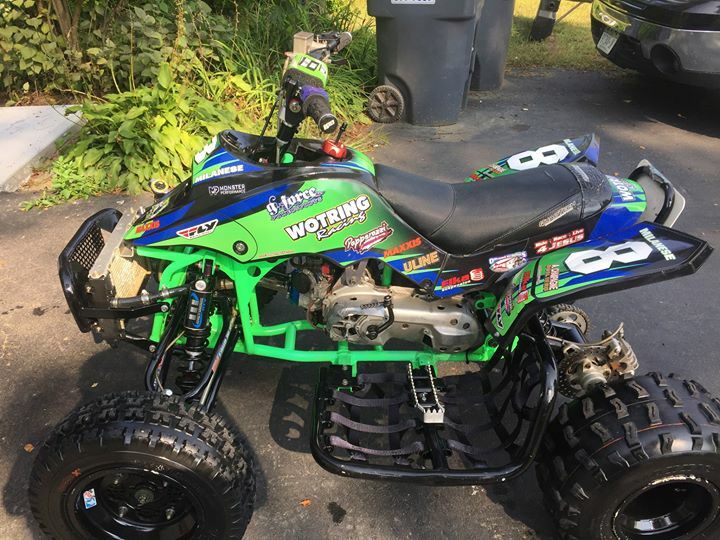 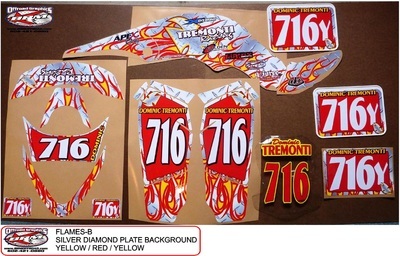 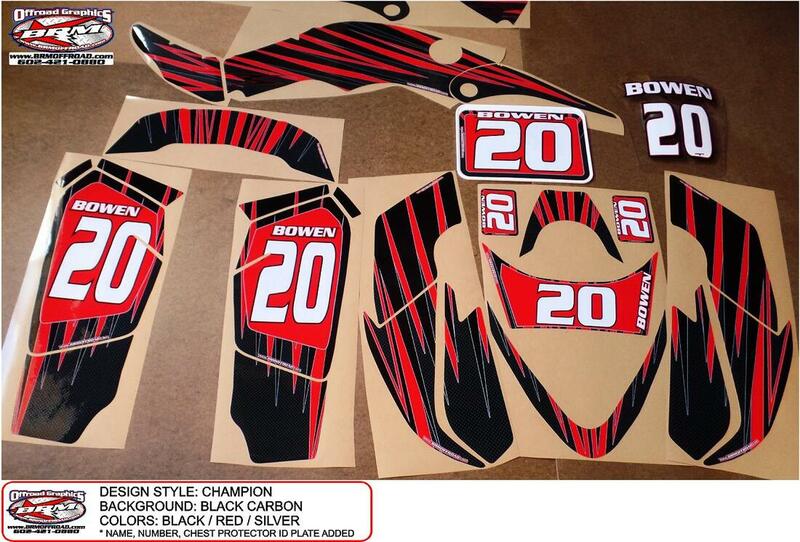 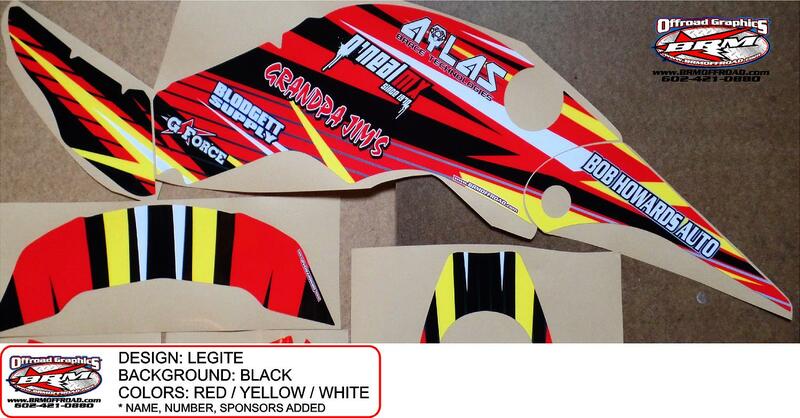 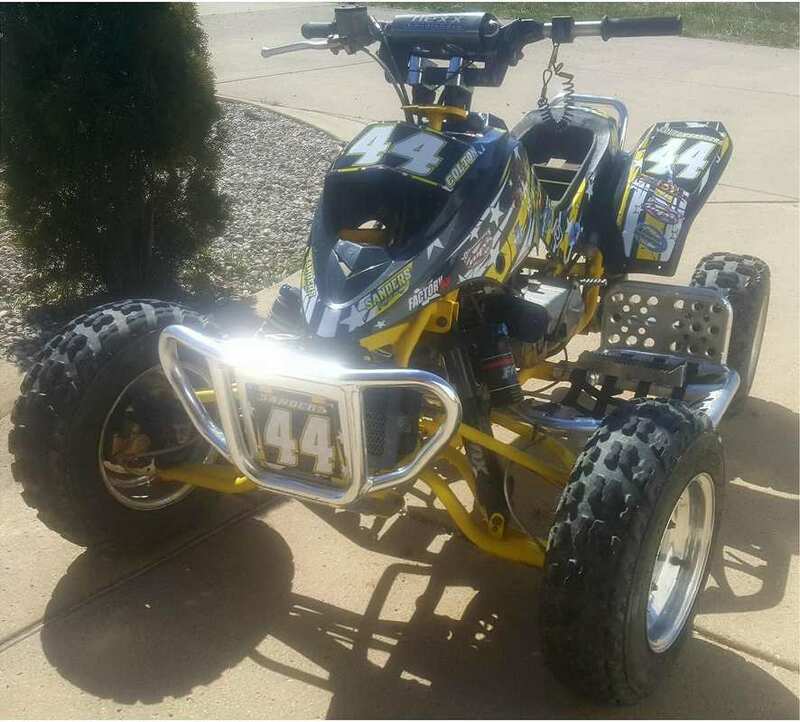 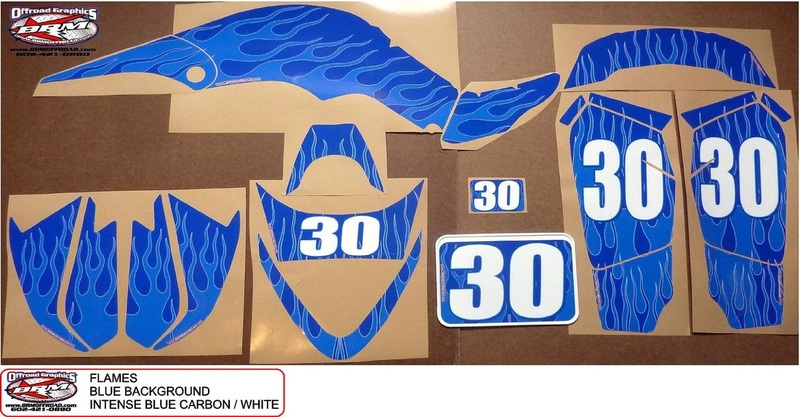 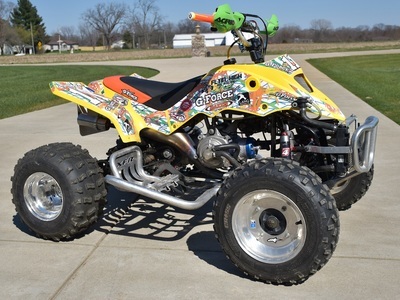 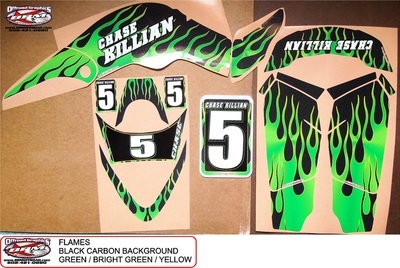 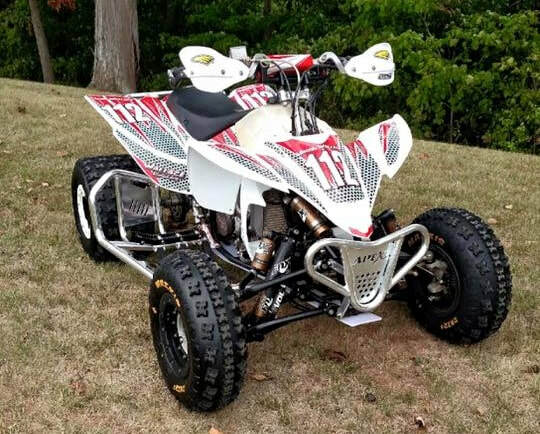 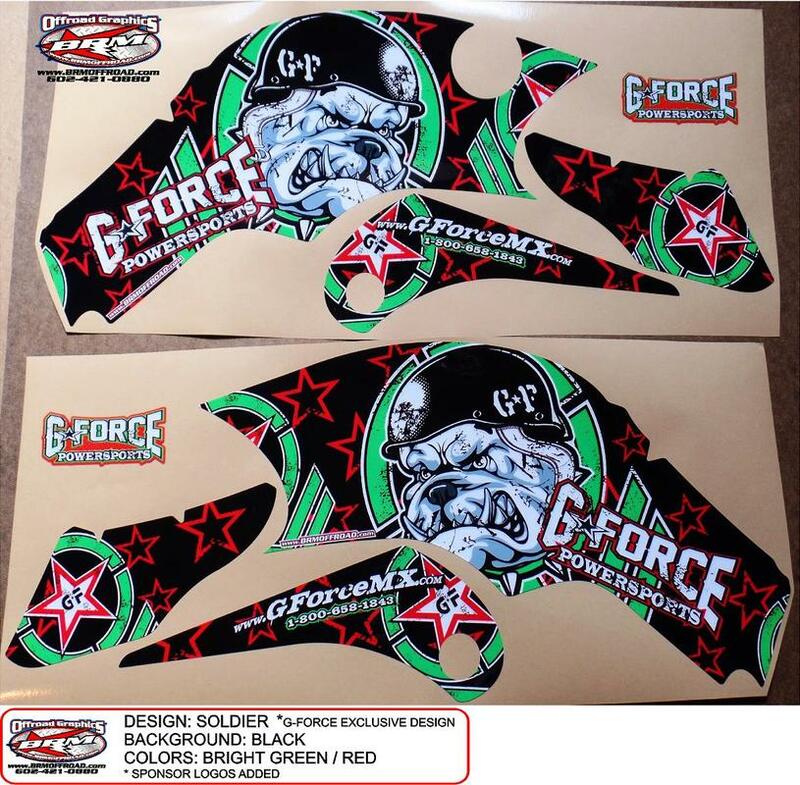 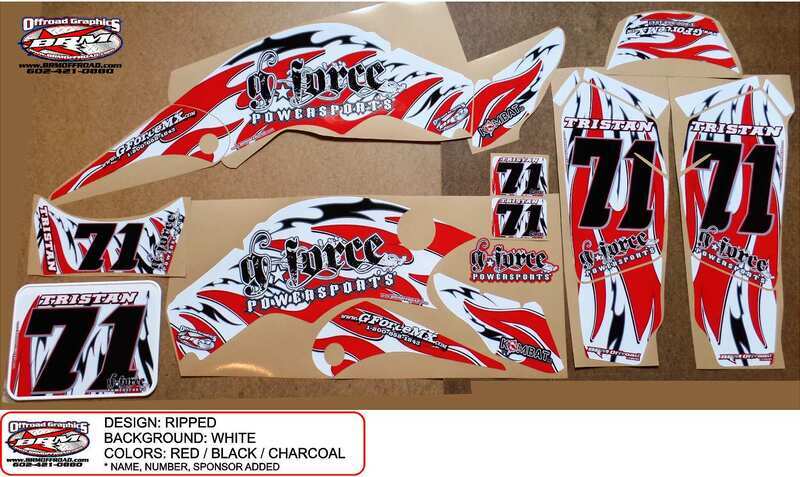 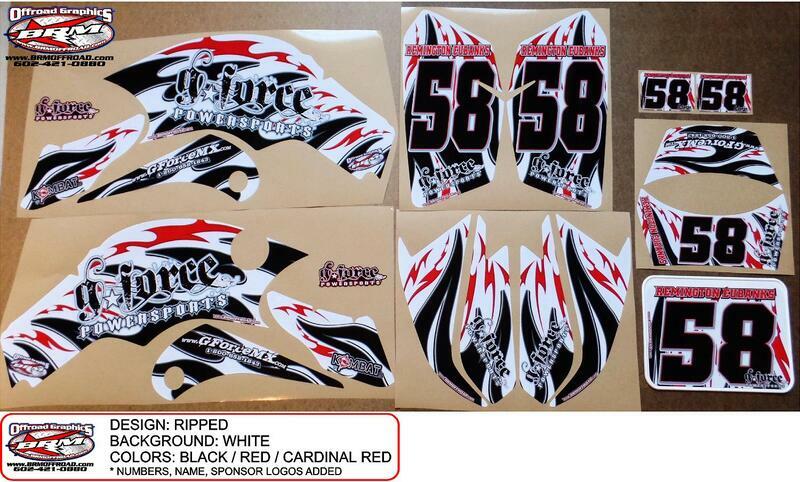 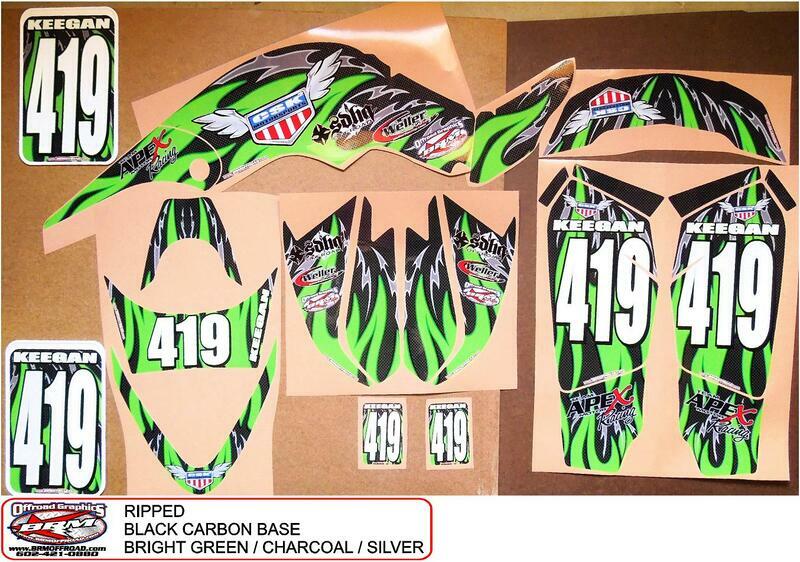 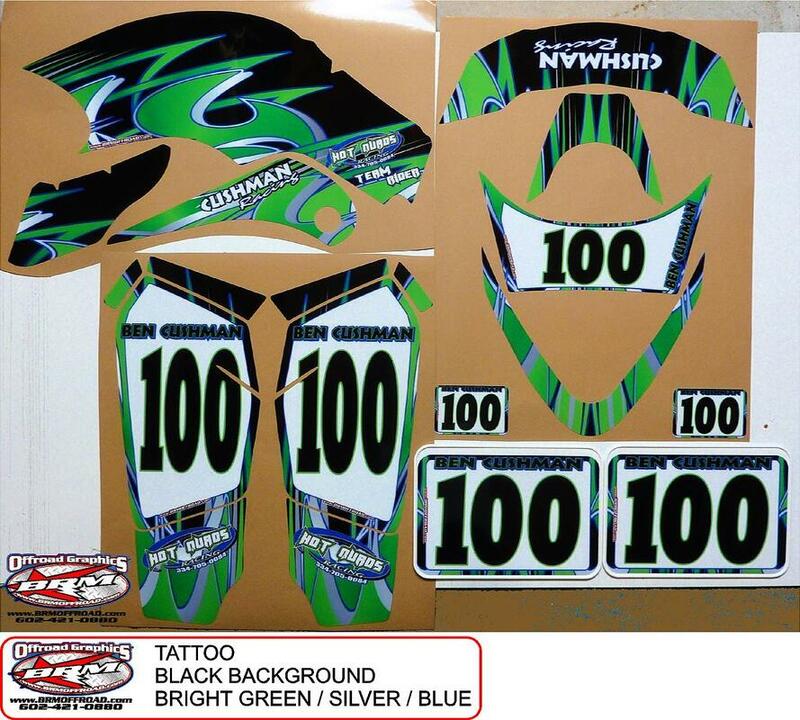 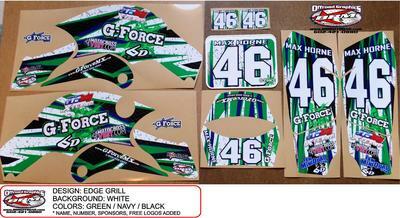 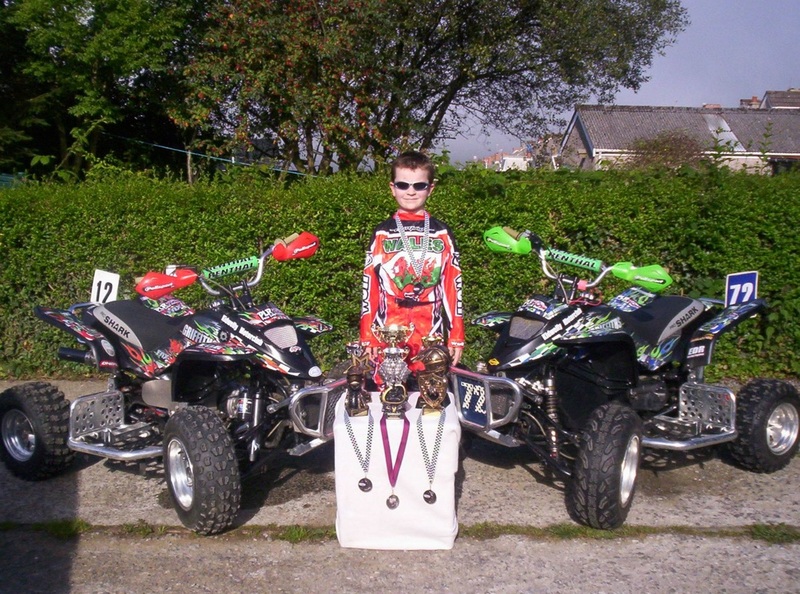 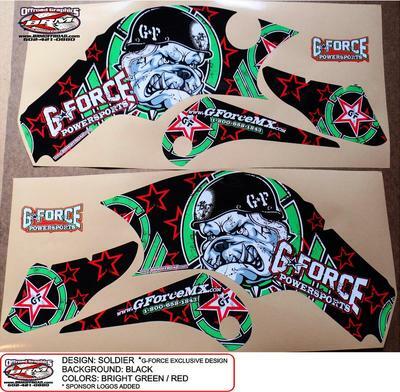 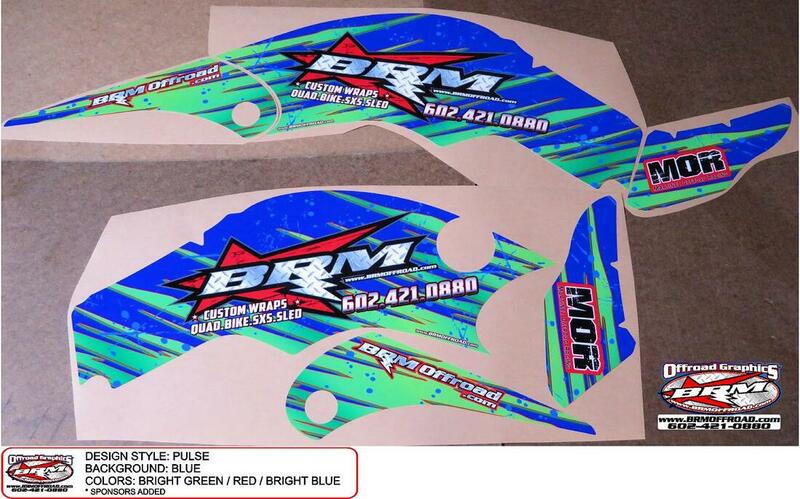 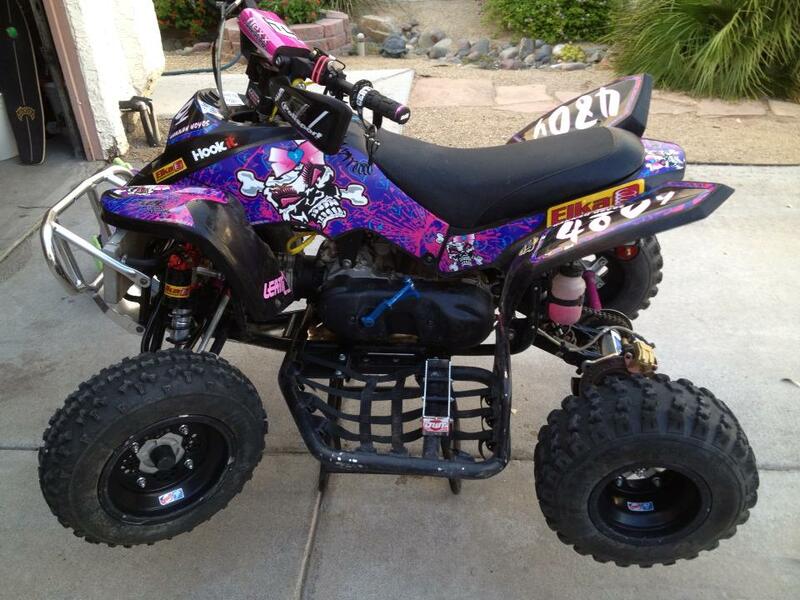 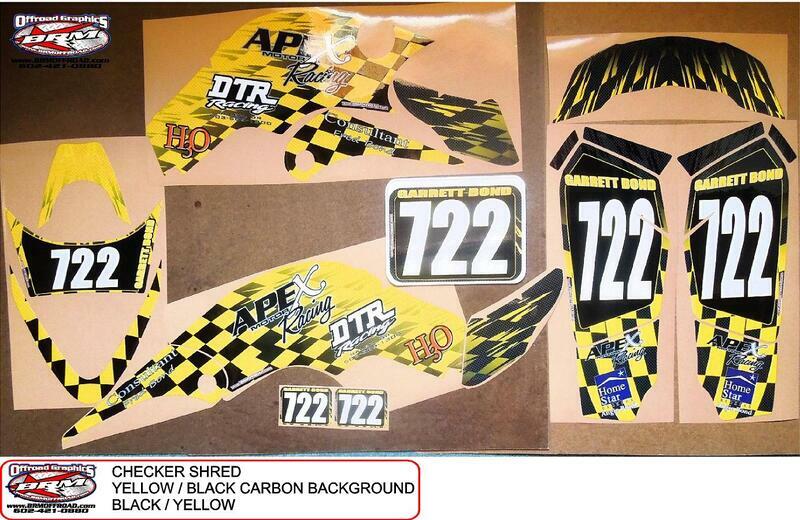 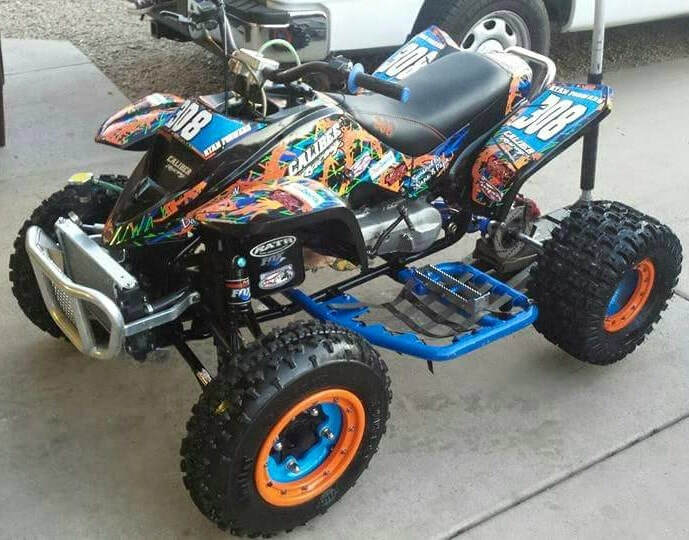 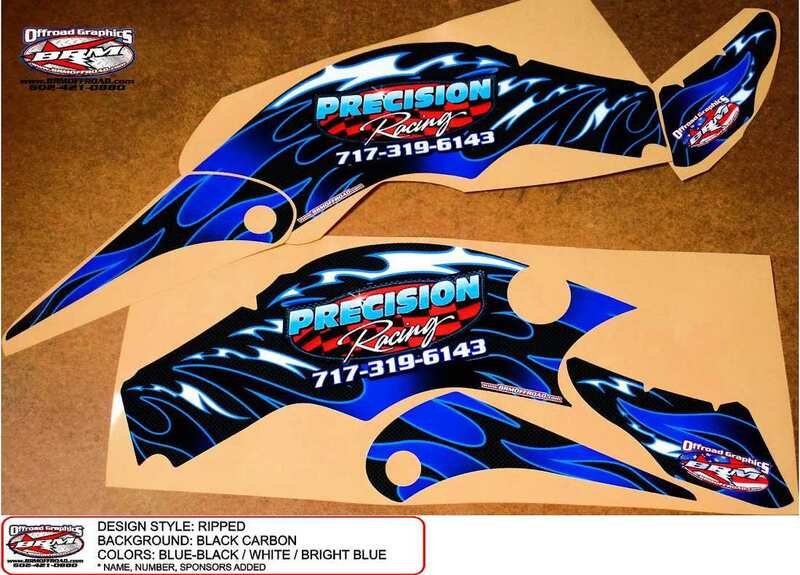 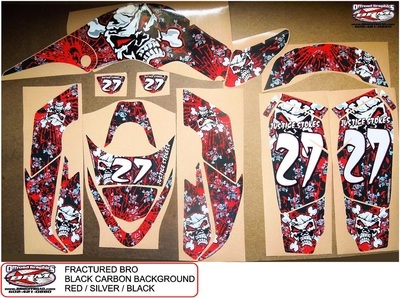 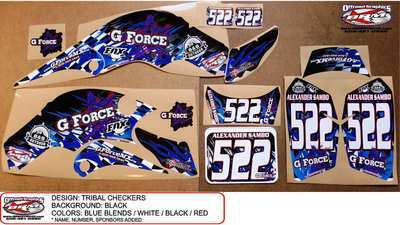 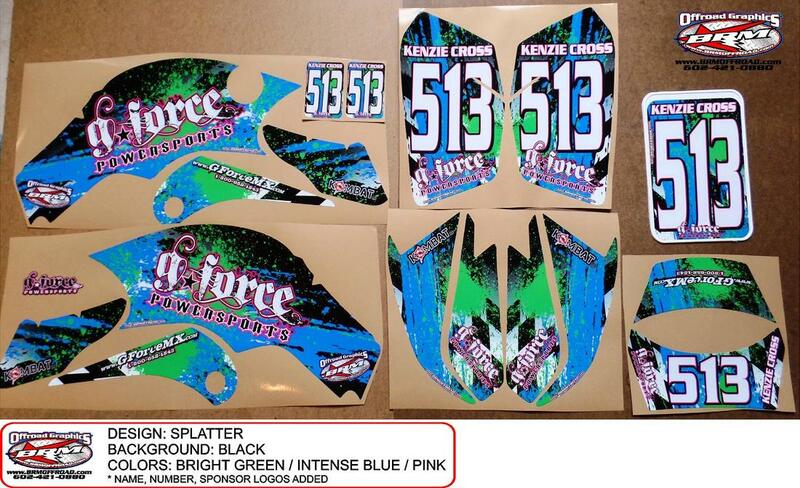 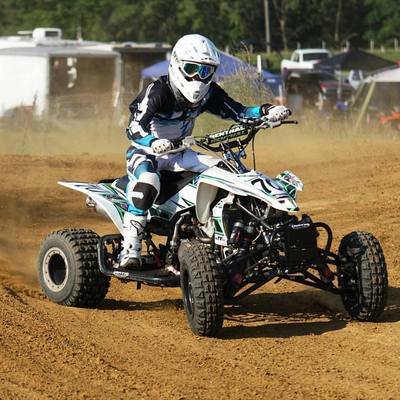 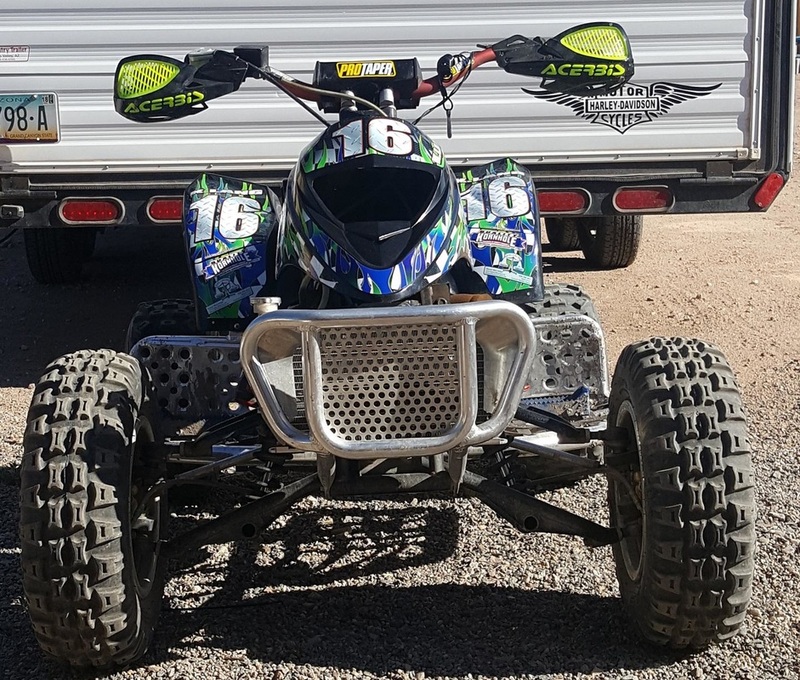 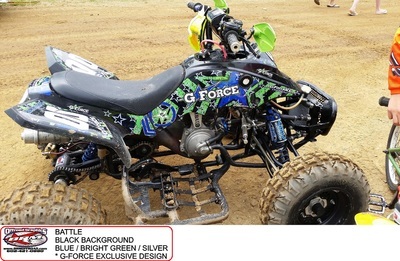 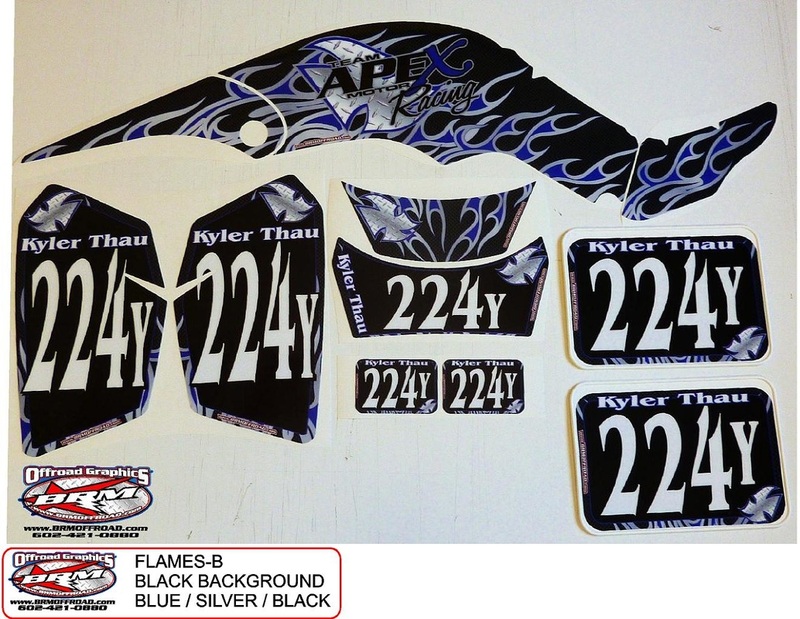 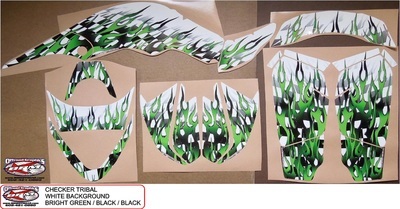 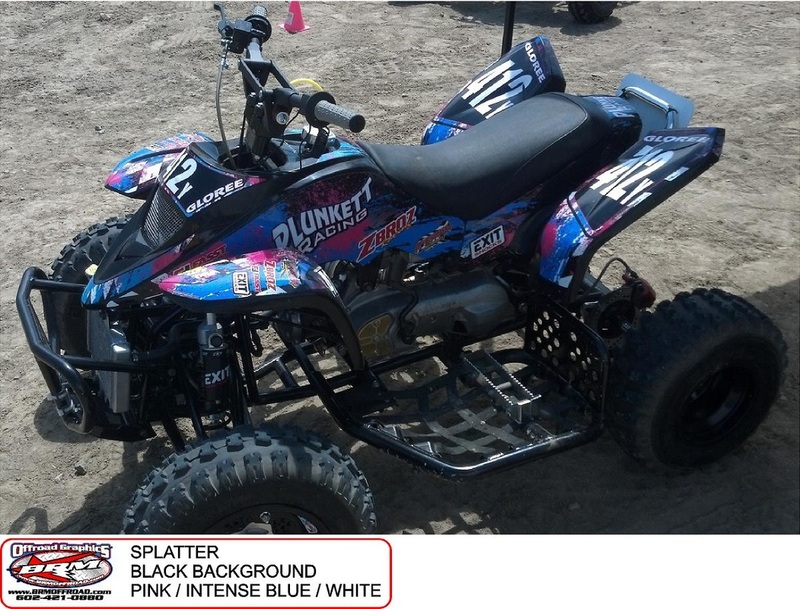 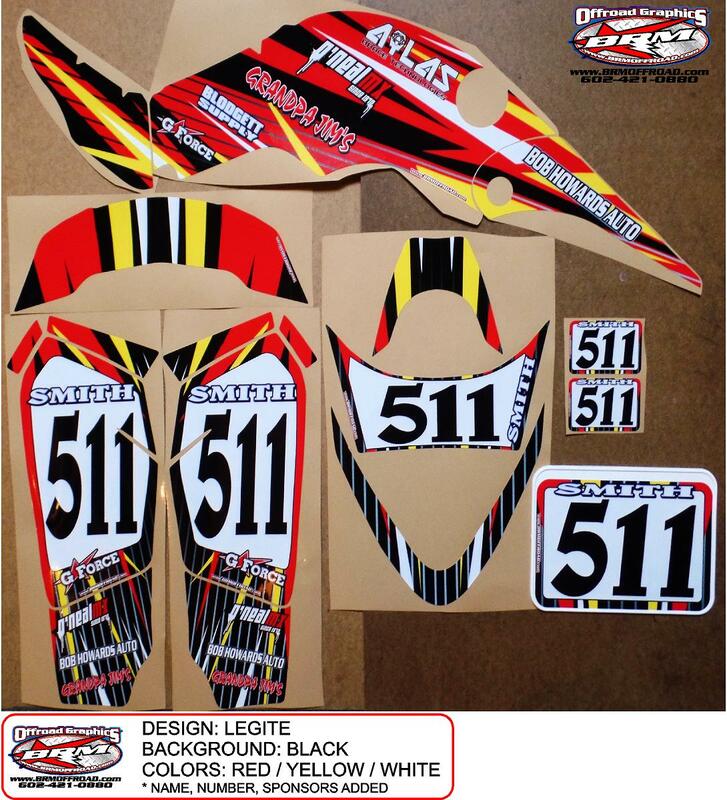 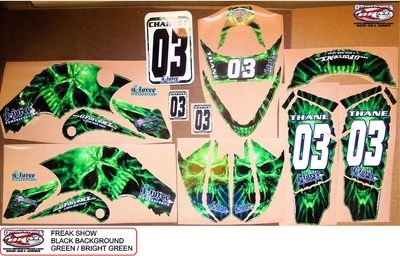 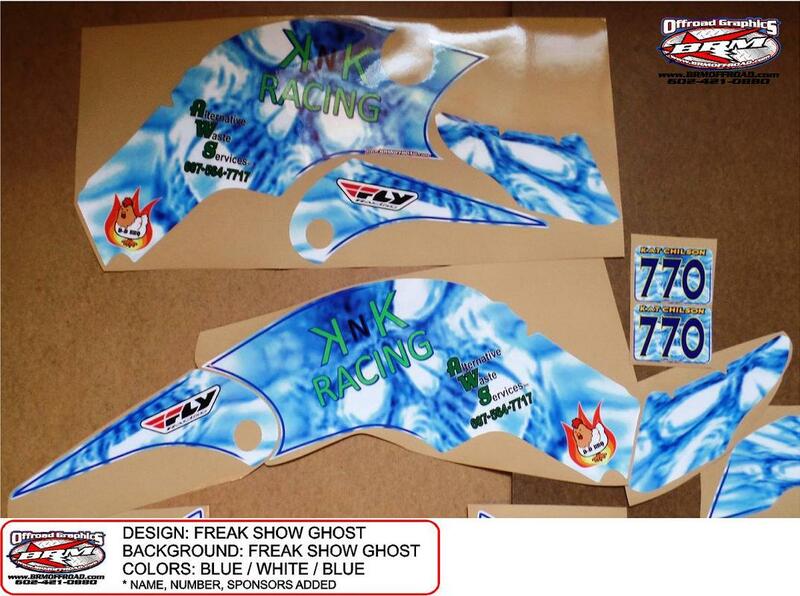 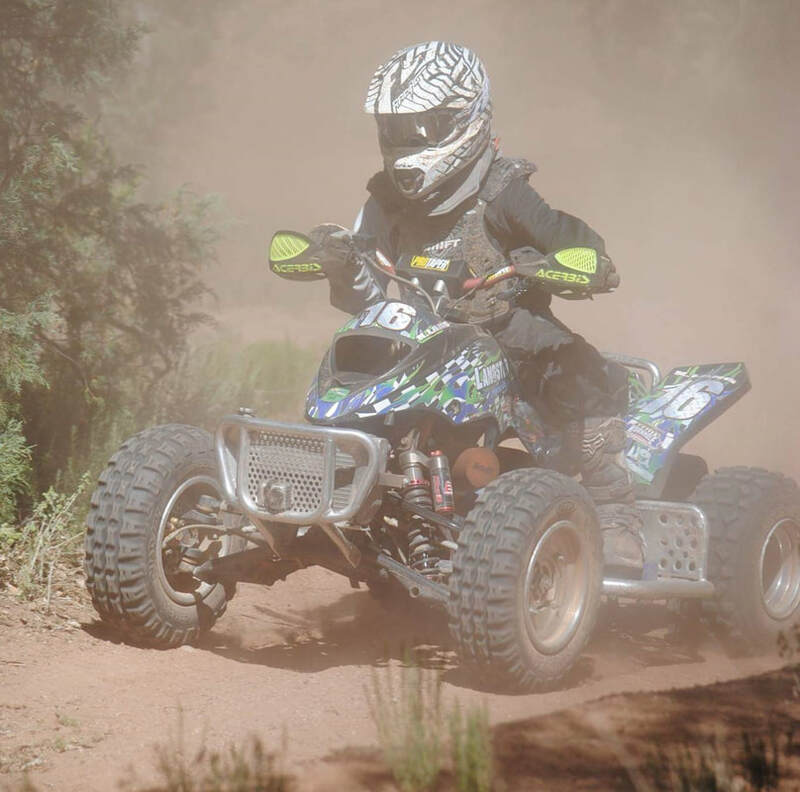 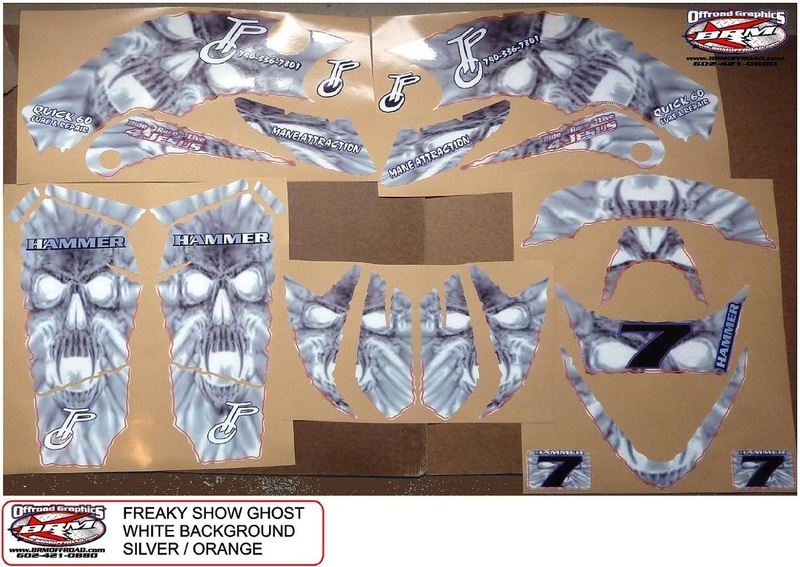 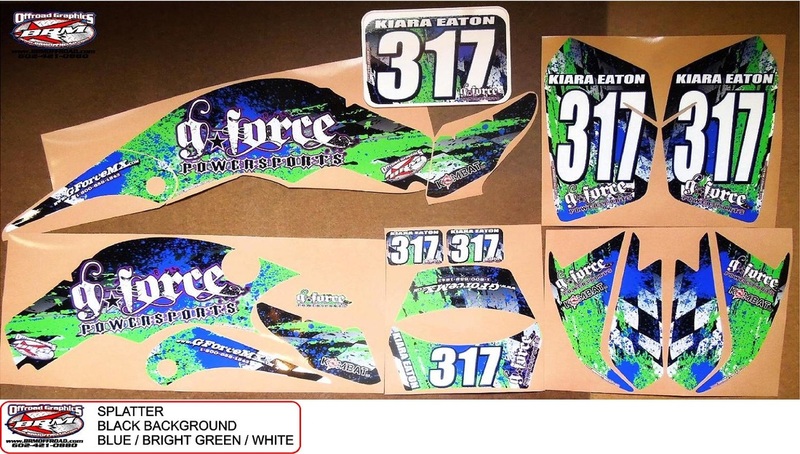 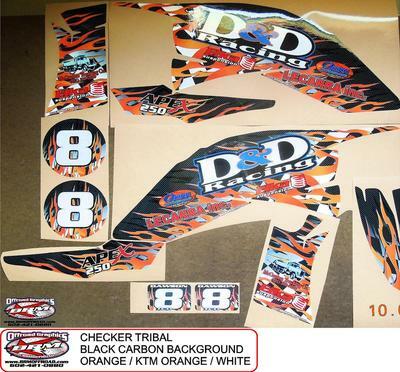 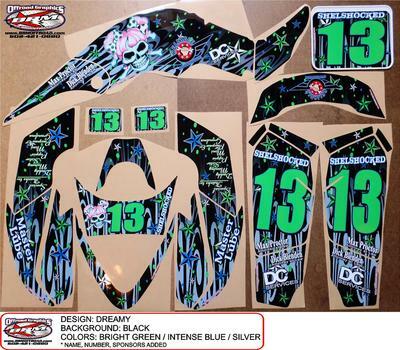 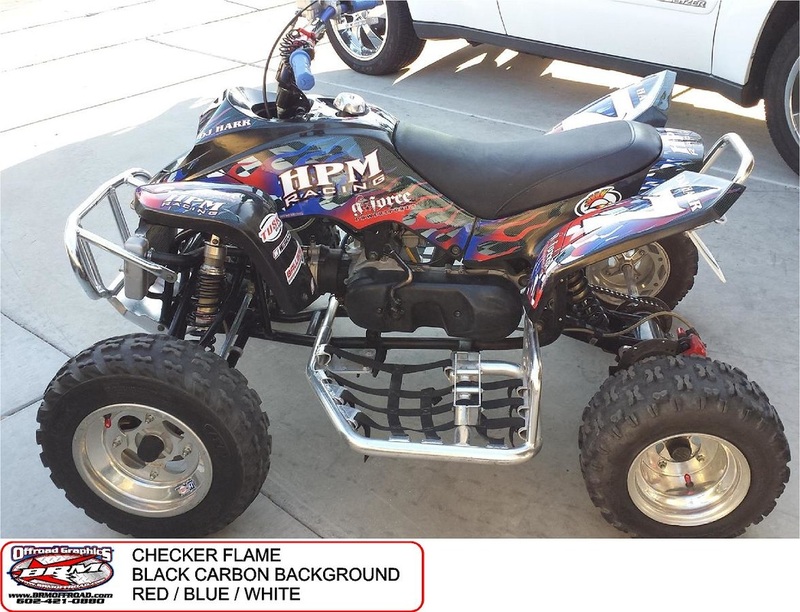 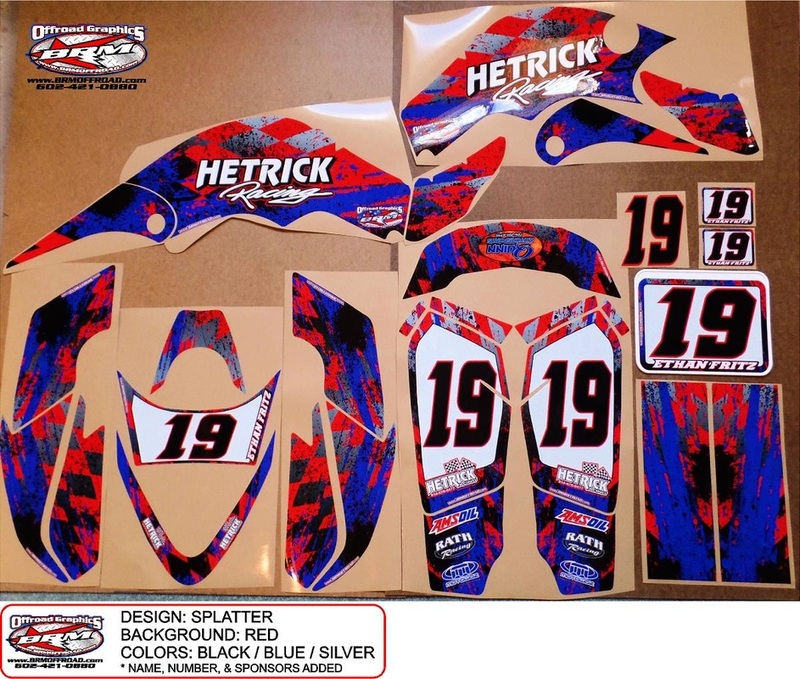 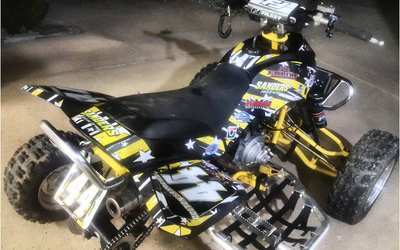 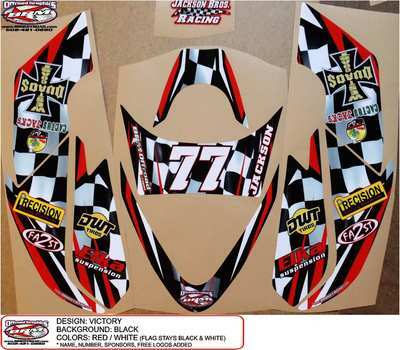 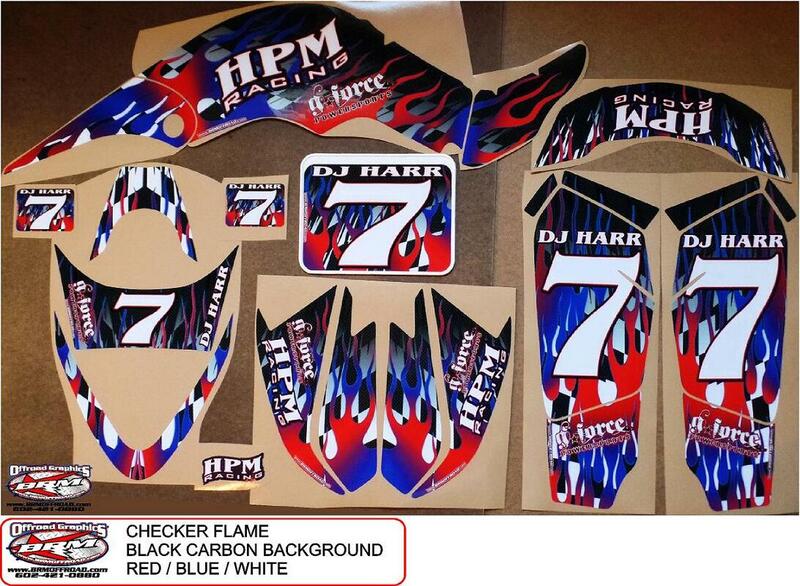 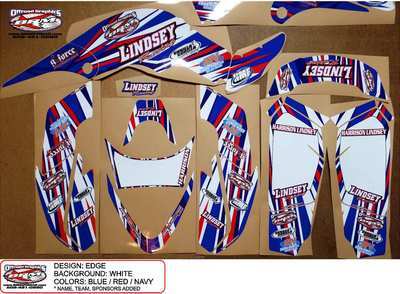 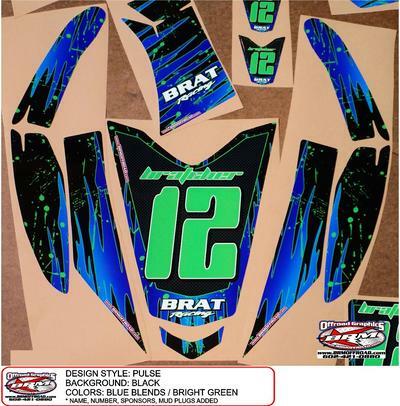 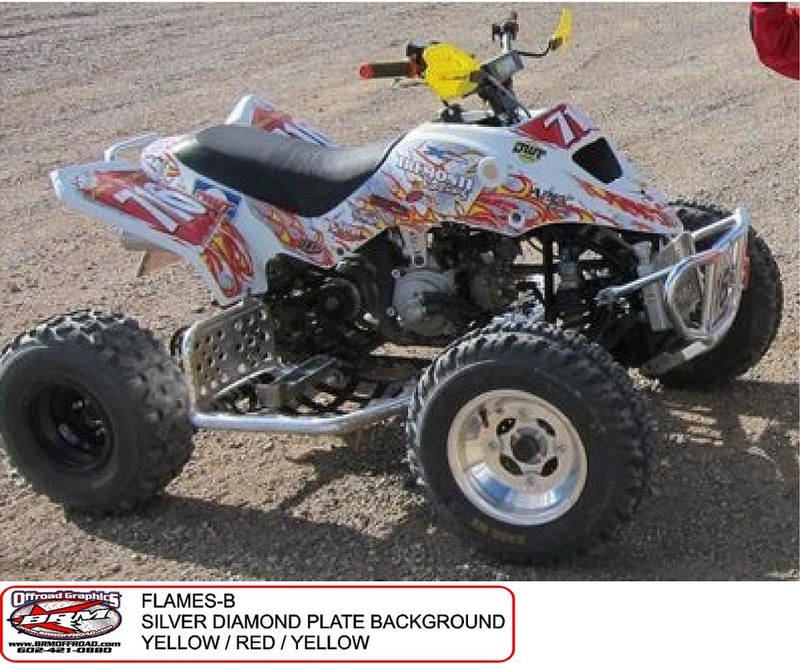 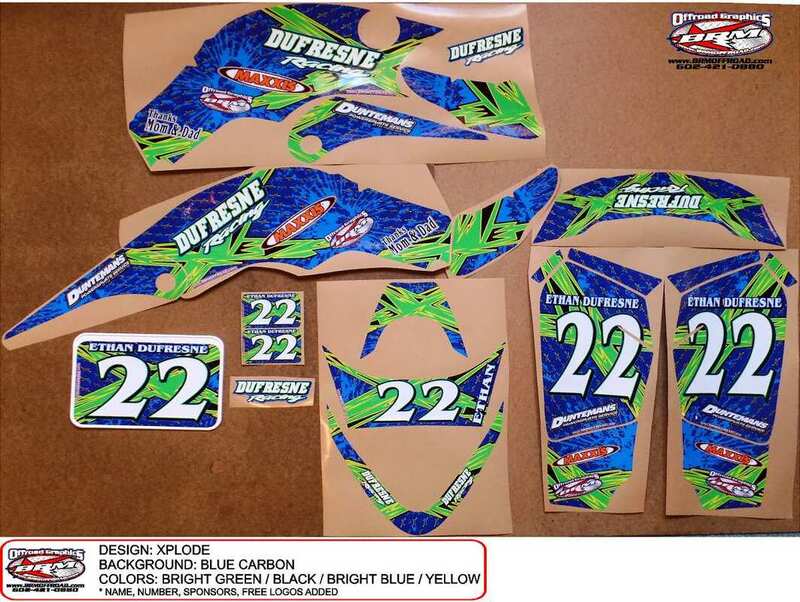 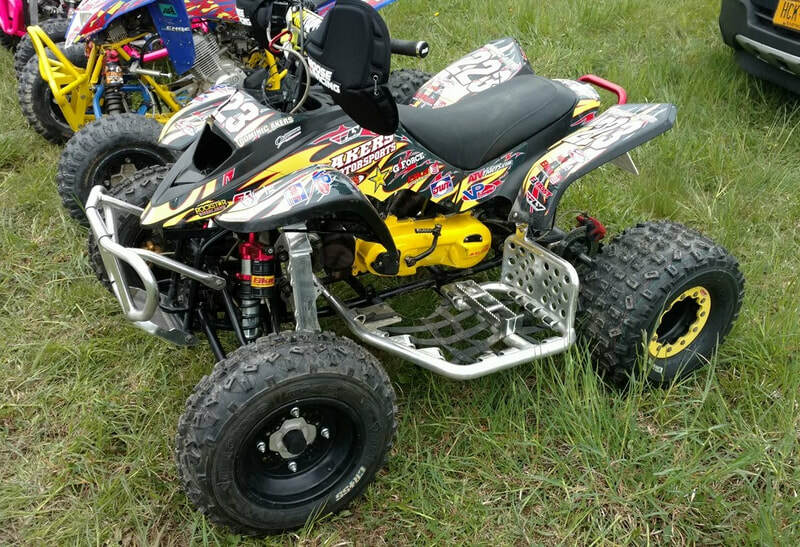 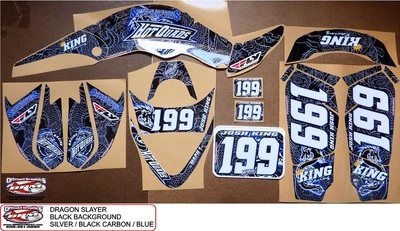 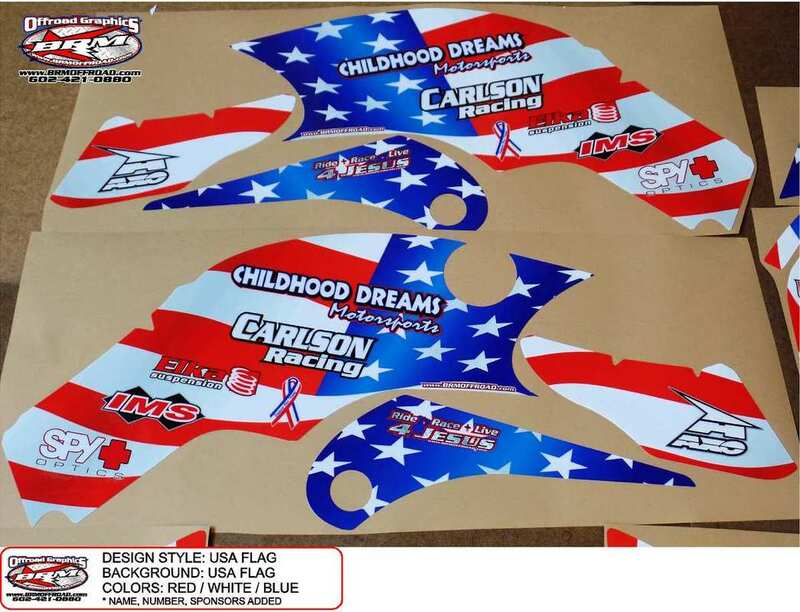 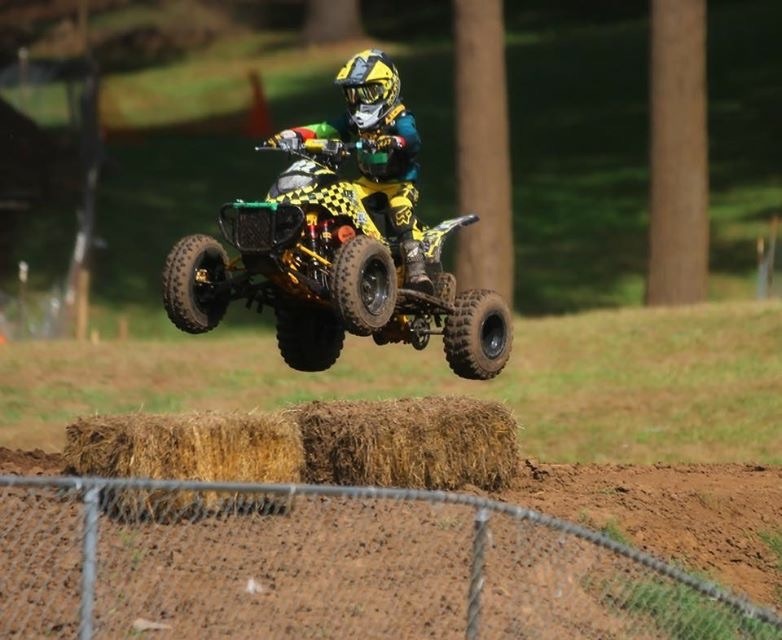 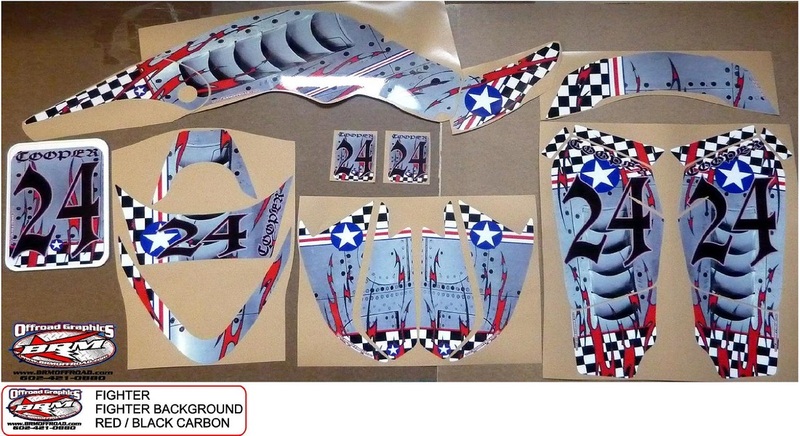 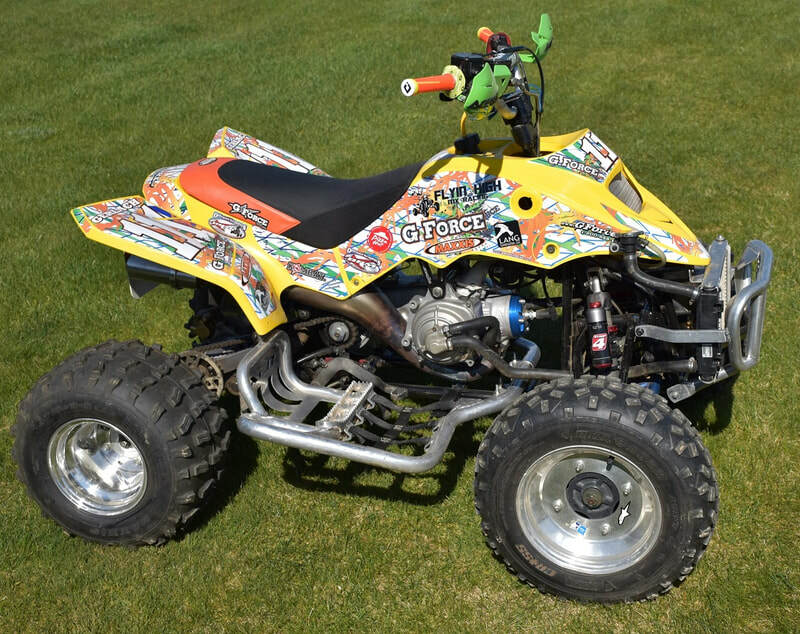 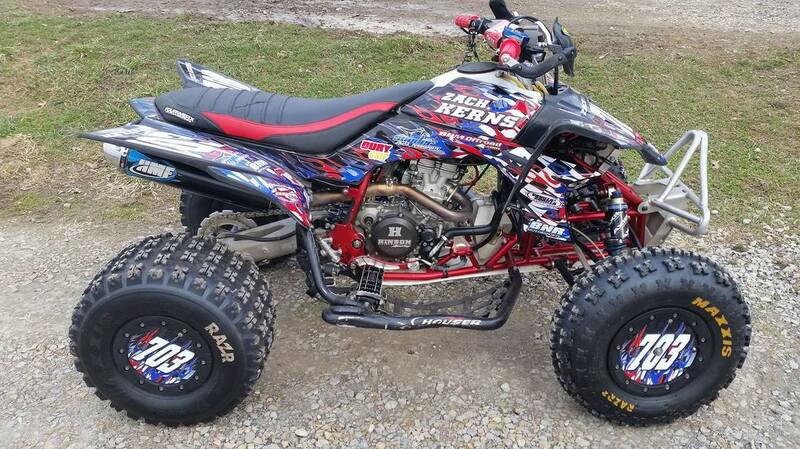 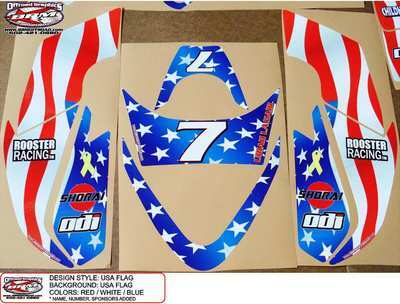 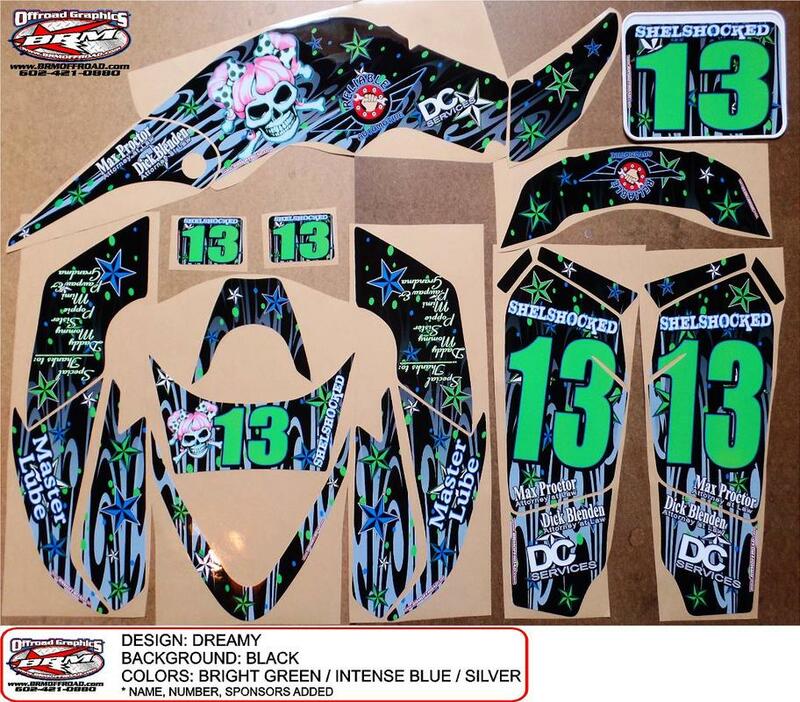 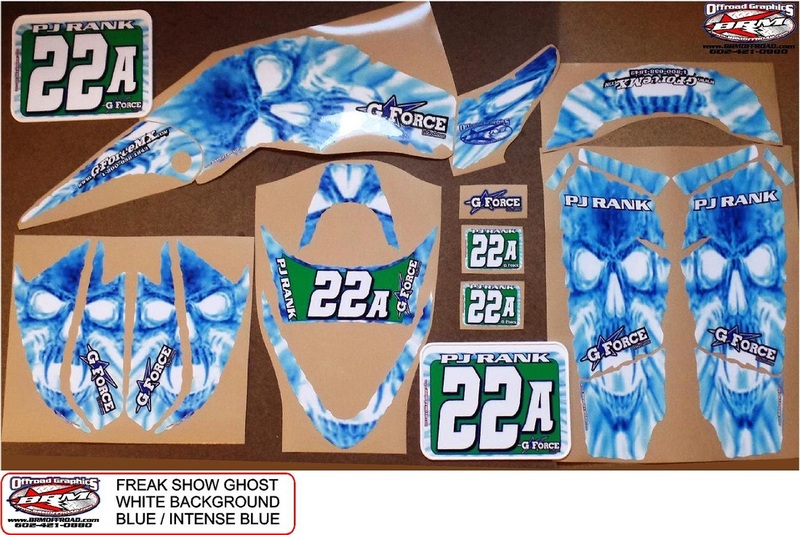 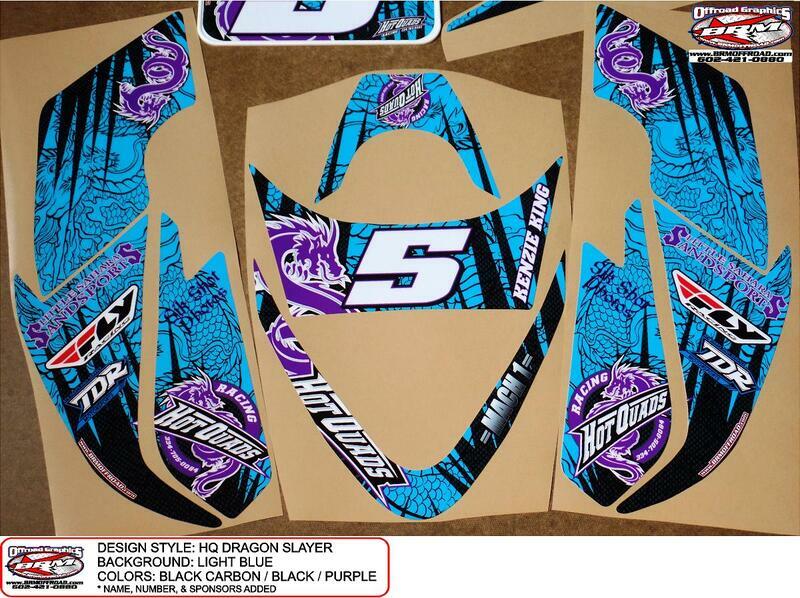 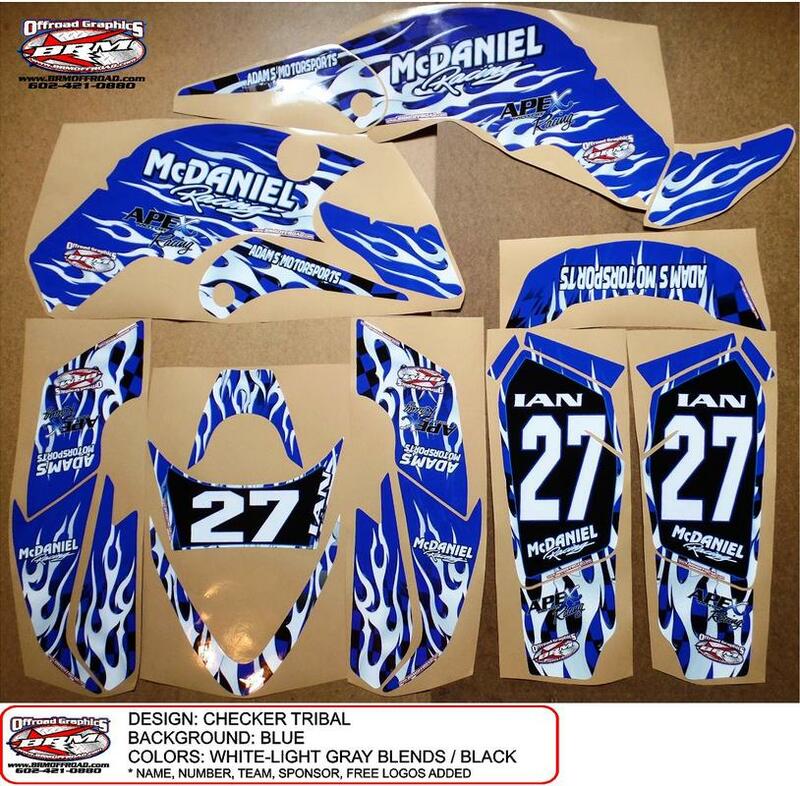 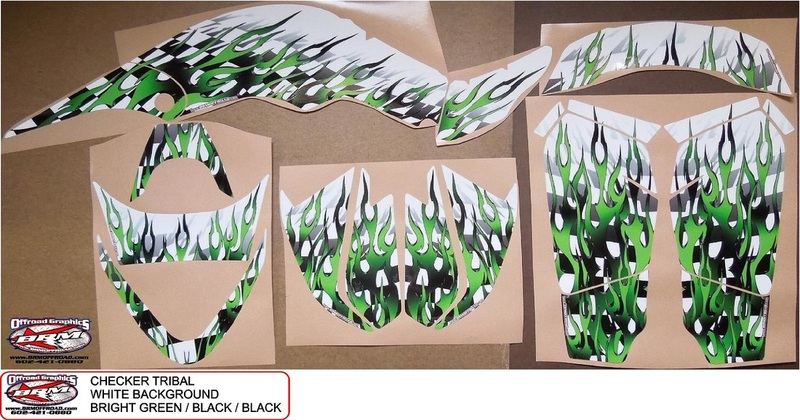 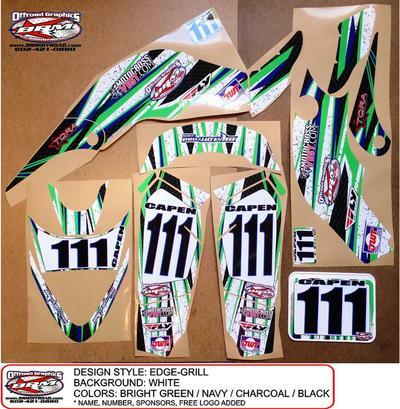 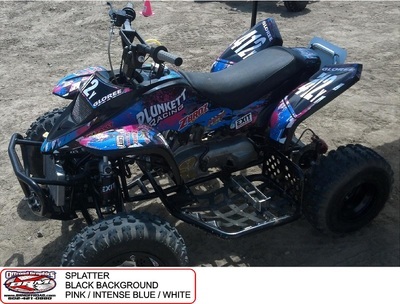 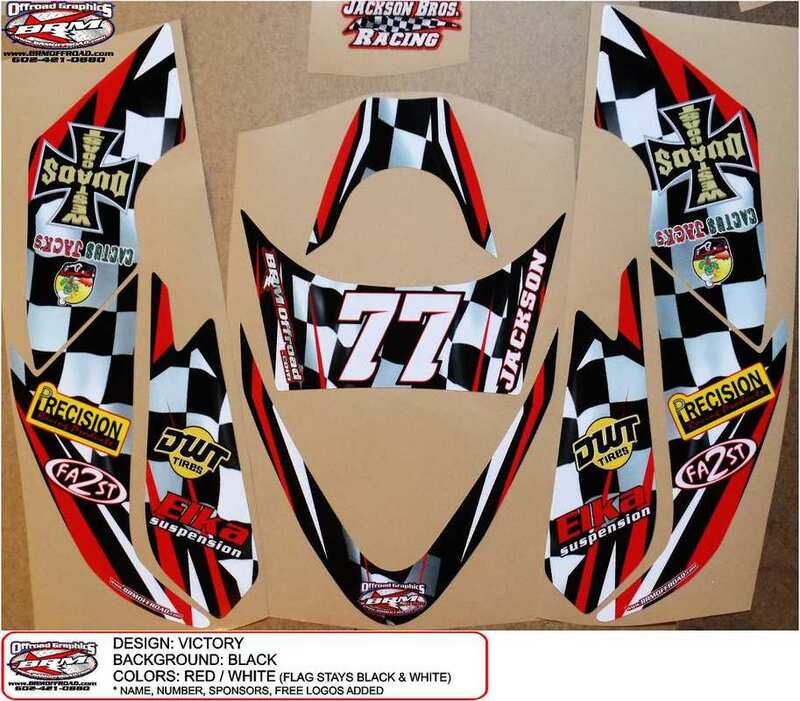 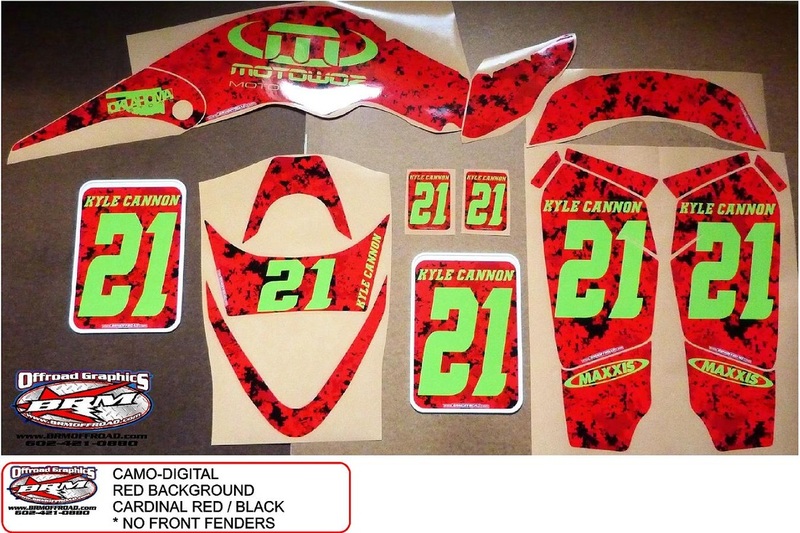 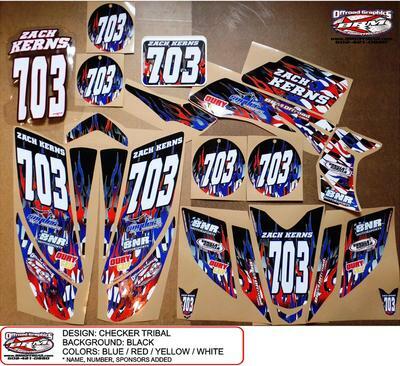 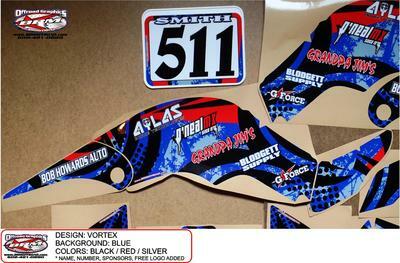 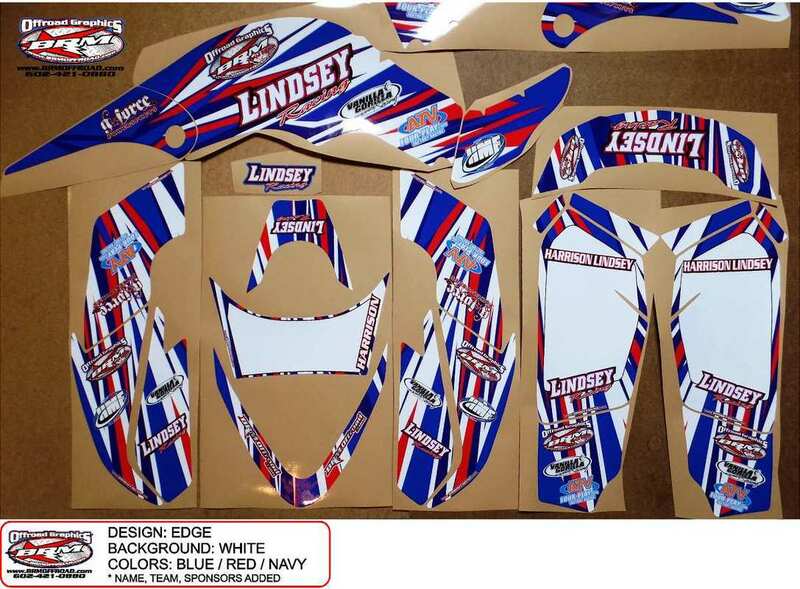 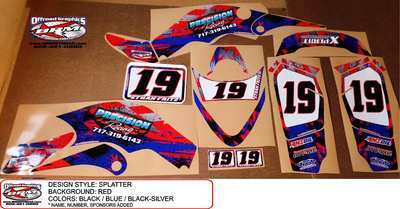 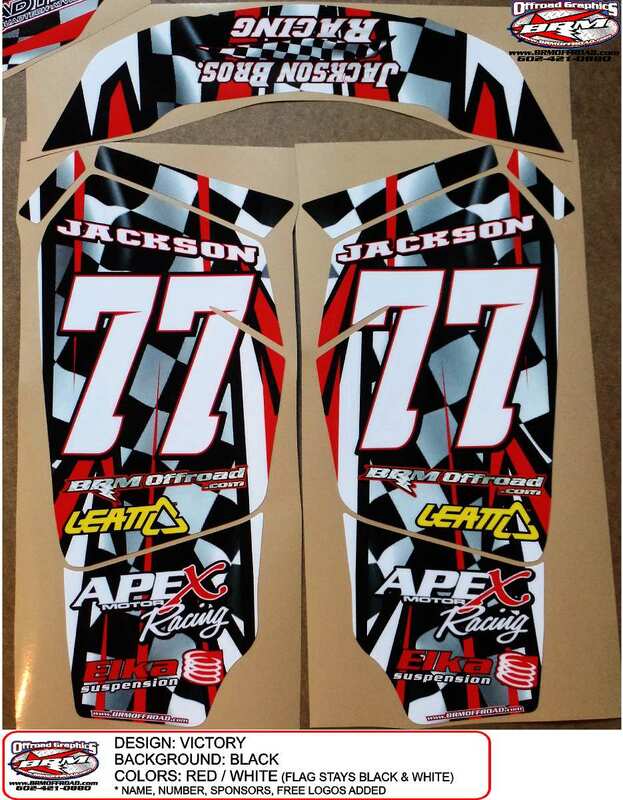 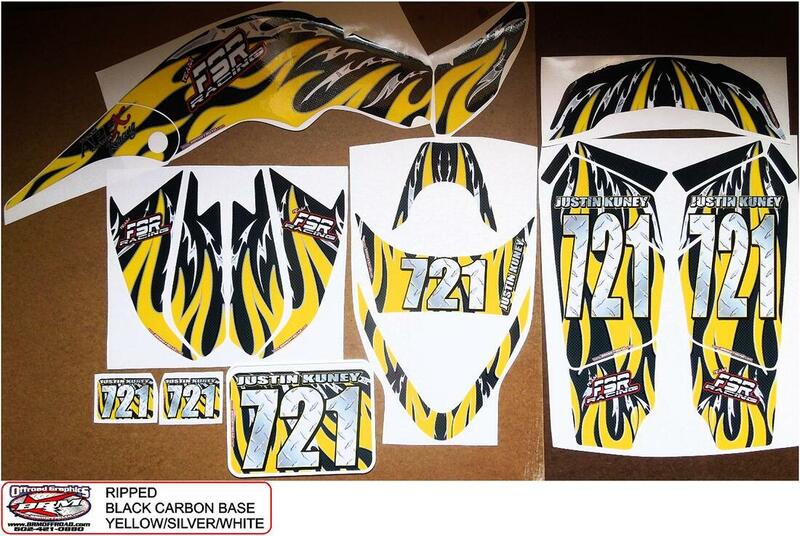 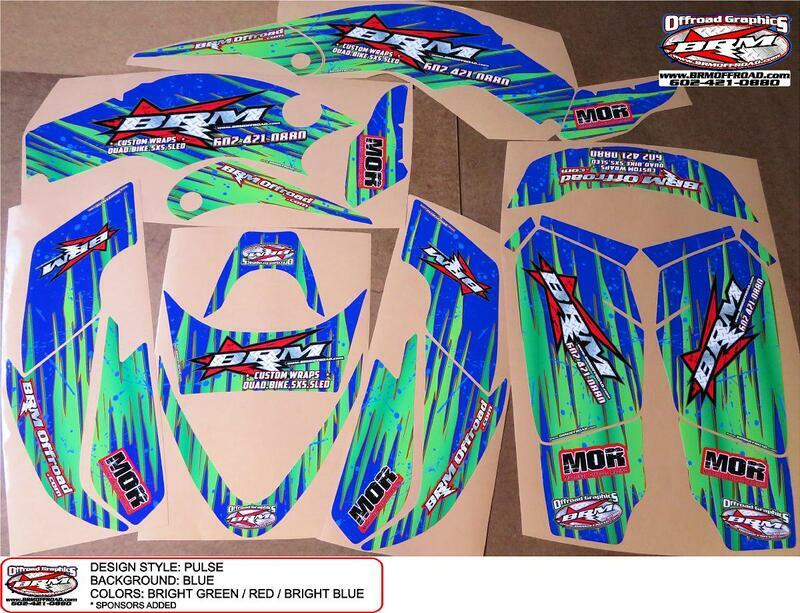 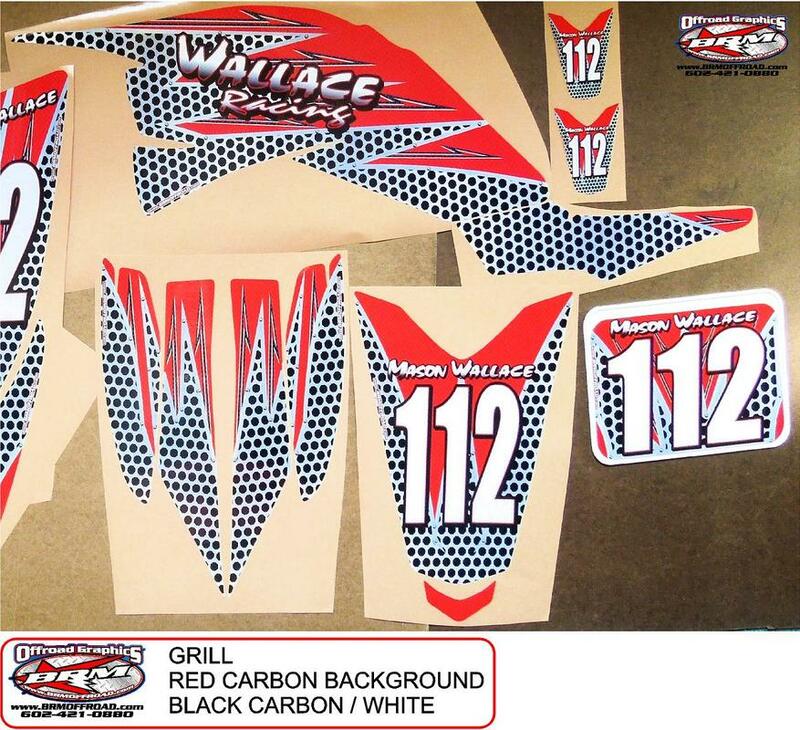 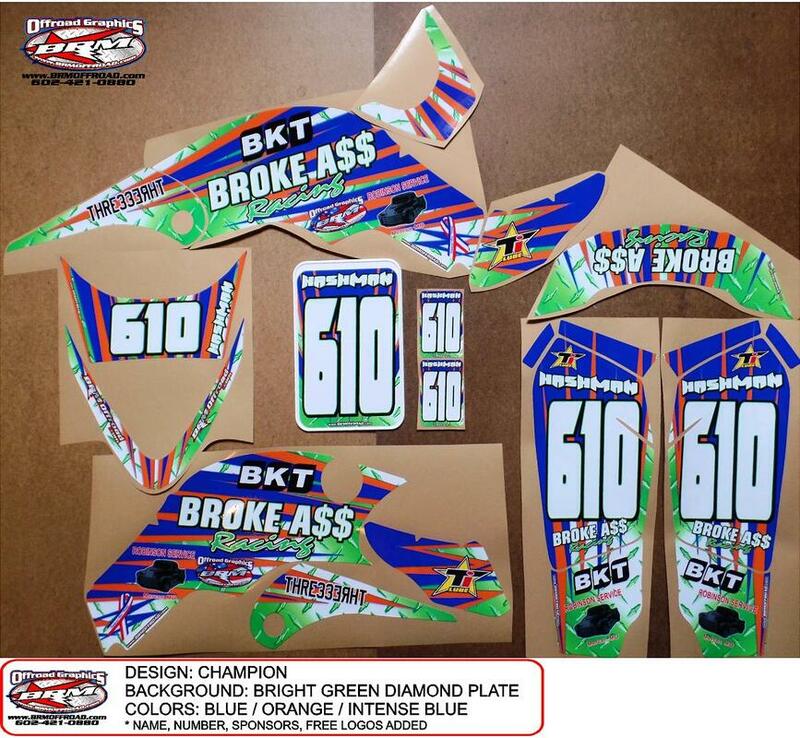 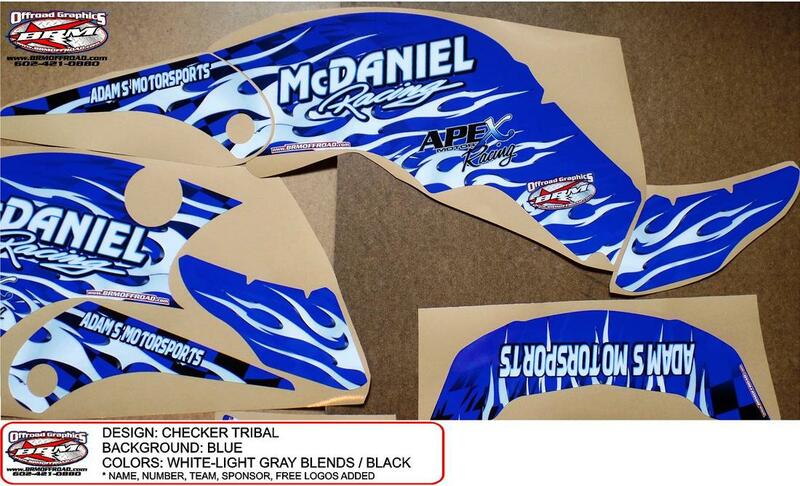 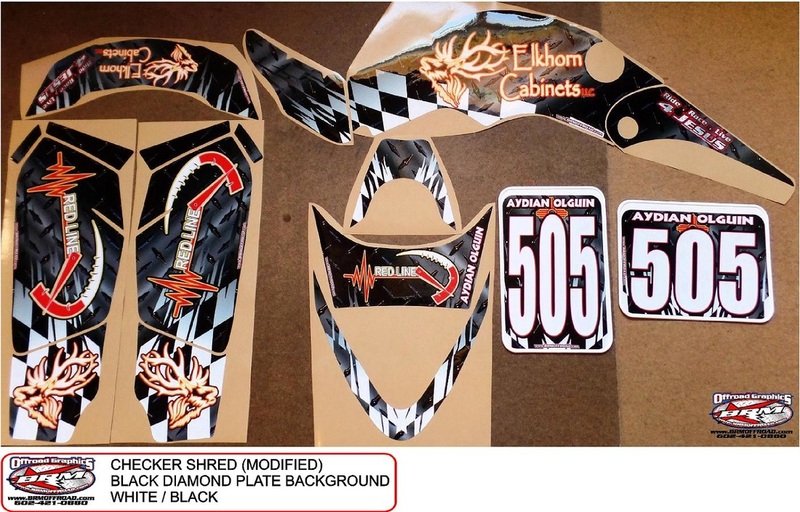 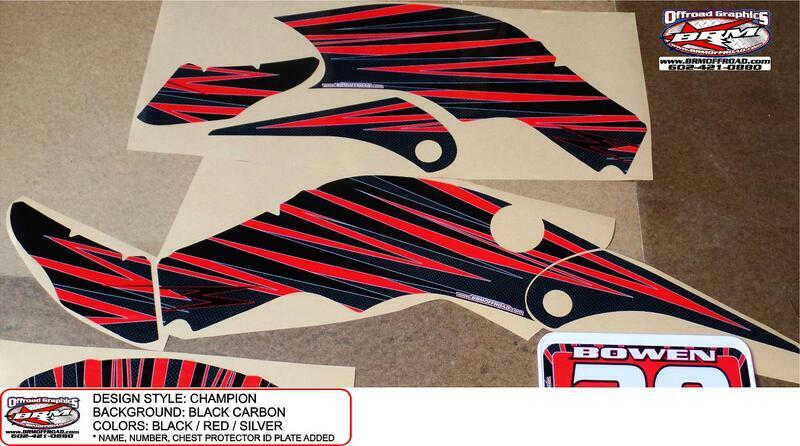 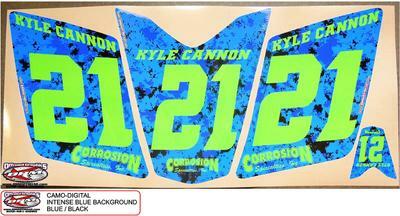 Below are several examples of what some of our customers have chosen for their Apex 50-150cc, 250F, & 450F graphics. 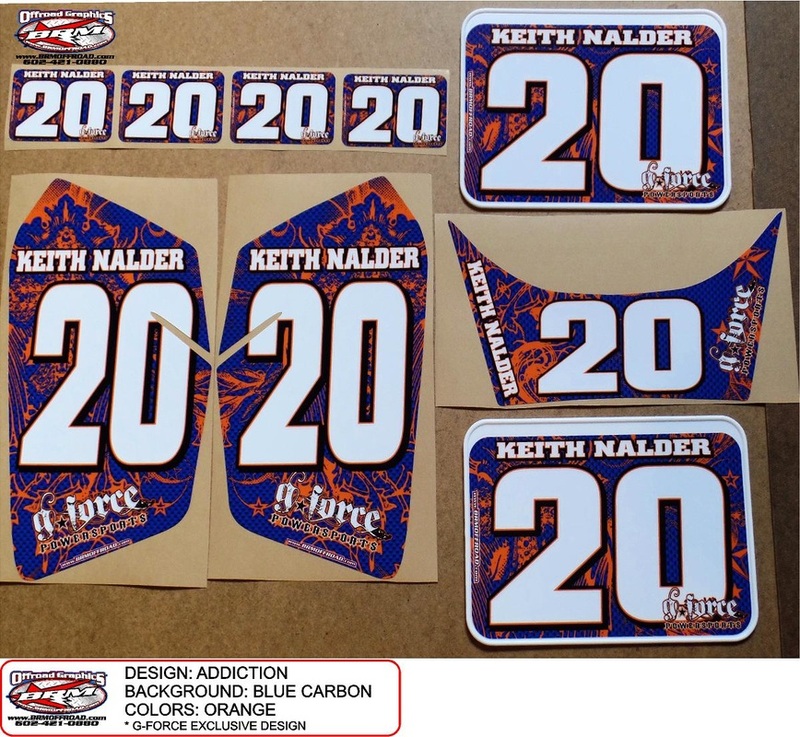 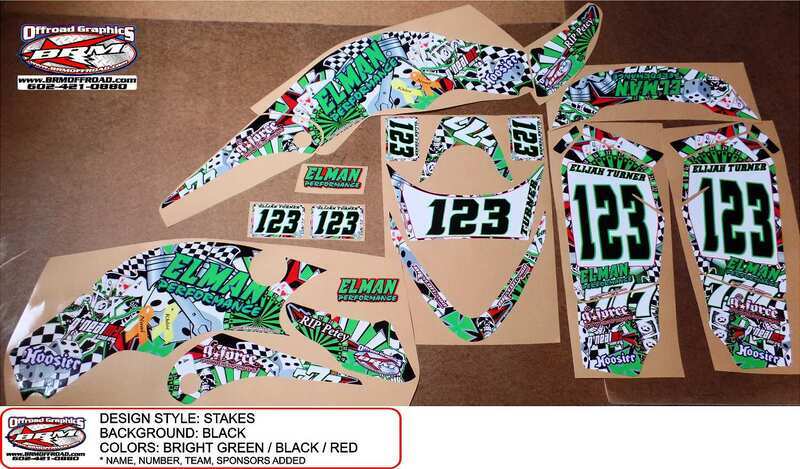 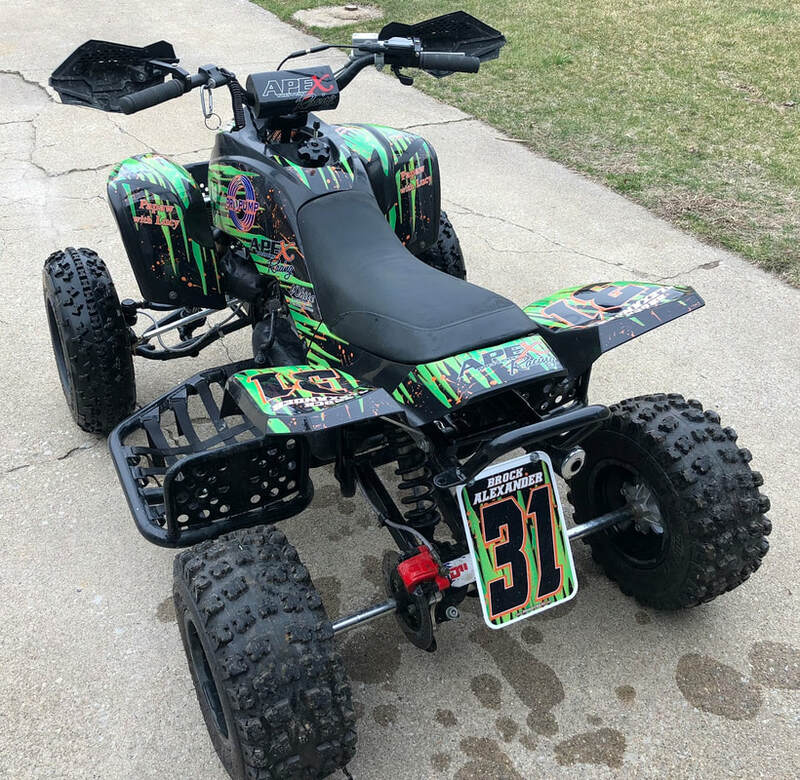 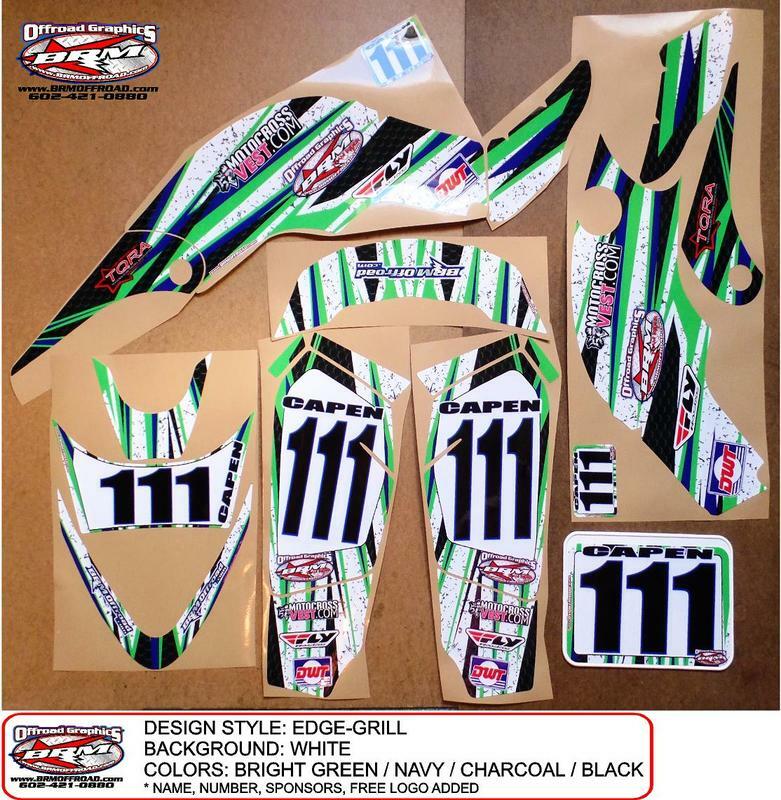 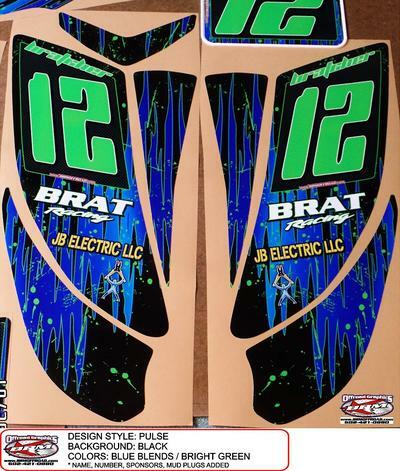 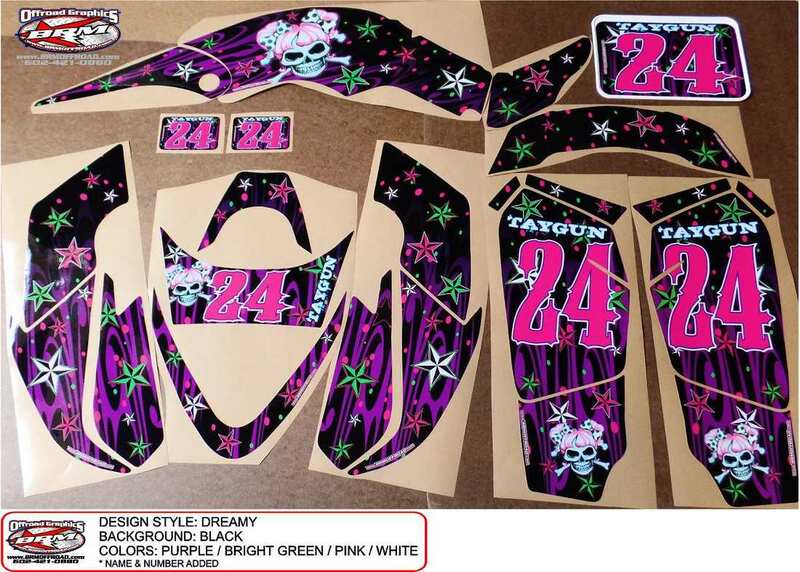 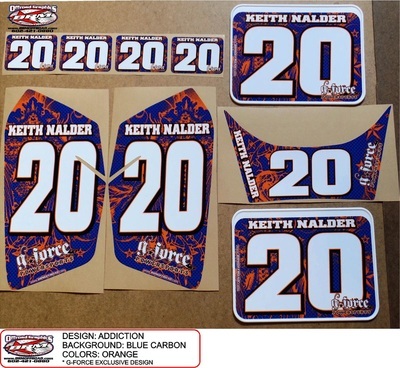 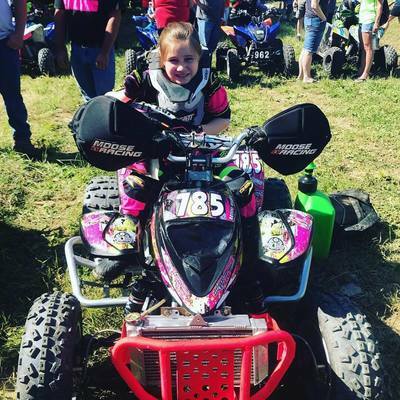 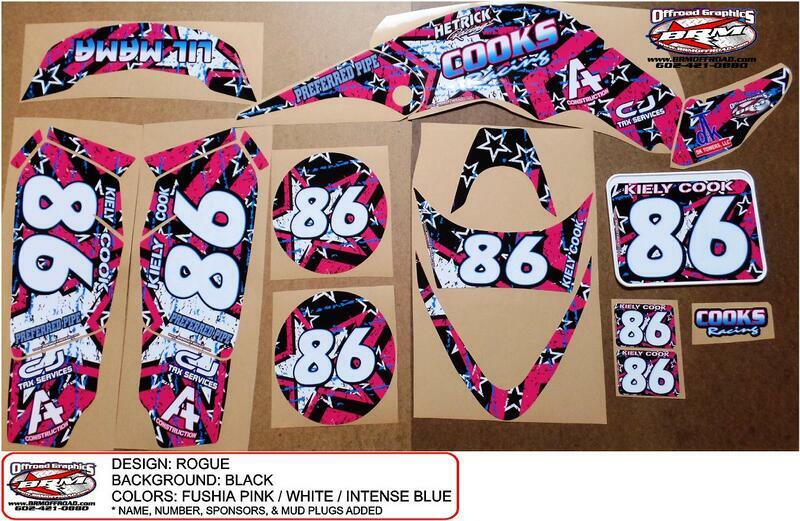 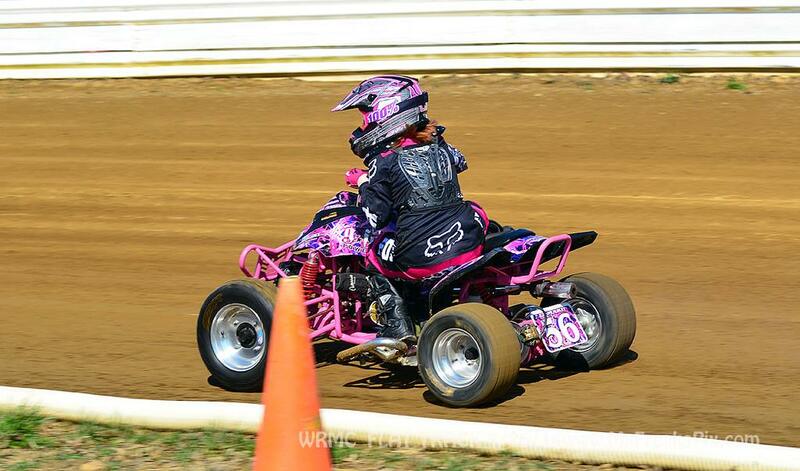 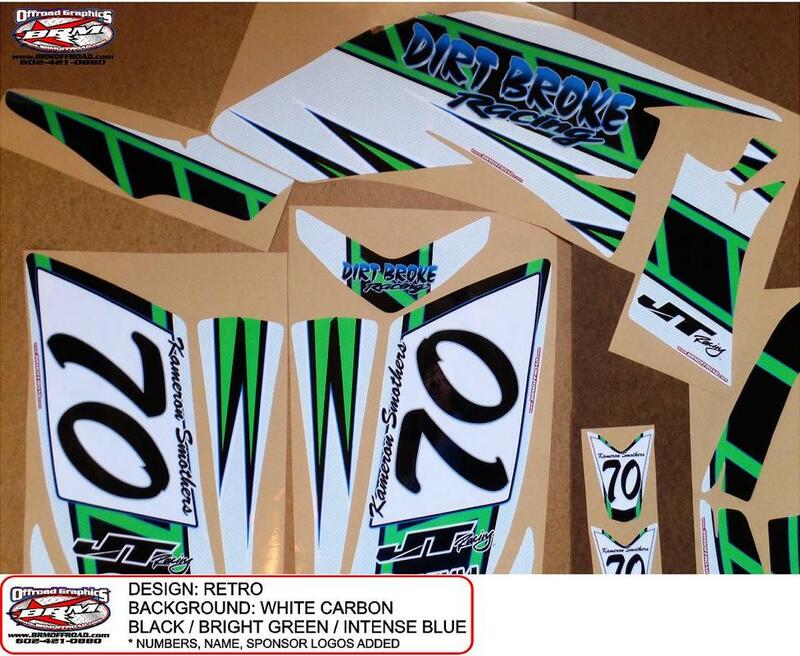 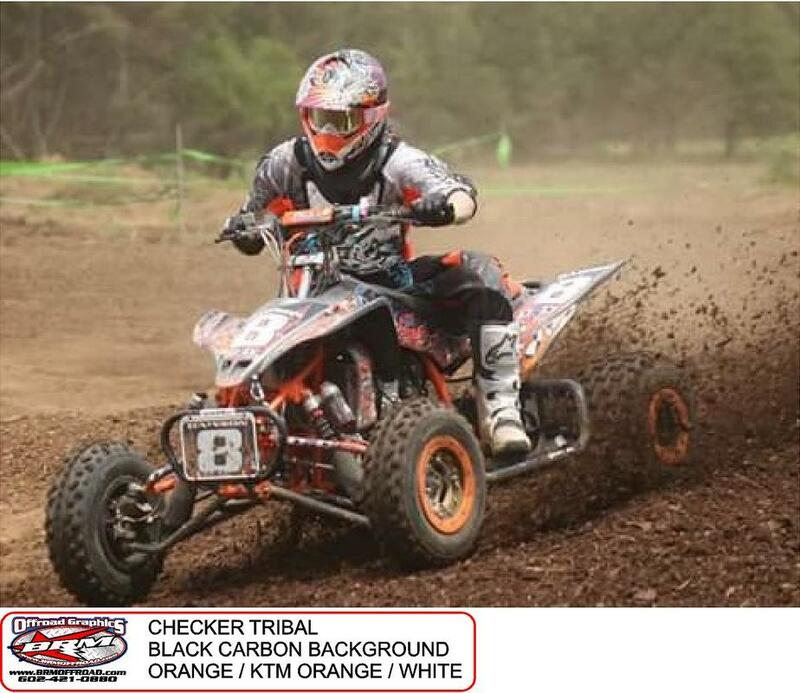 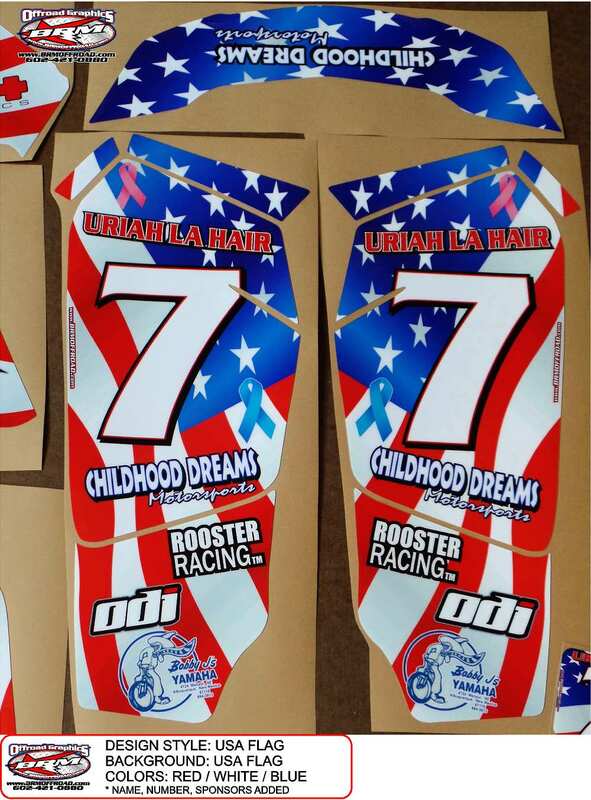 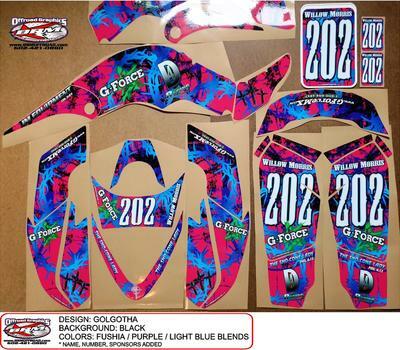 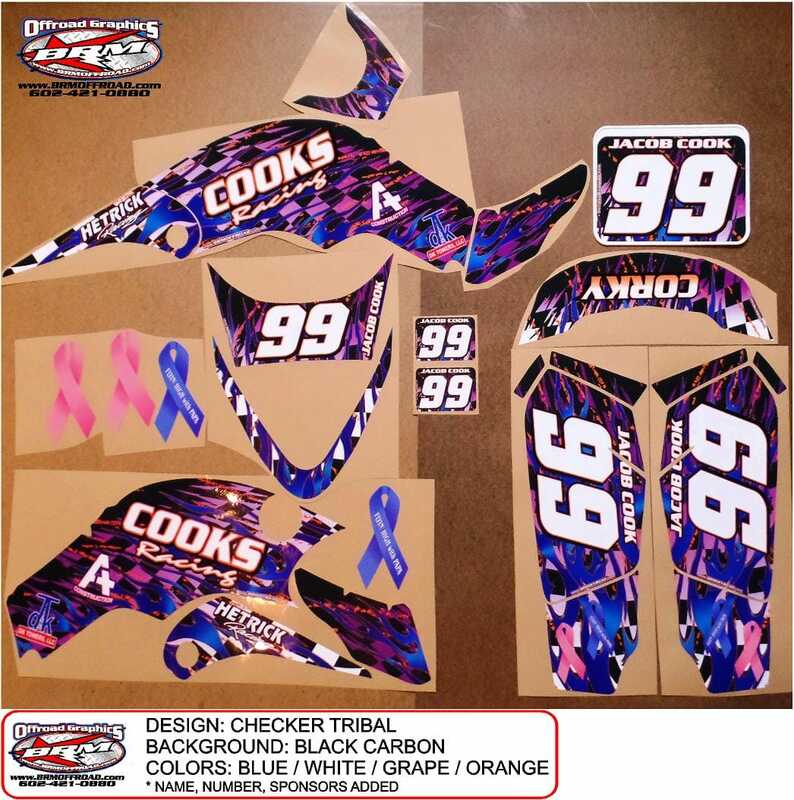 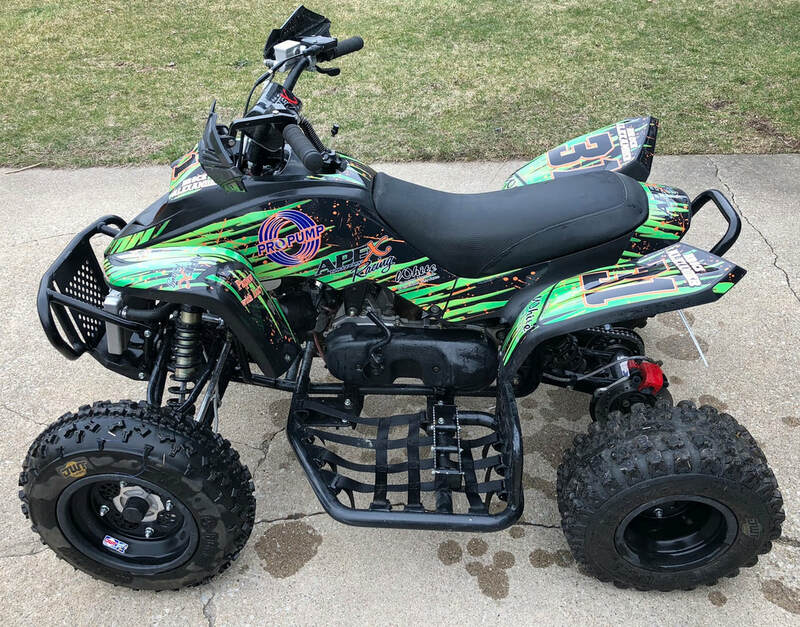 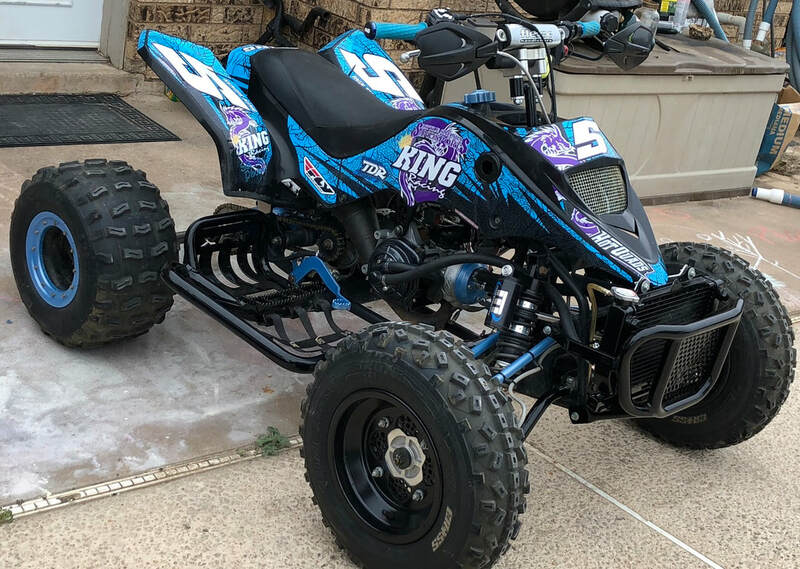 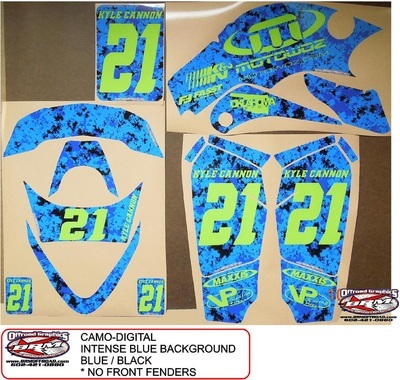 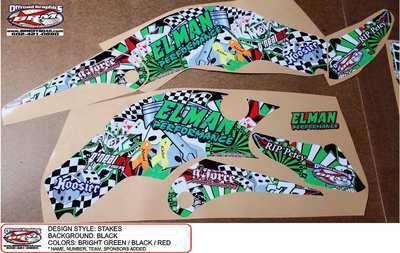 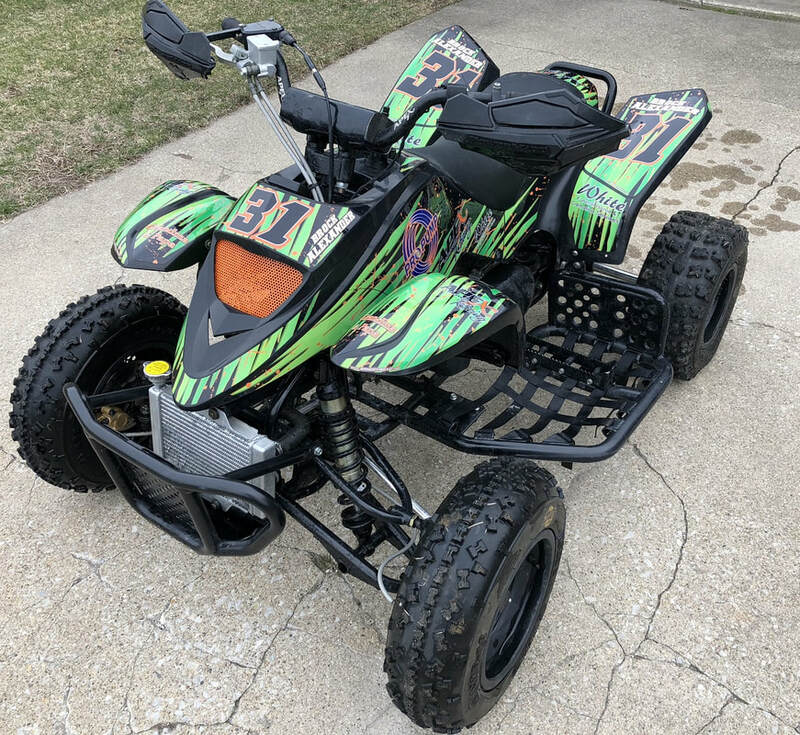 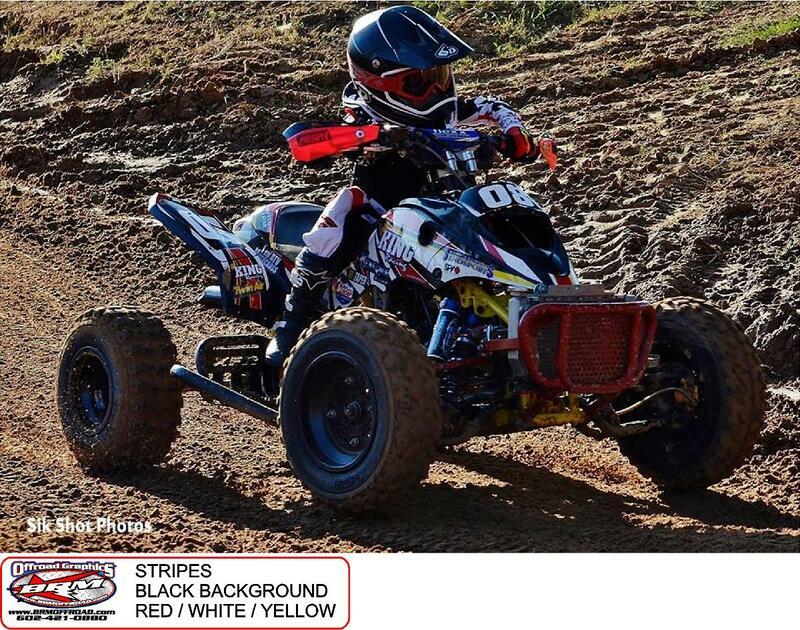 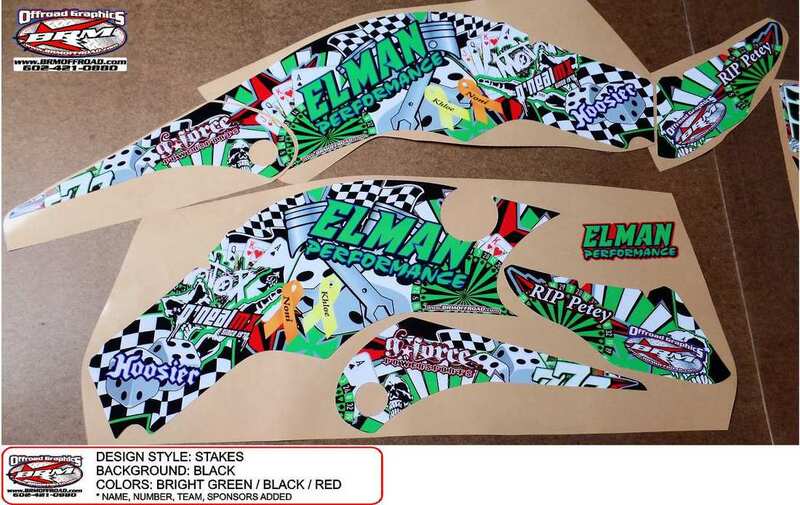 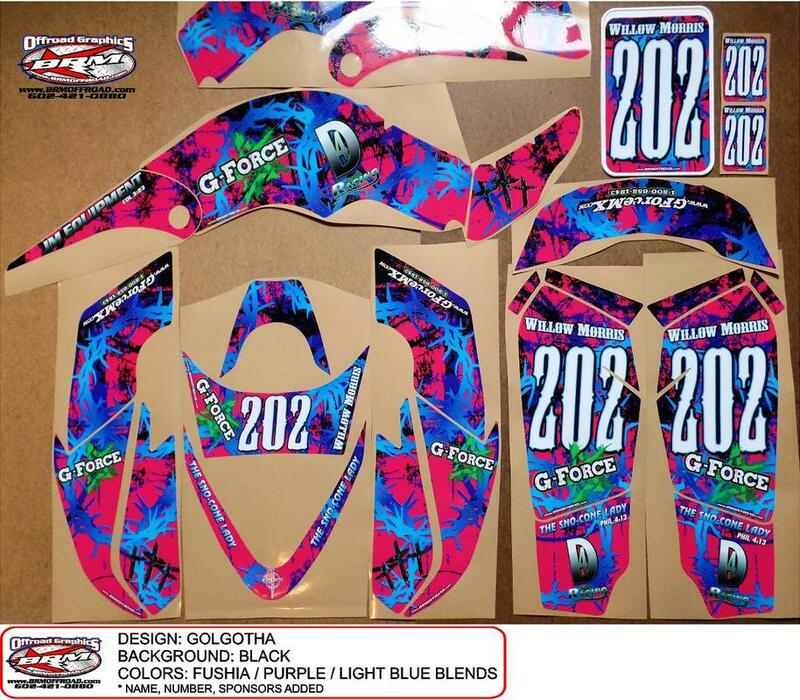 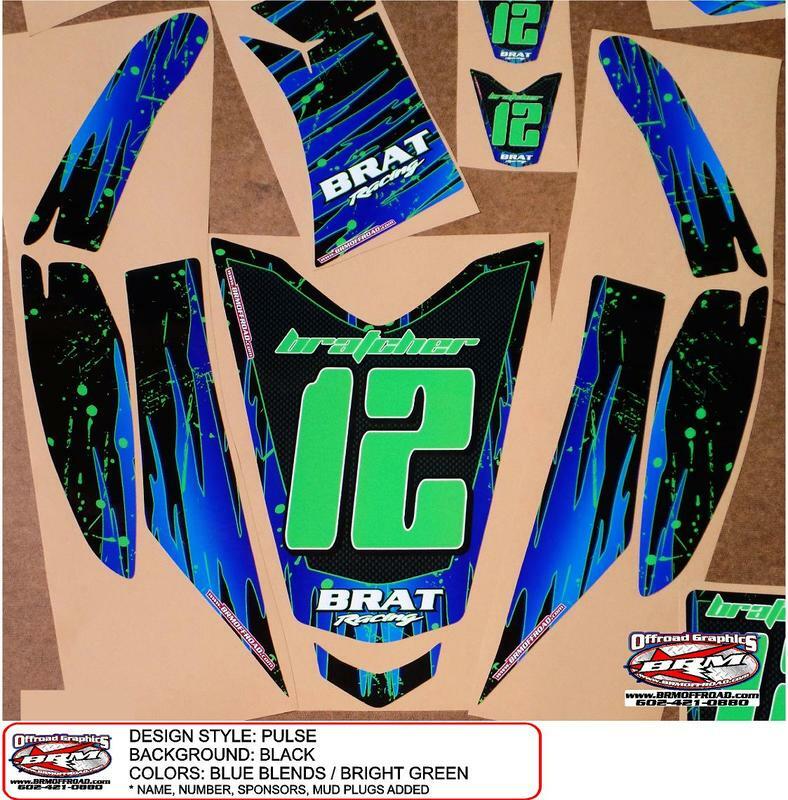 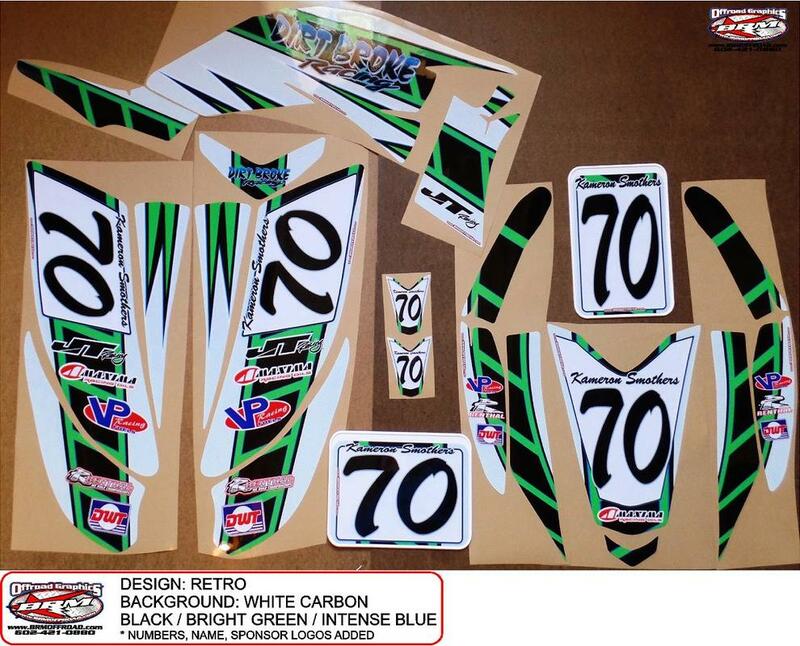 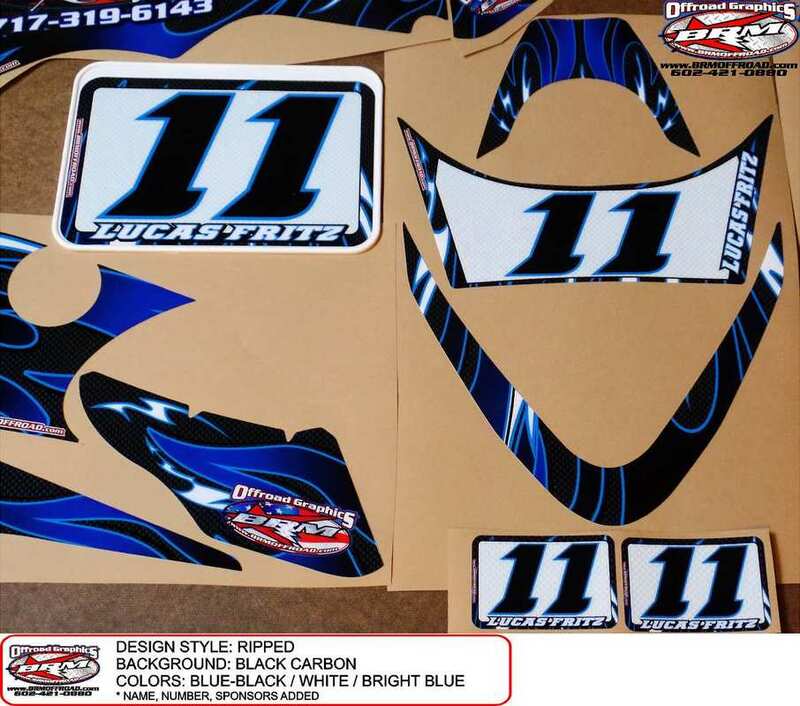 Please know that you can choose any of our 90+ design in your favorite colors, you can add your rider name and number, your team name, sponsors, order replacements and not a full kit, etc. 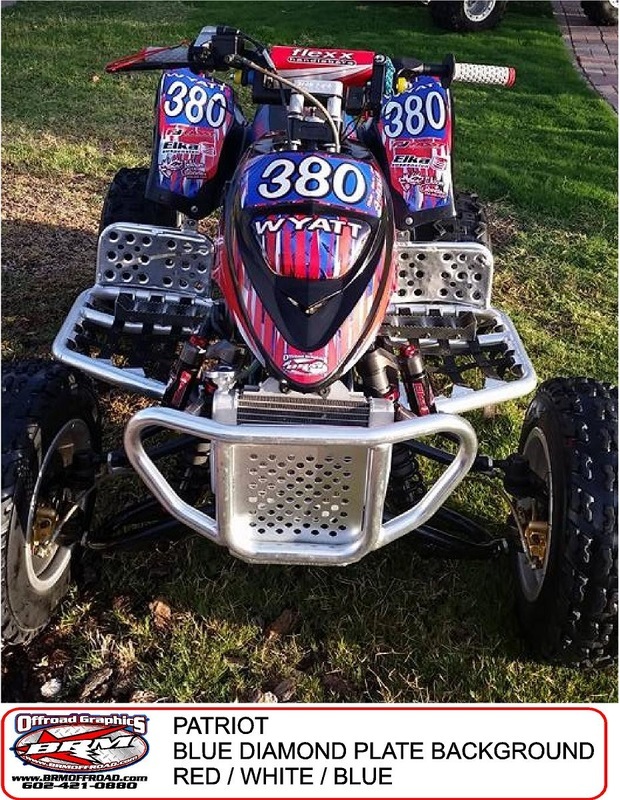 Call or email if you have any questions or feel free to refer to another example from our site, on any machine, that you would like for your Pro MXR 50, MXR 70, MXR 85, MXR 90, MXR 100, MXR 150F, Pro Shark 70, Pro Shark 90, 250F, and 450F.